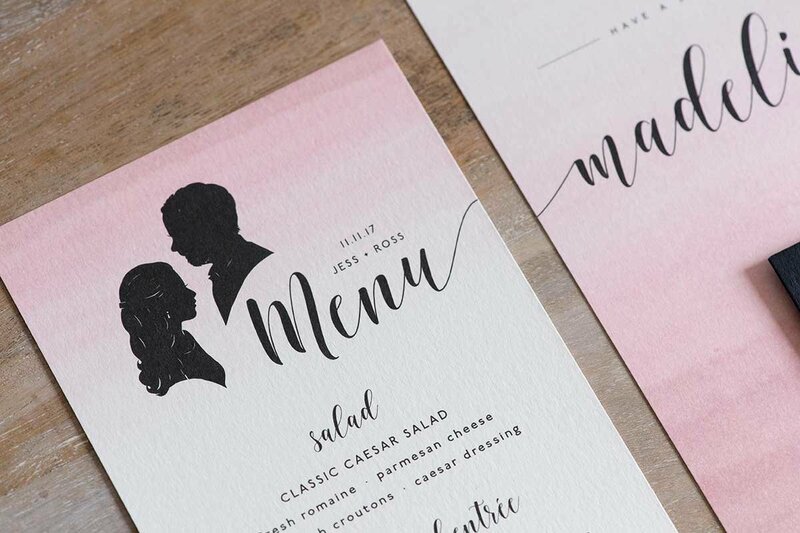 With no pre-selected design templates, color palettes, or font lists to choose from, our designs are always completely original and custom. 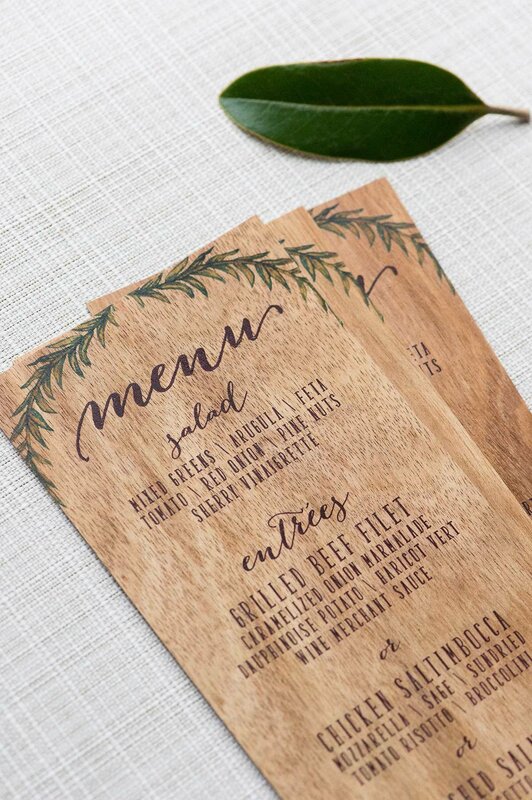 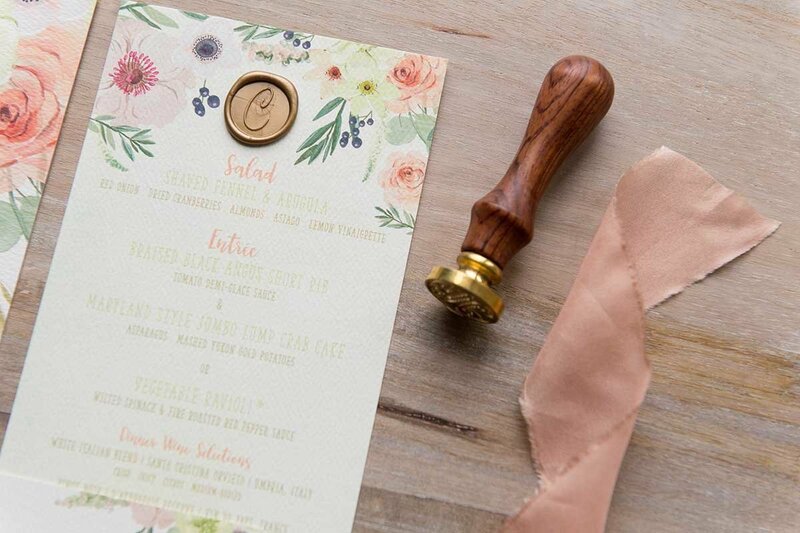 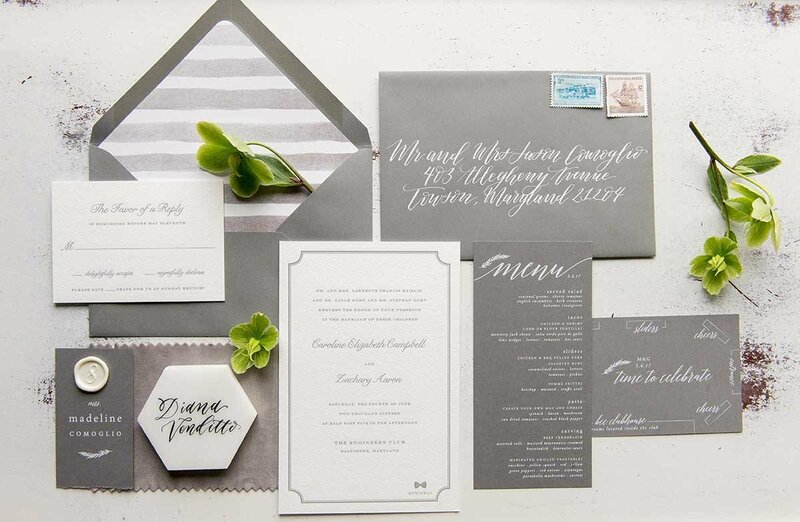 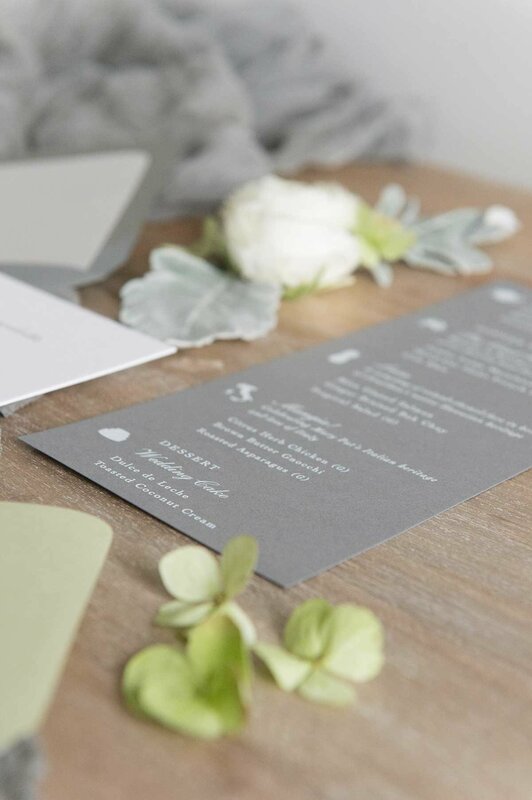 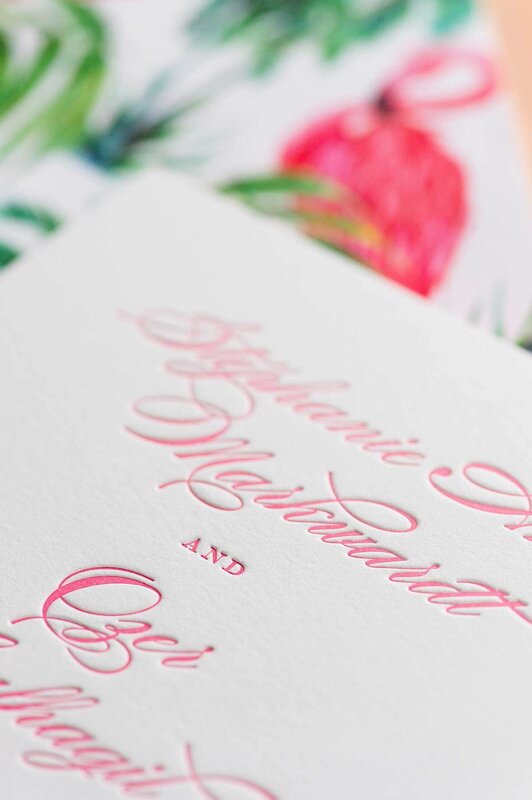 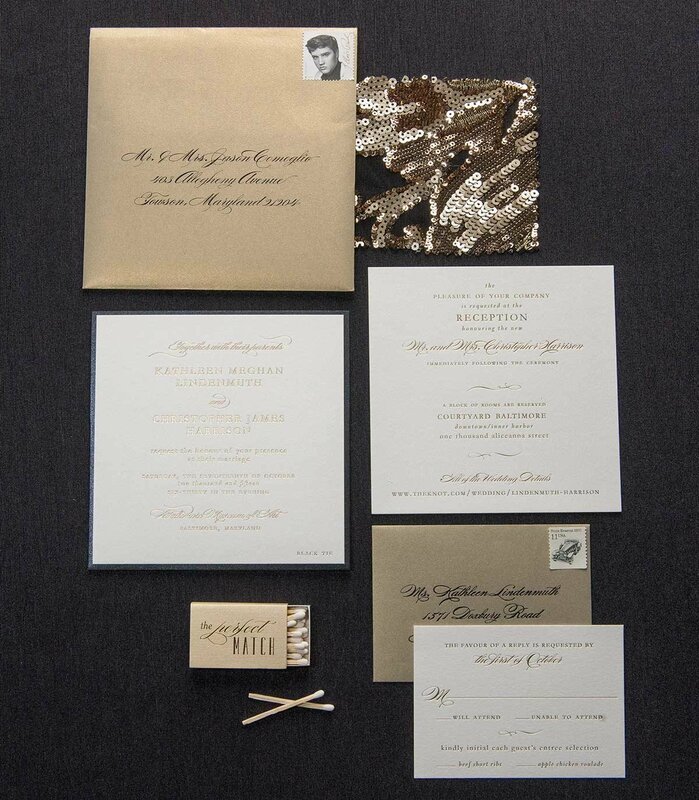 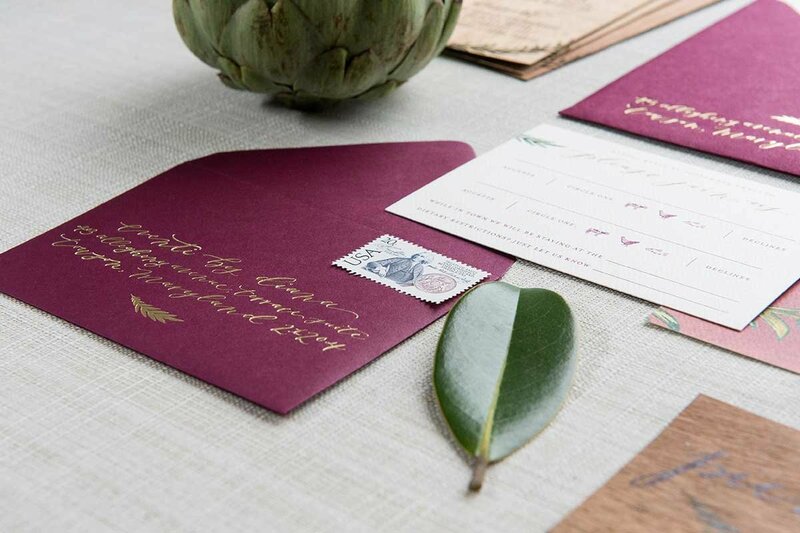 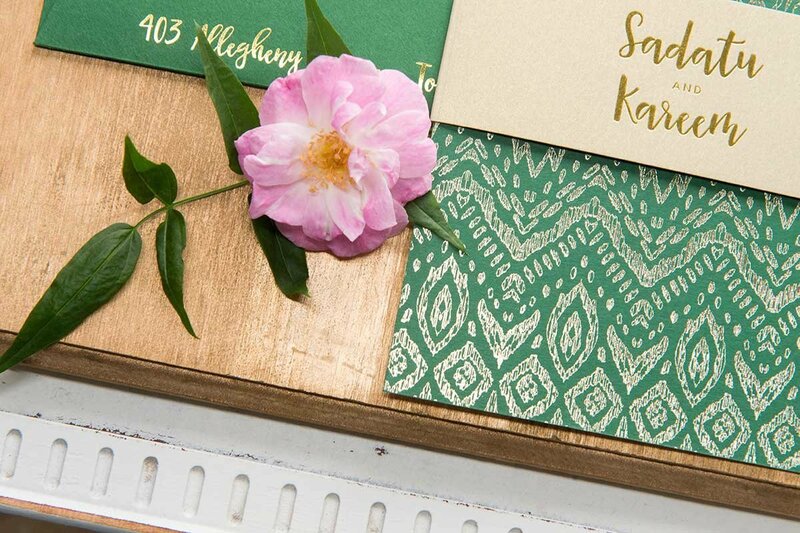 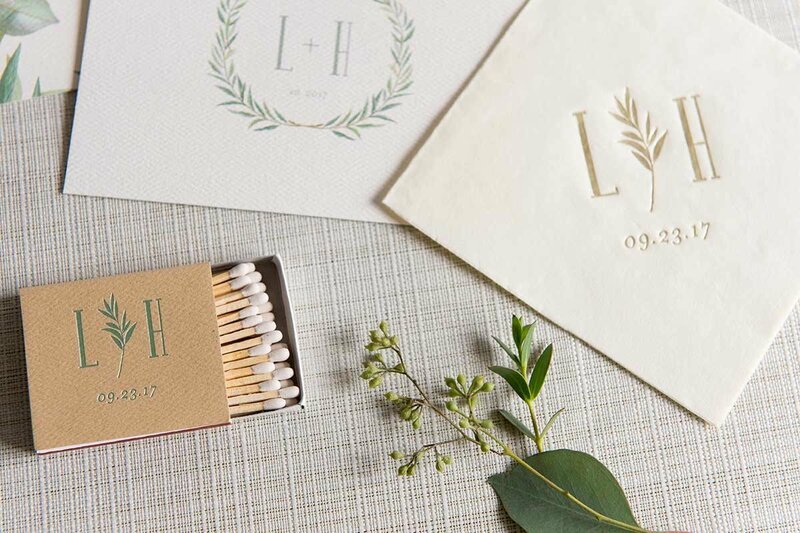 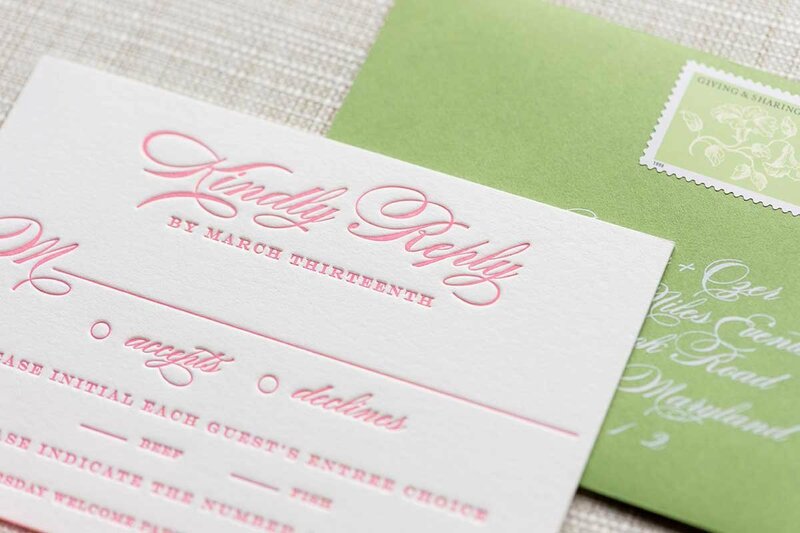 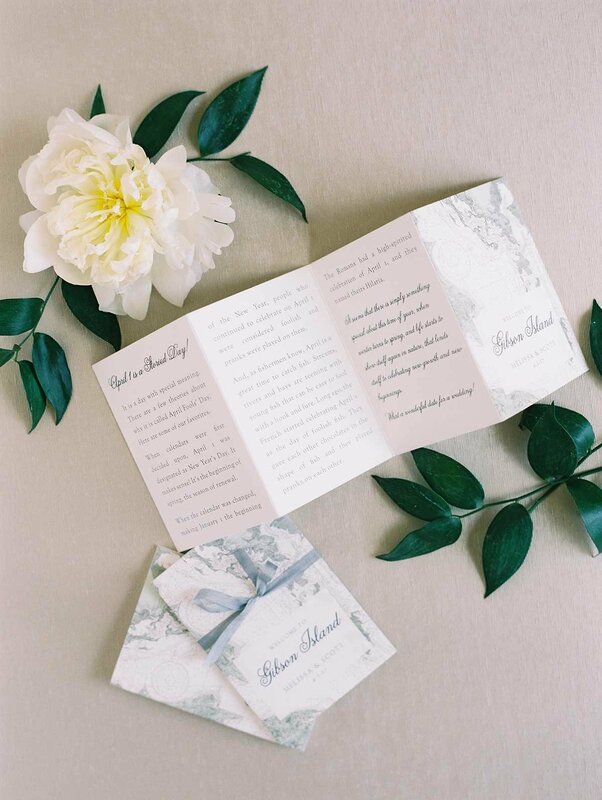 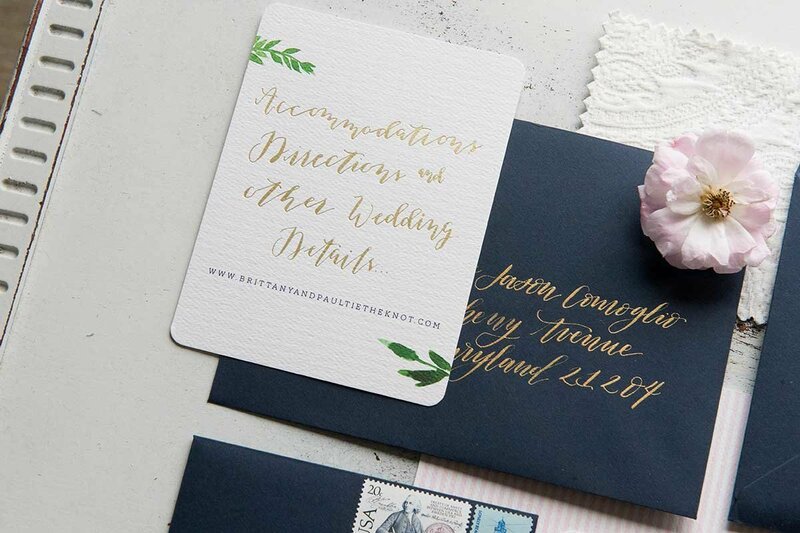 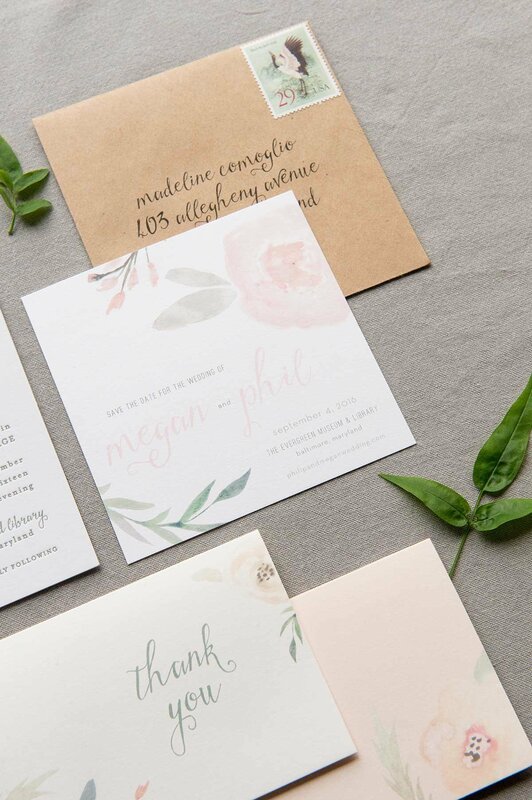 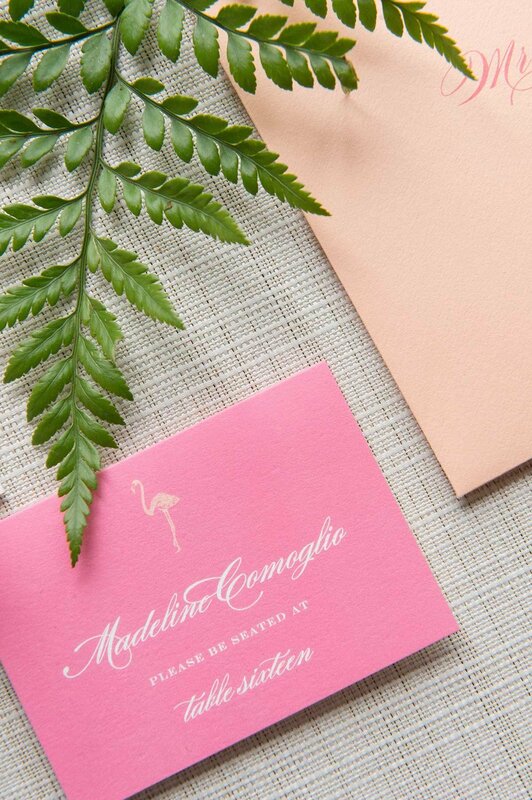 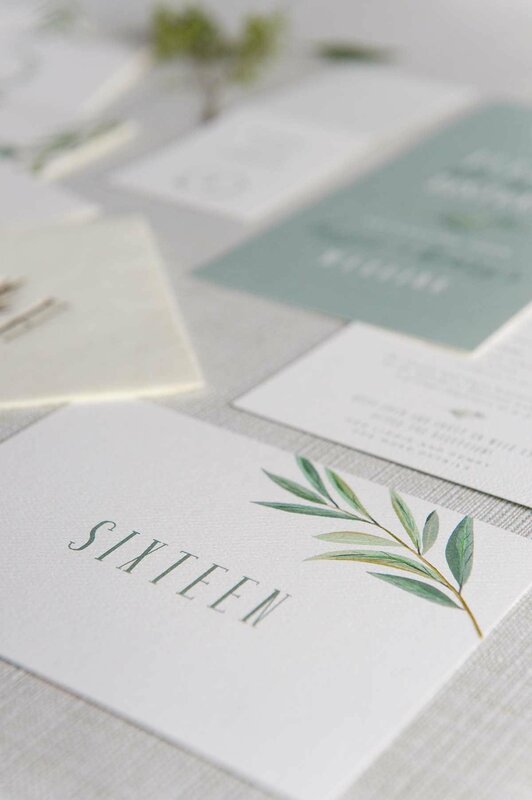 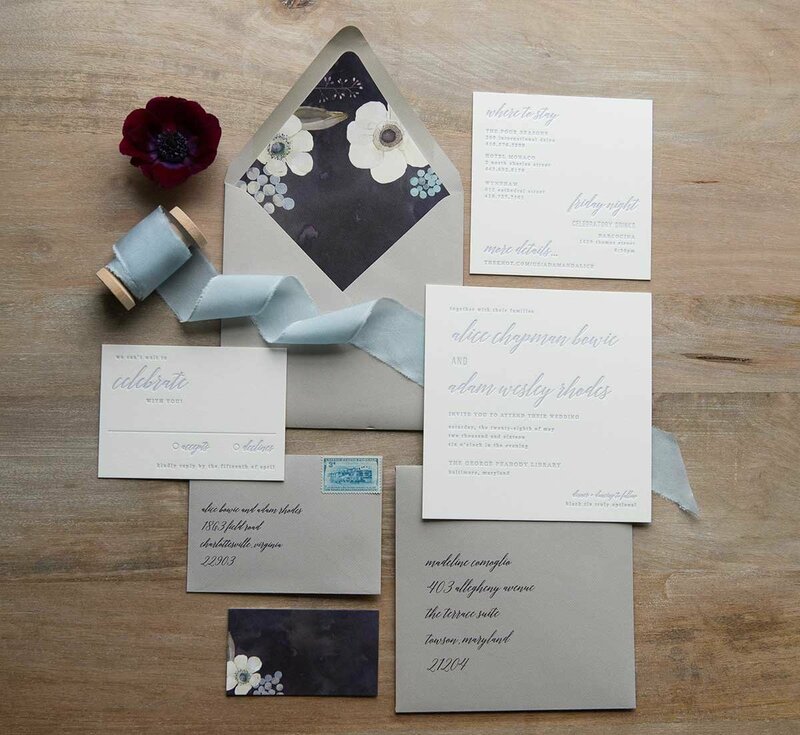 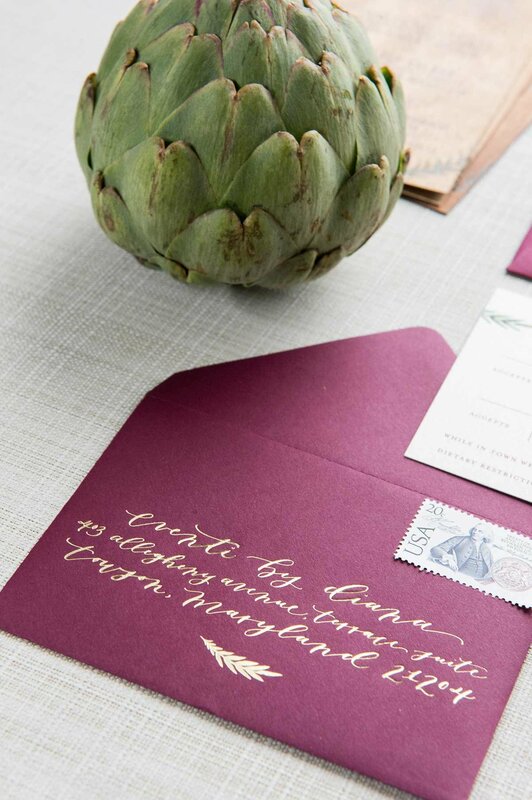 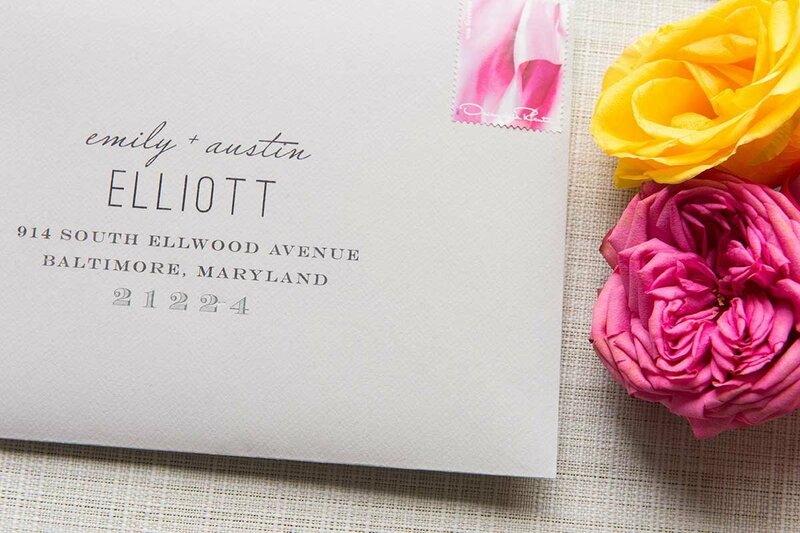 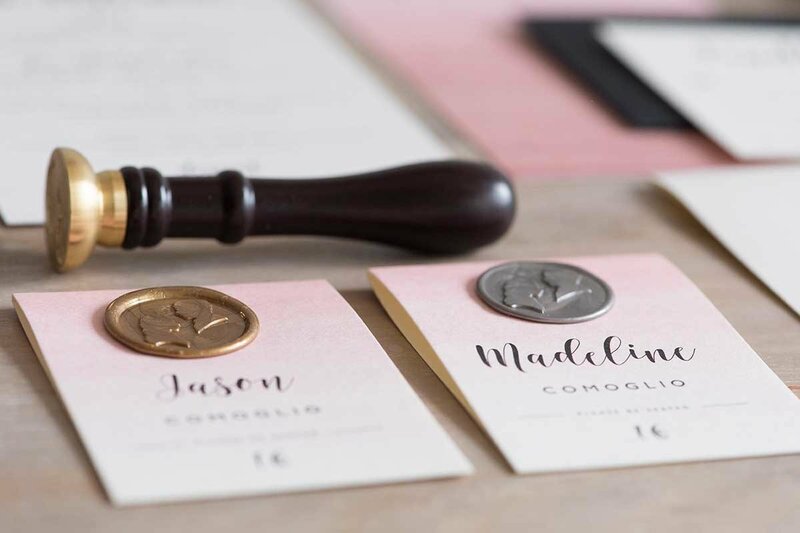 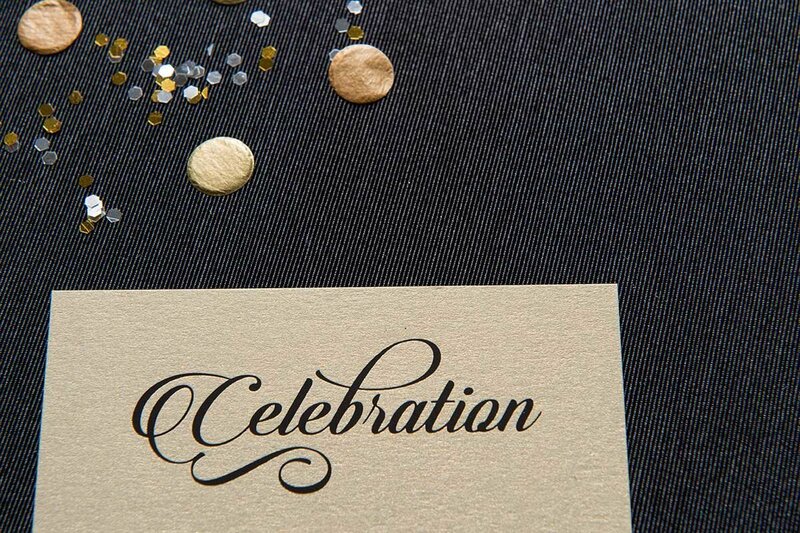 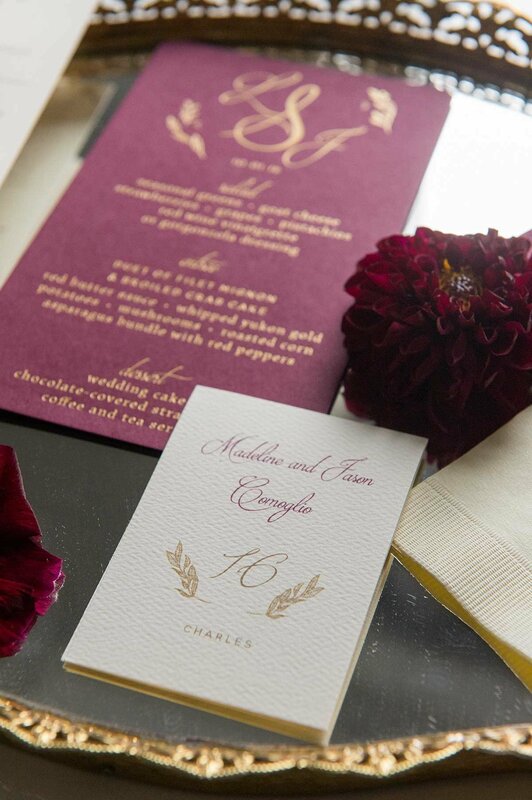 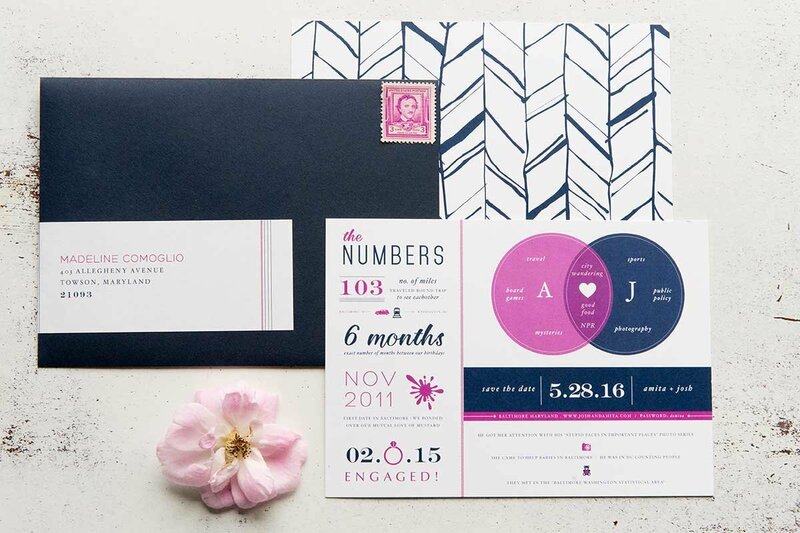 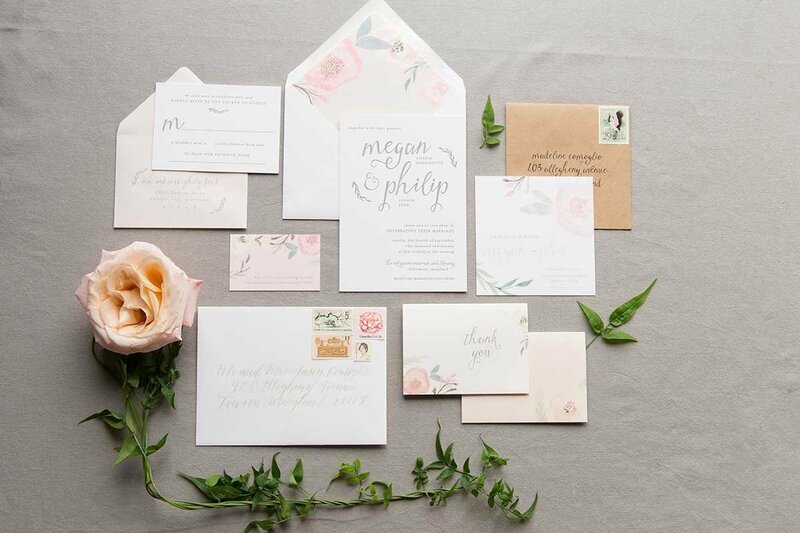 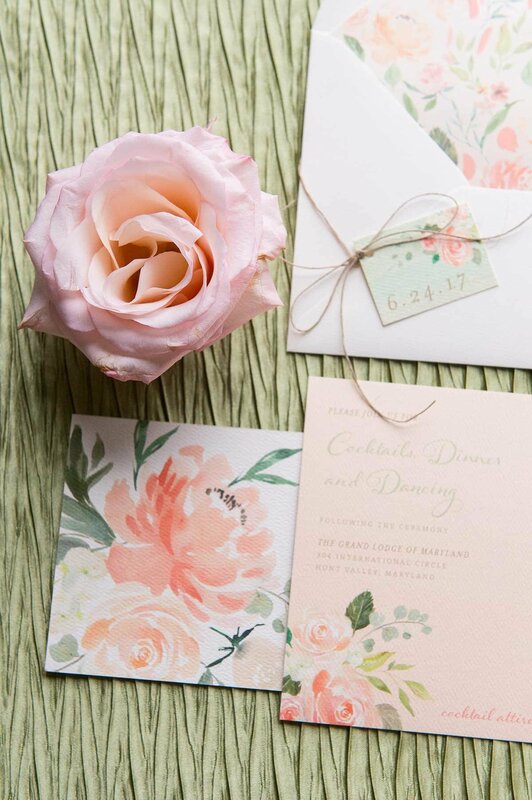 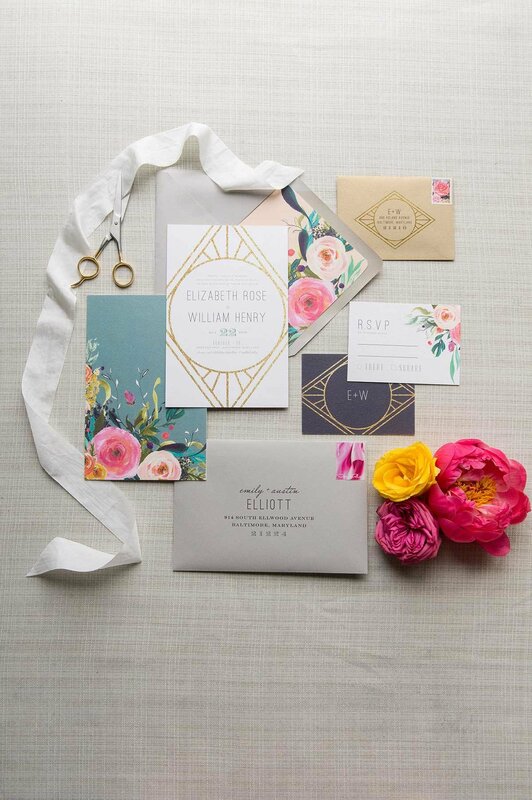 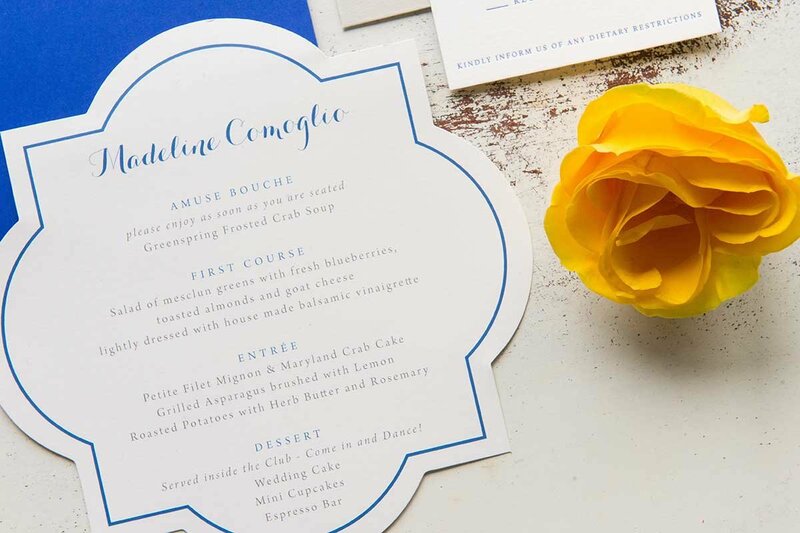 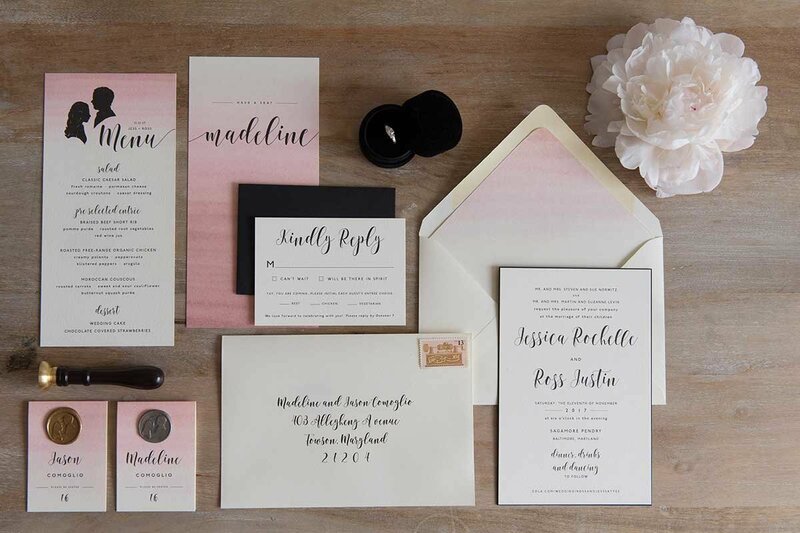 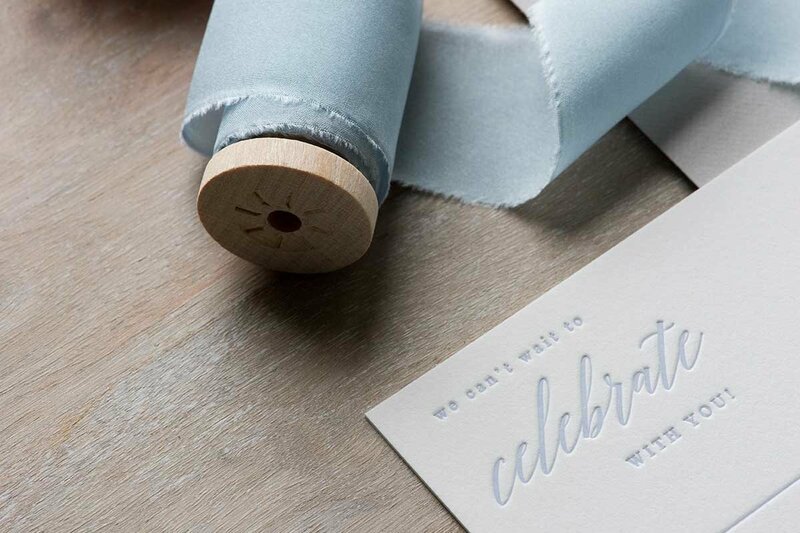 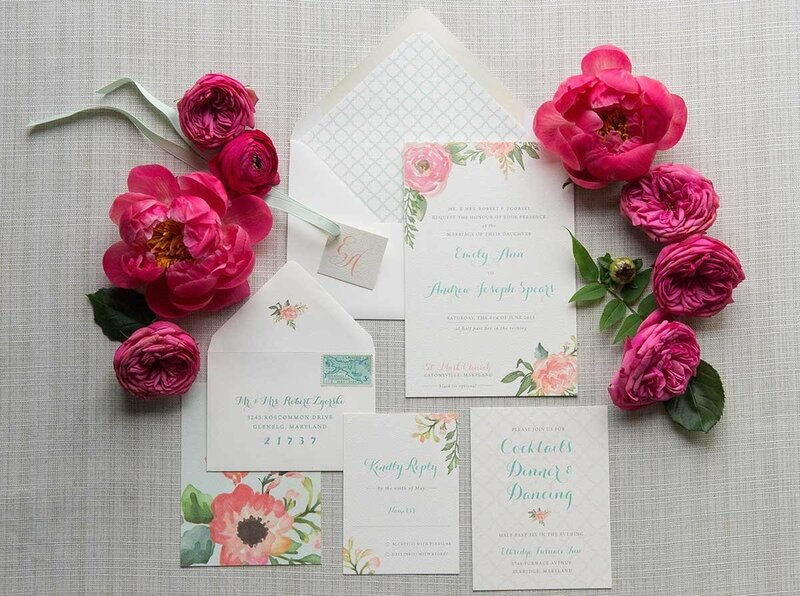 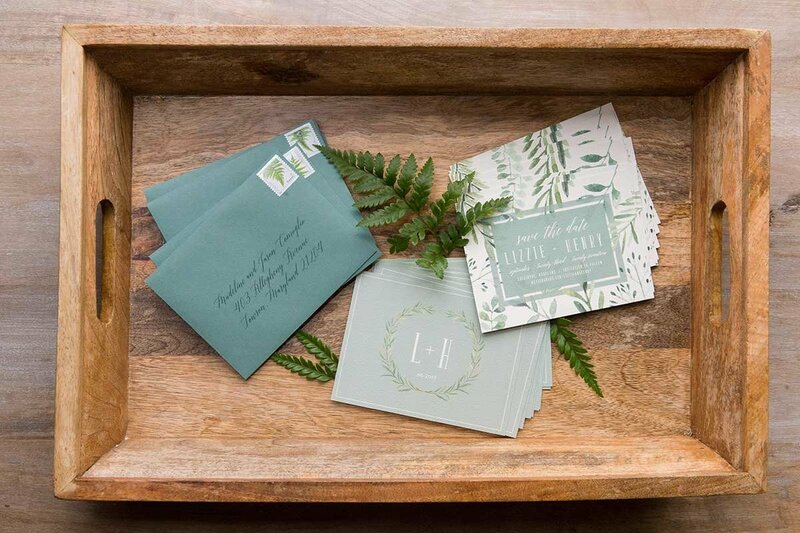 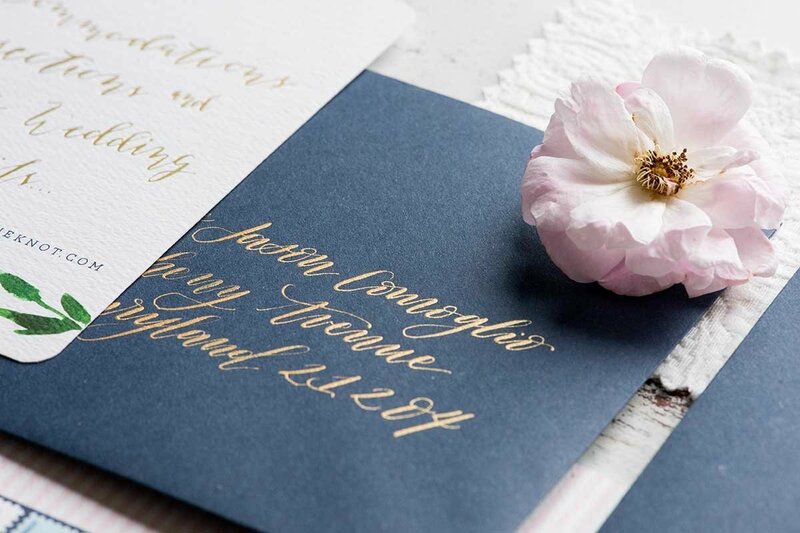 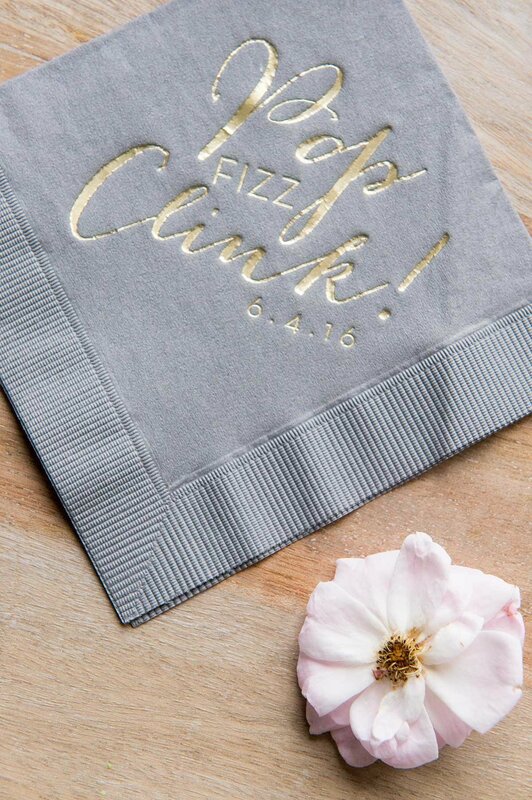 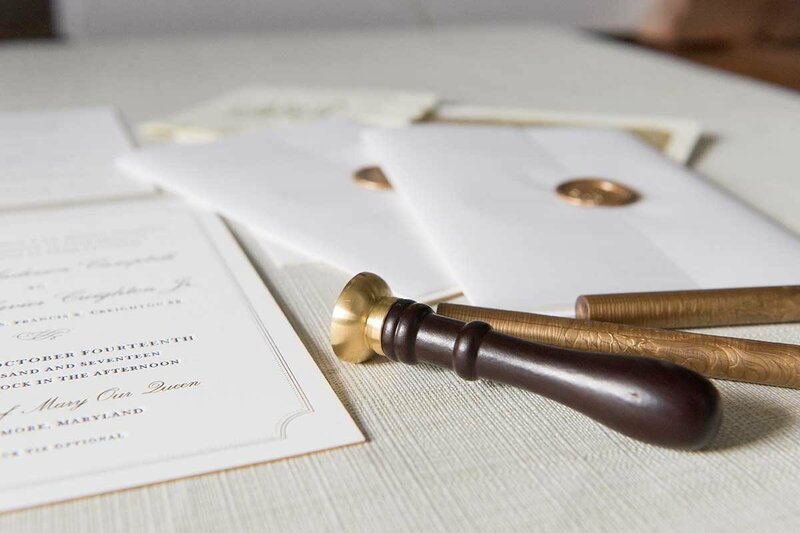 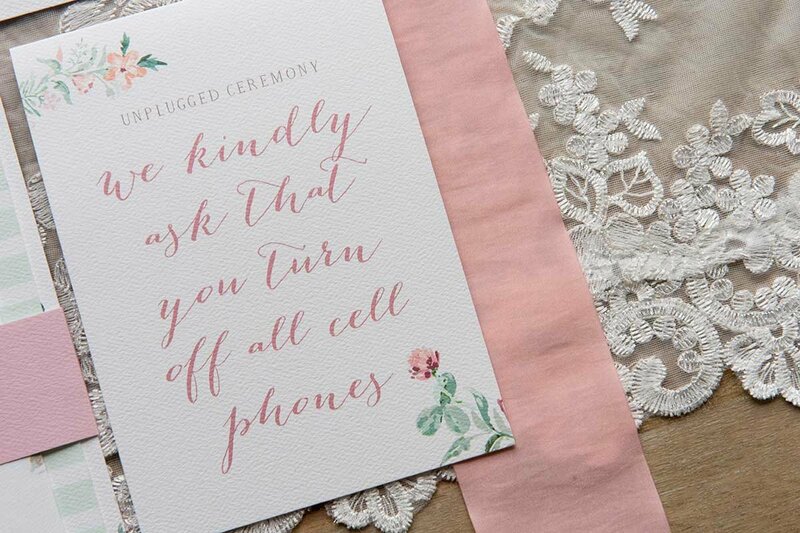 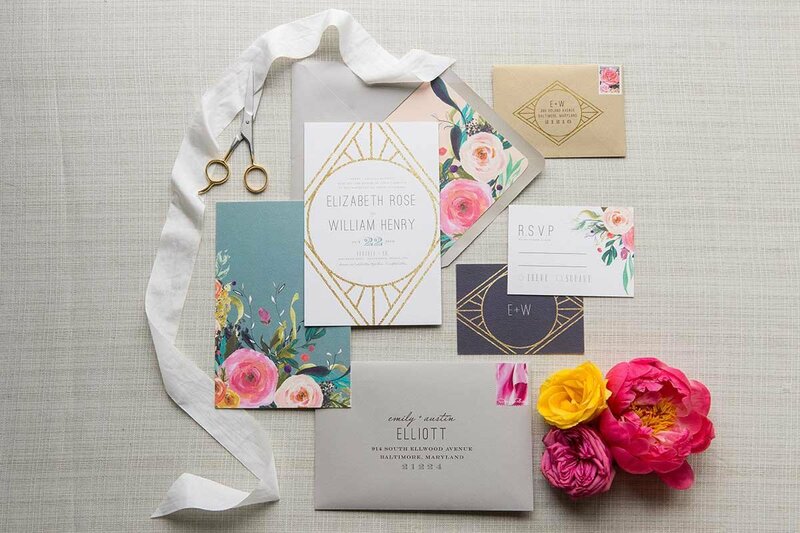 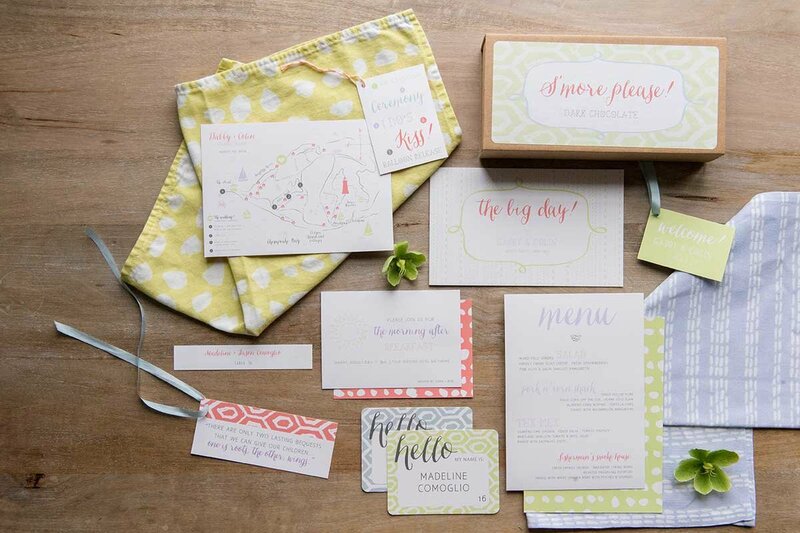 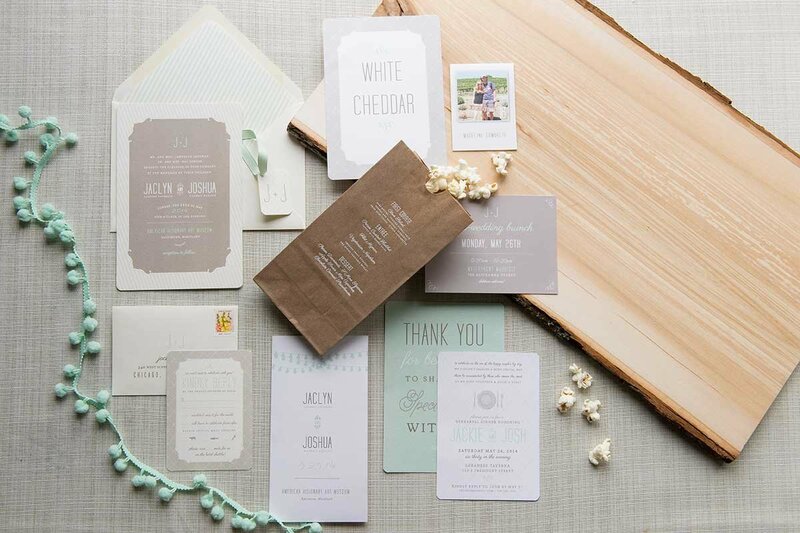 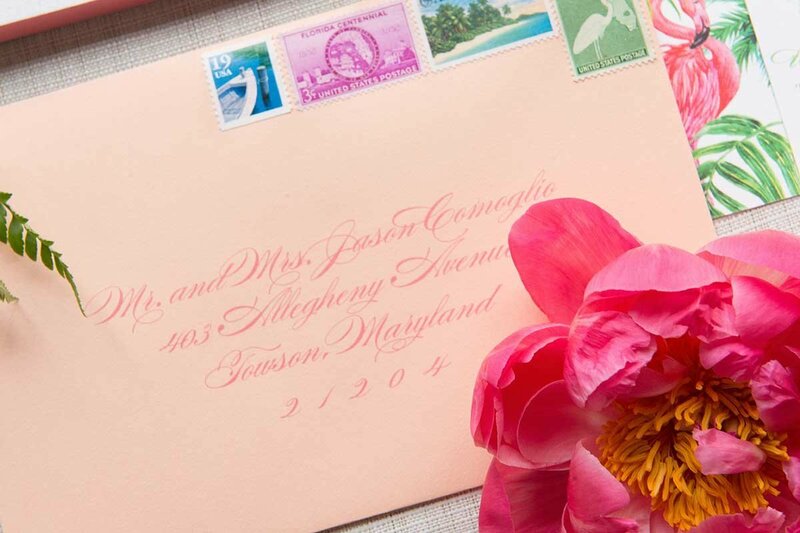 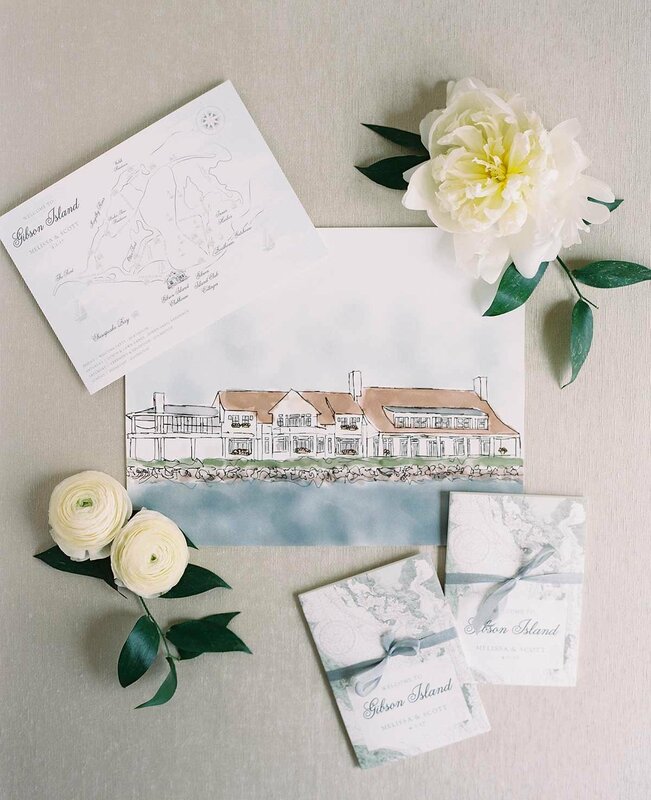 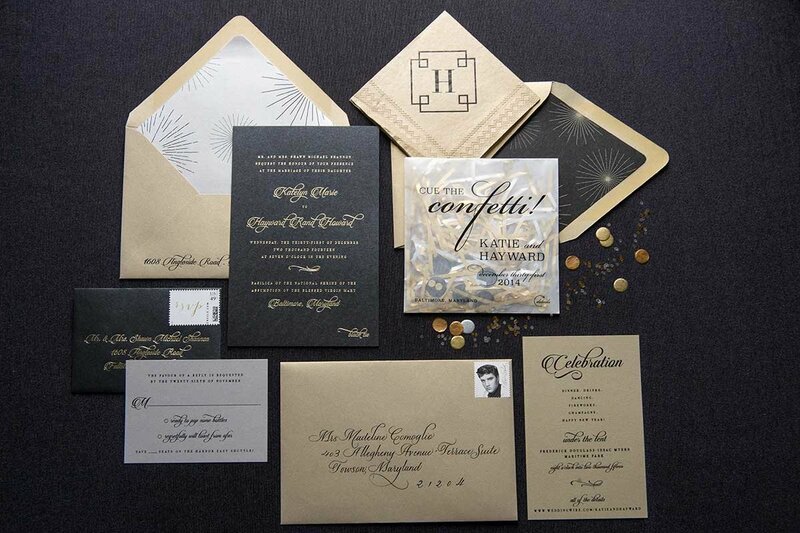 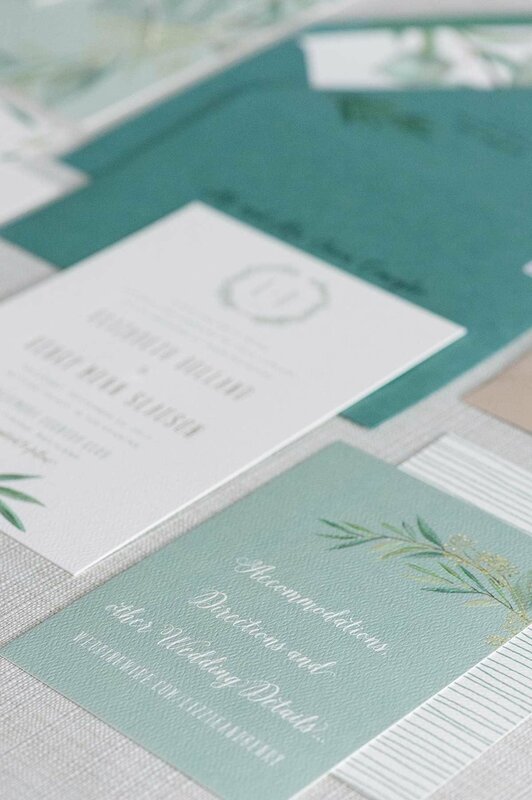 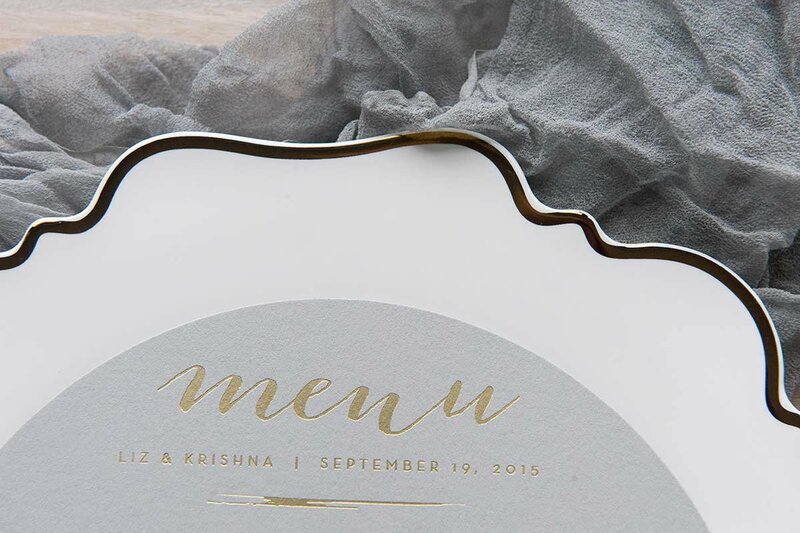 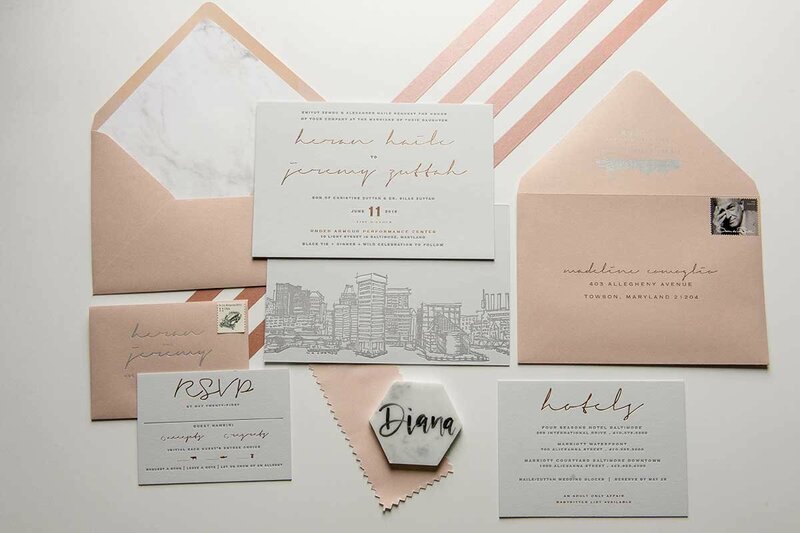 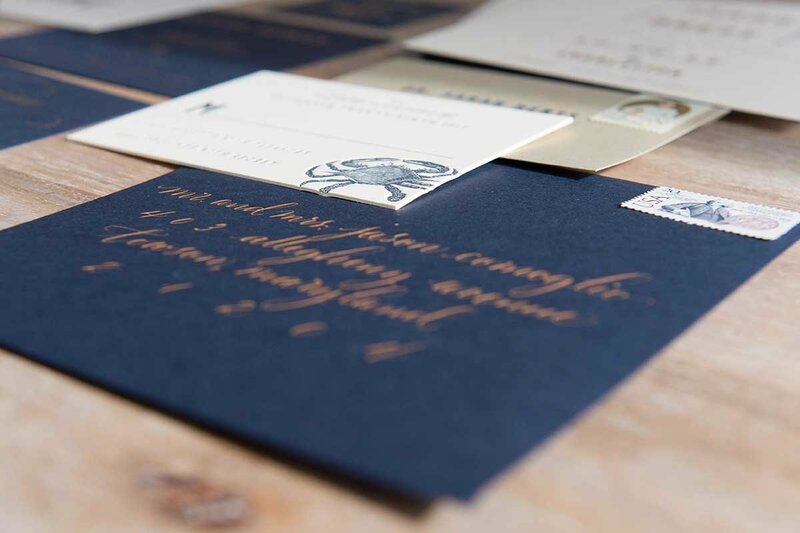 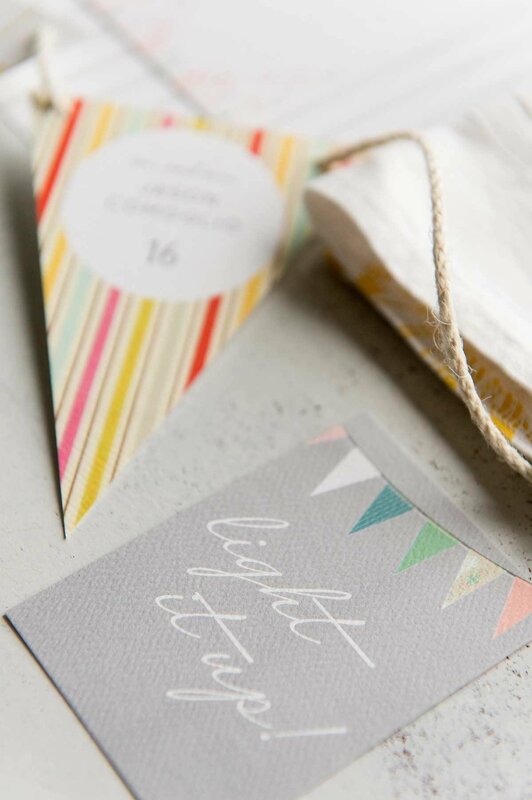 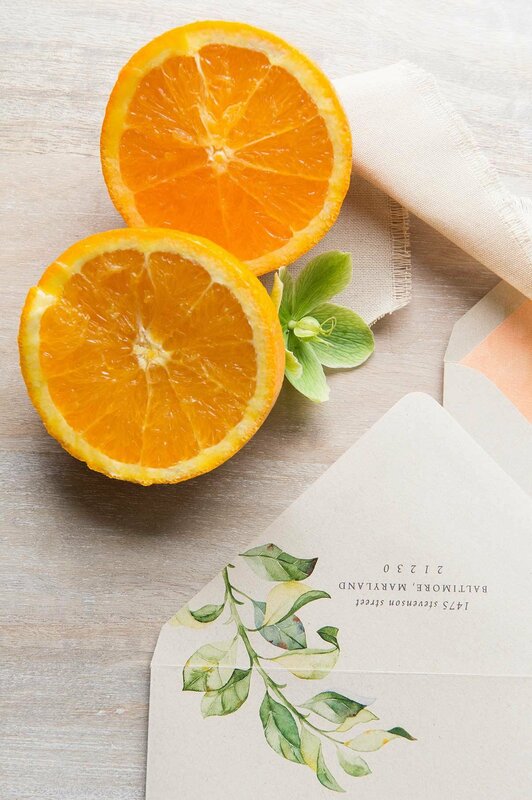 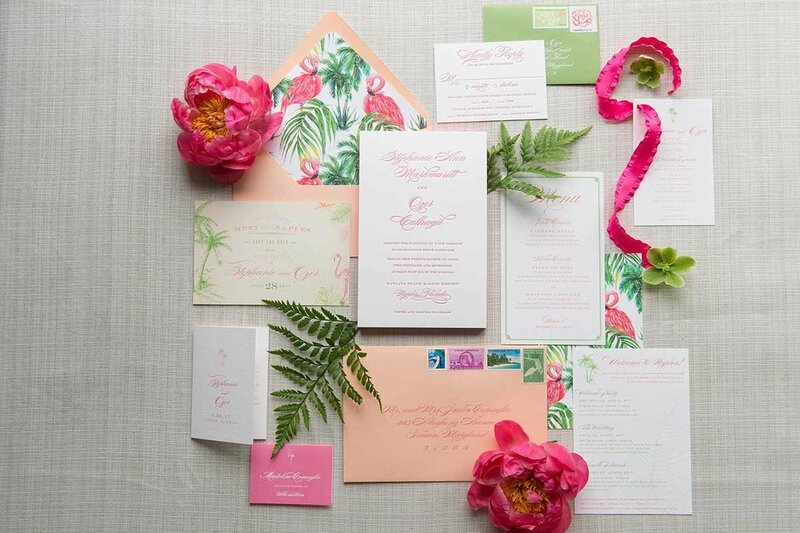 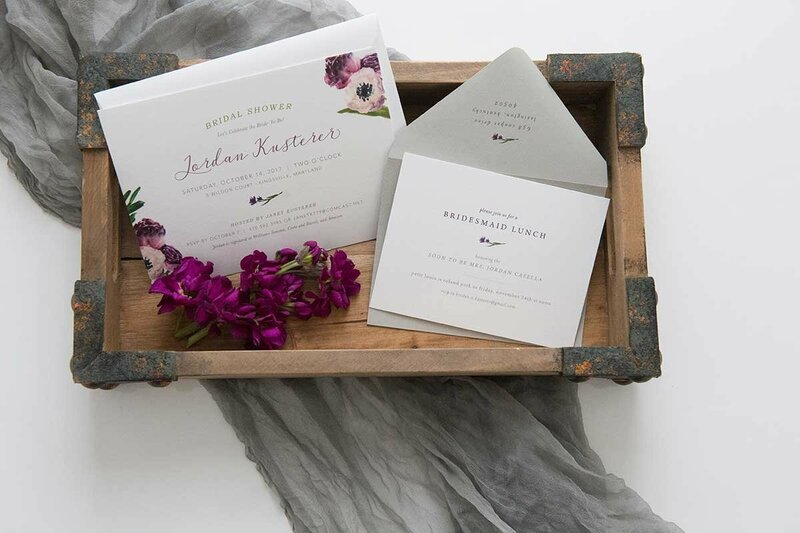 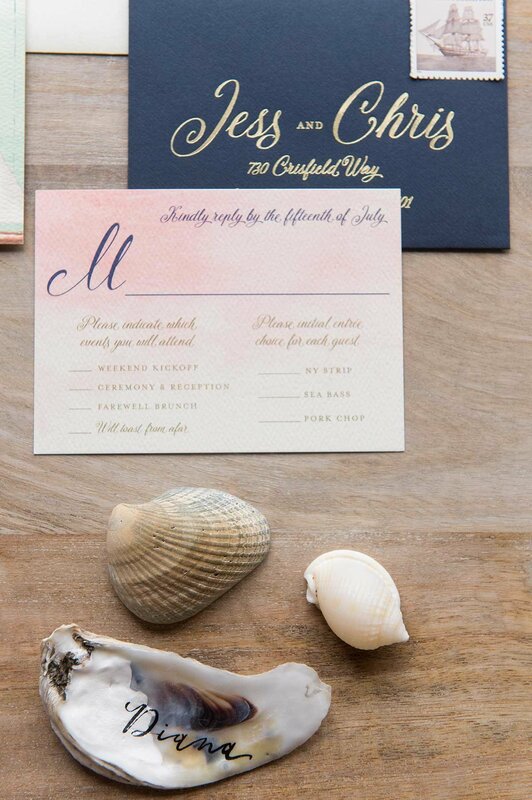 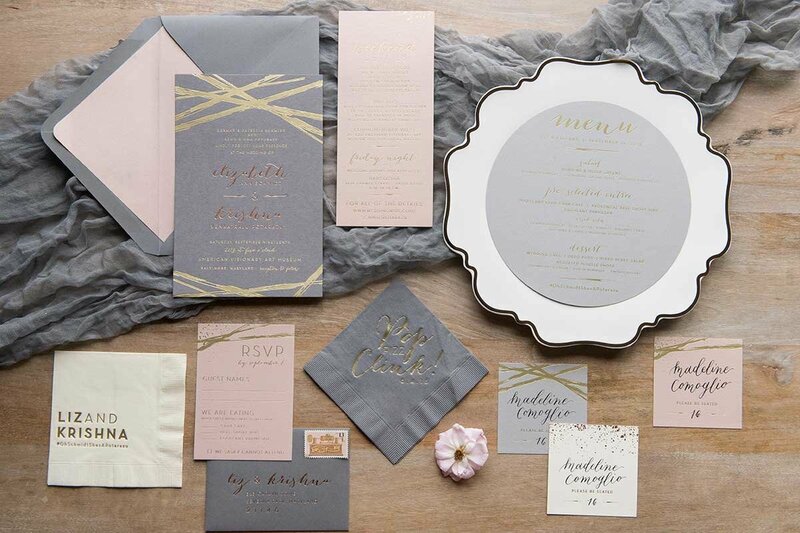 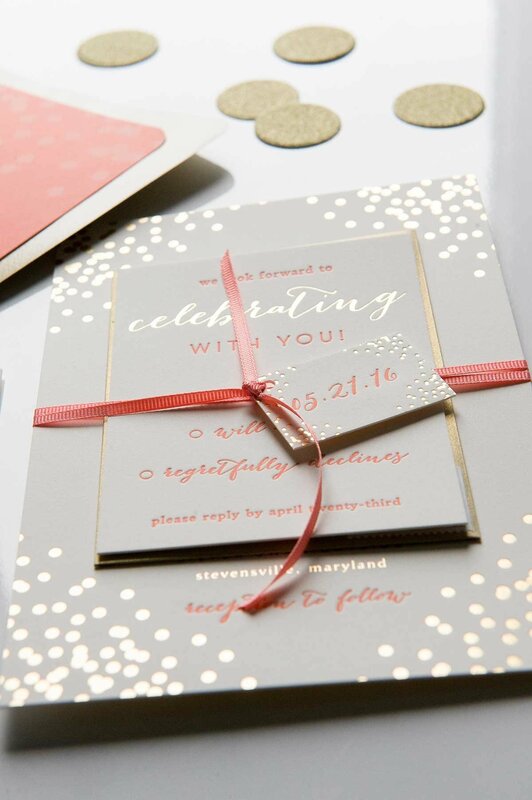 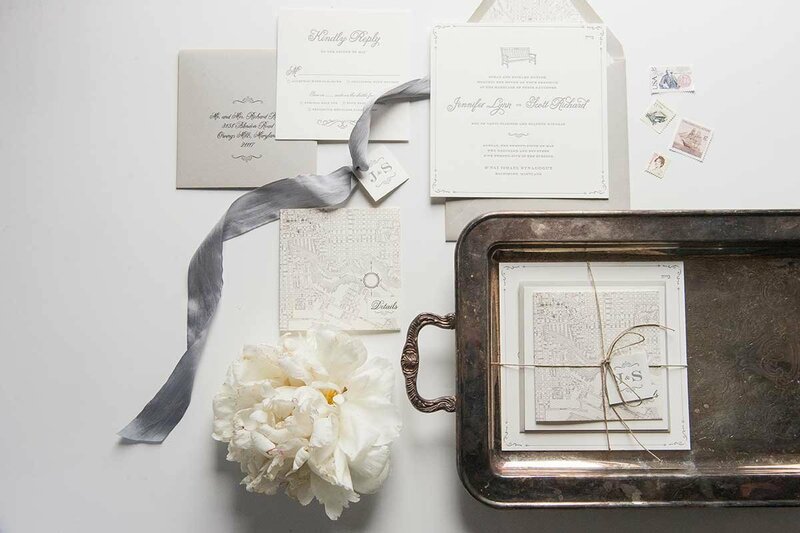 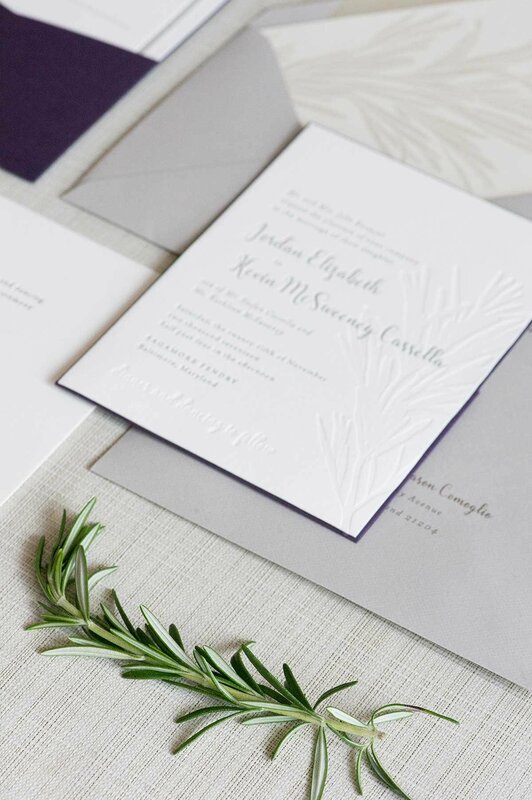 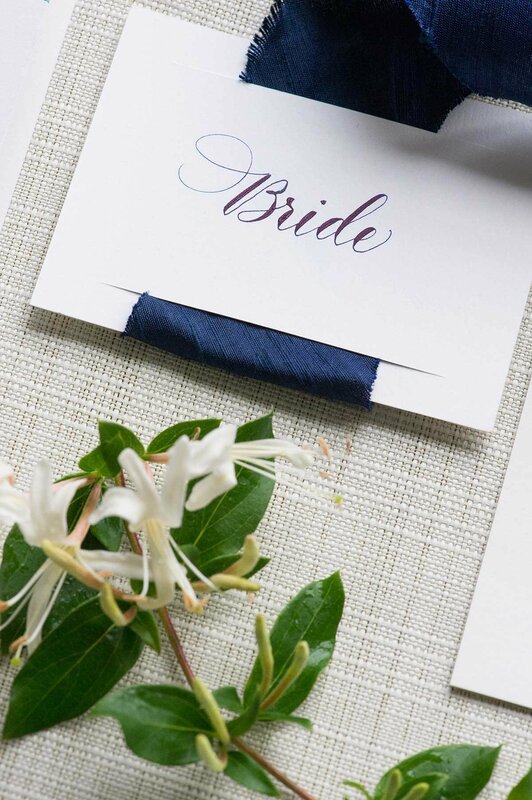 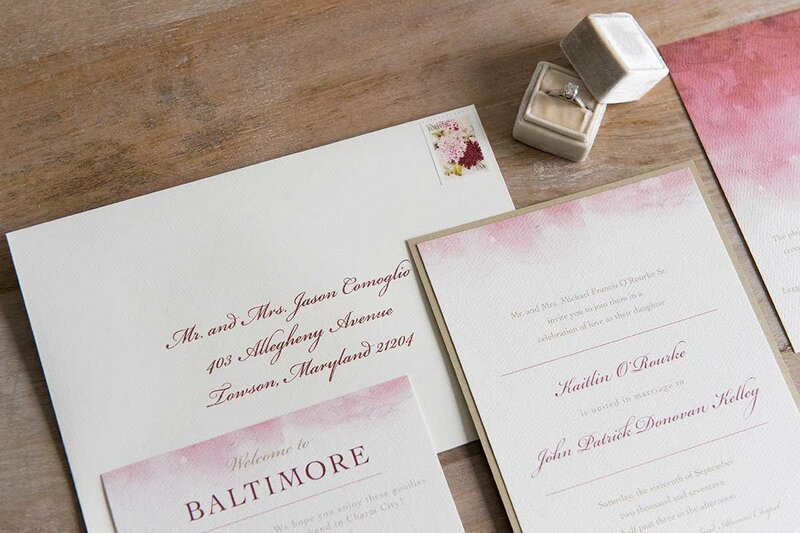 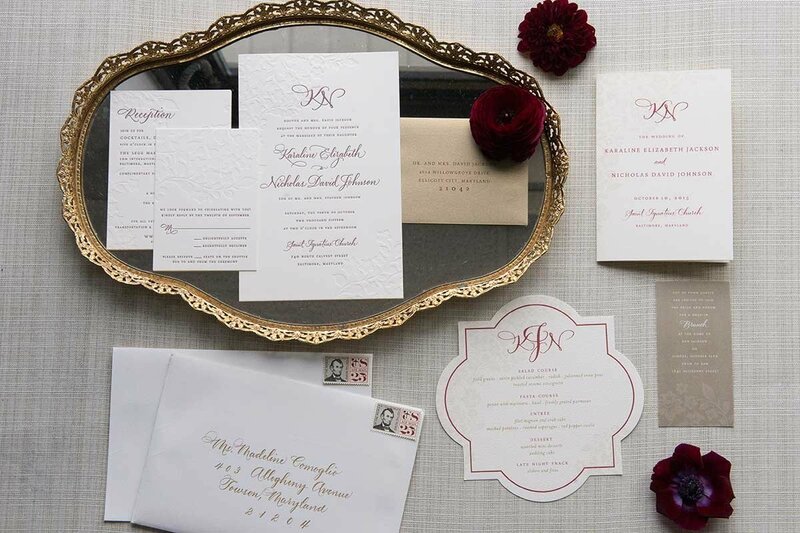 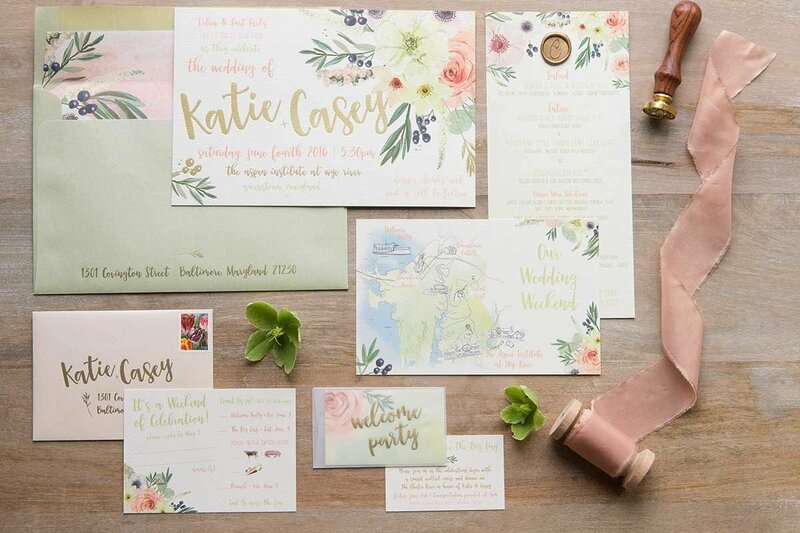 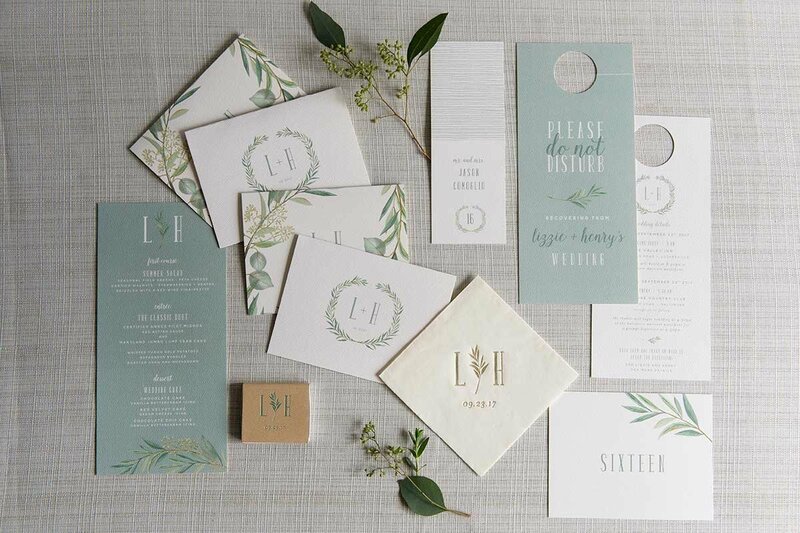 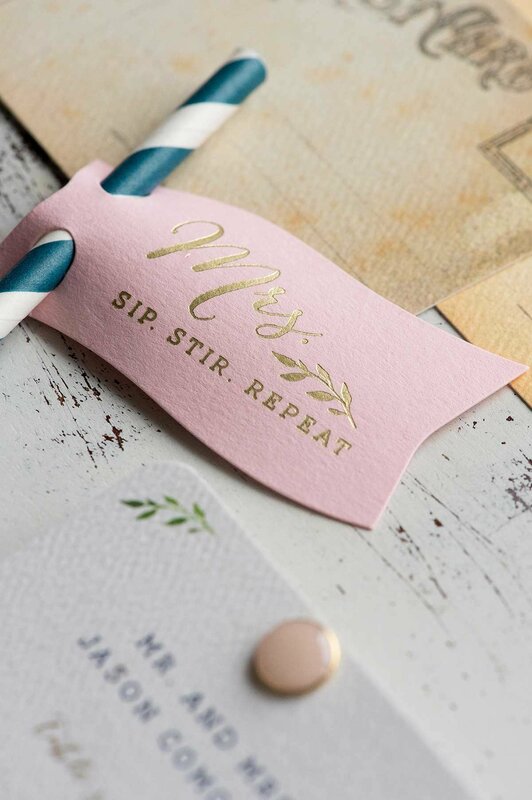 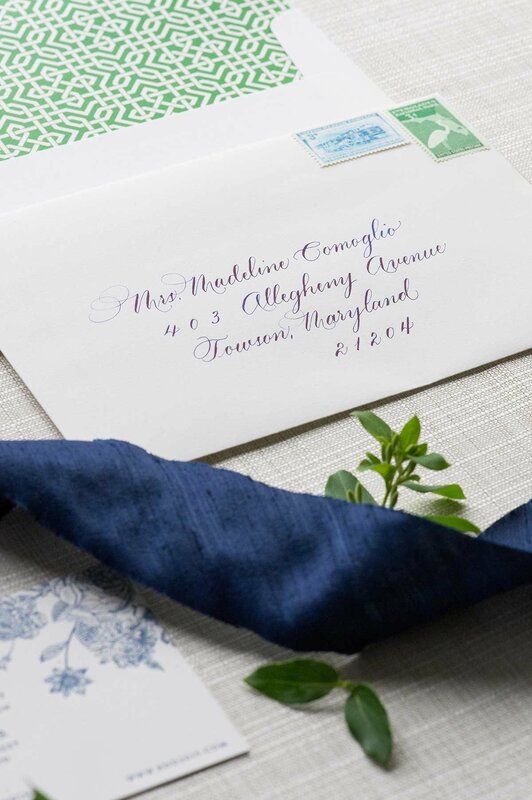 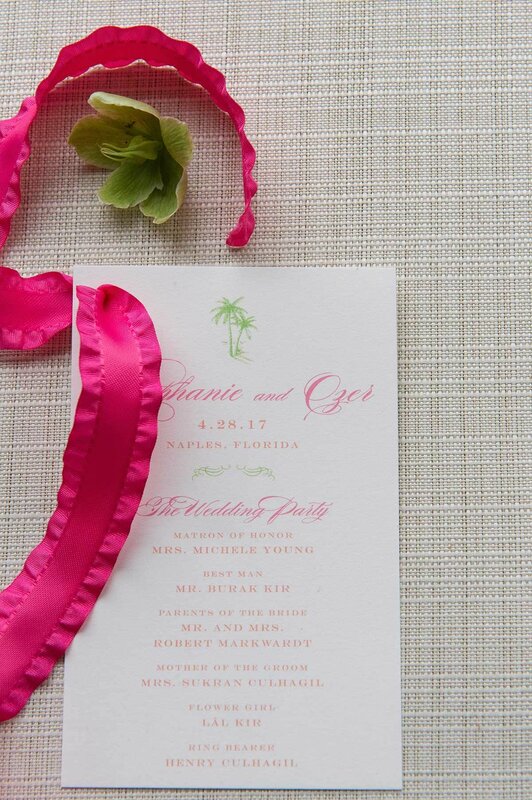 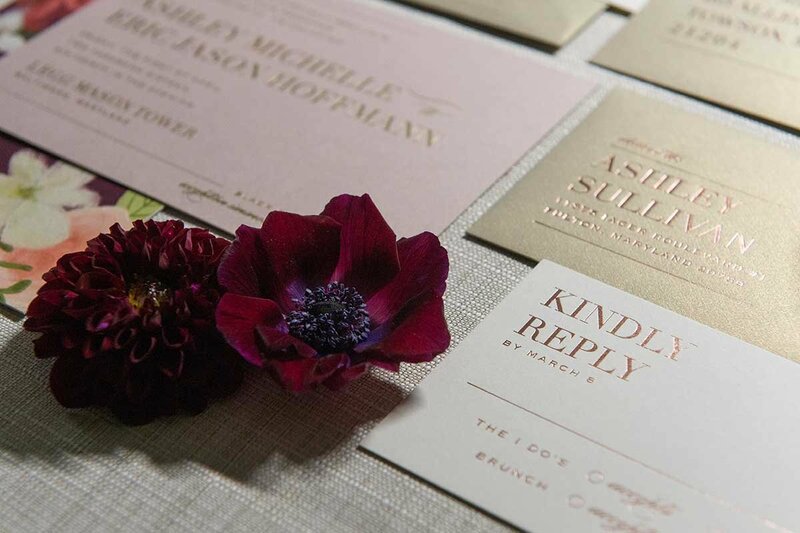 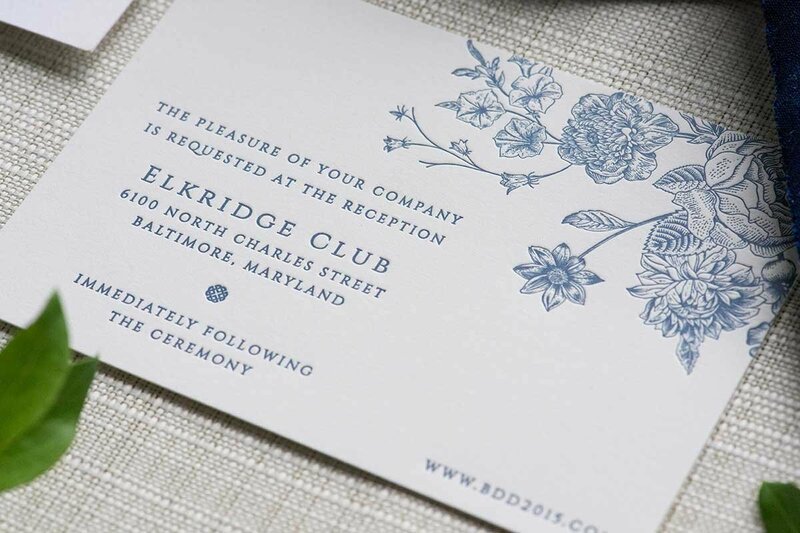 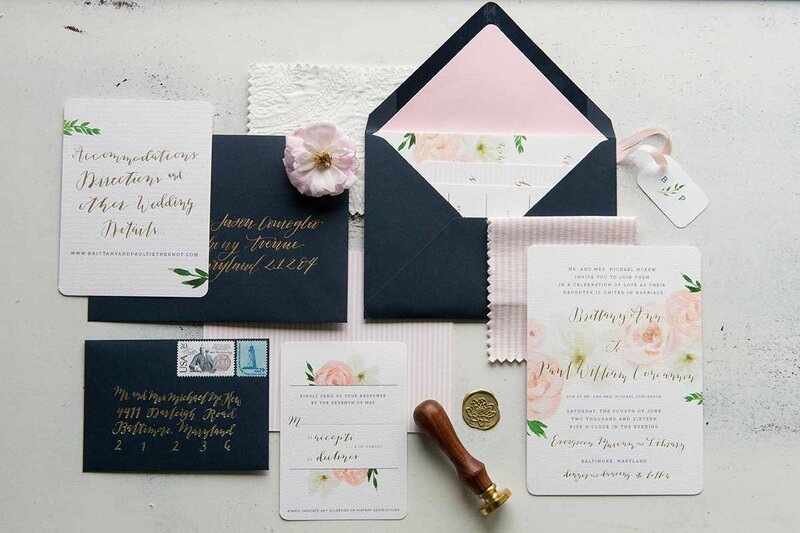 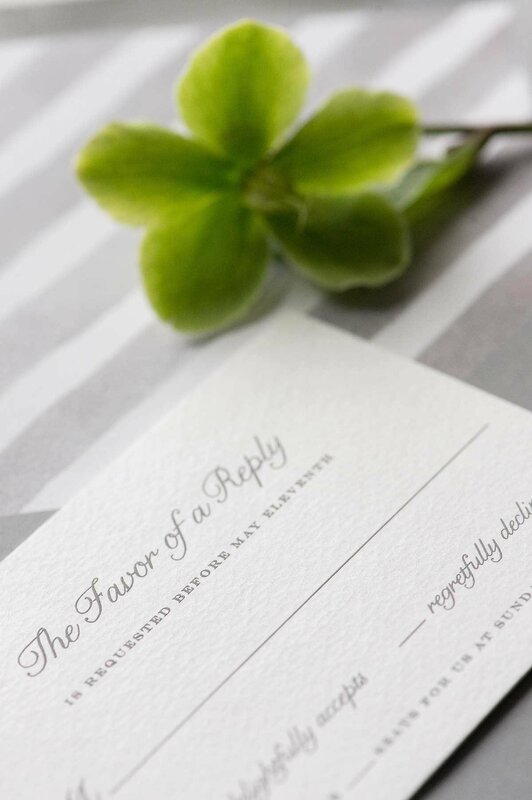 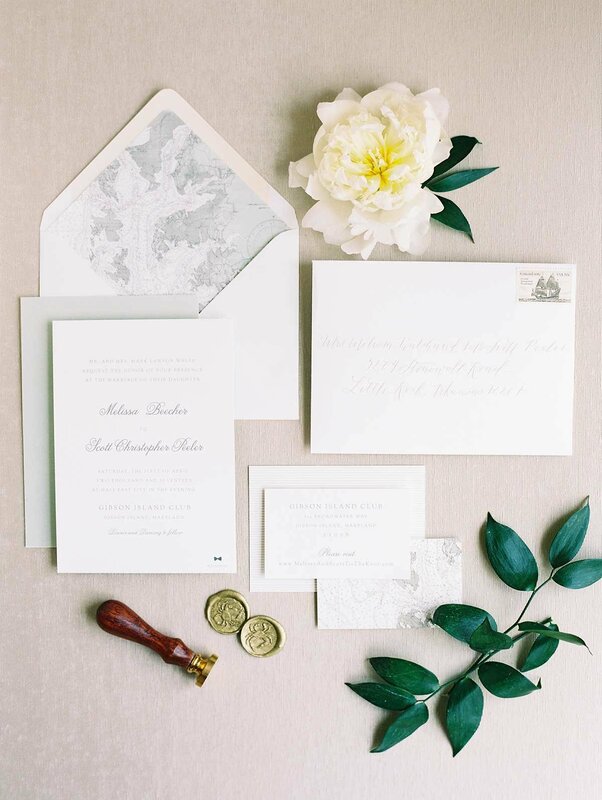 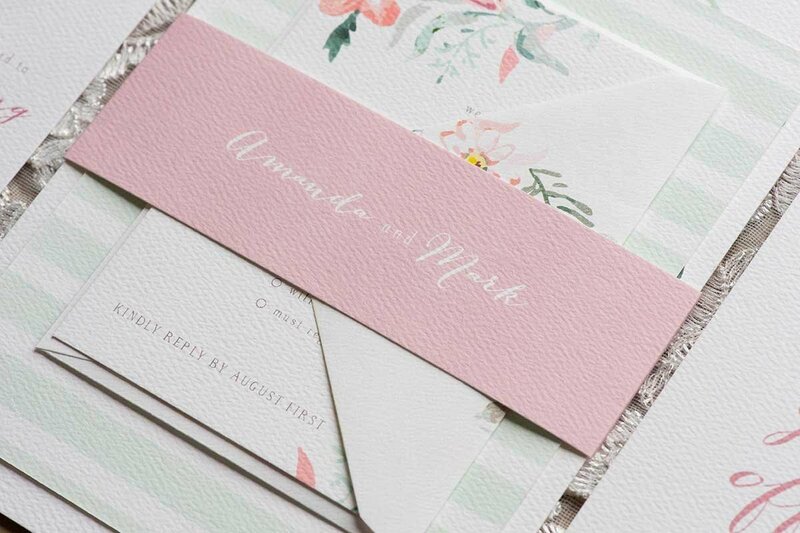 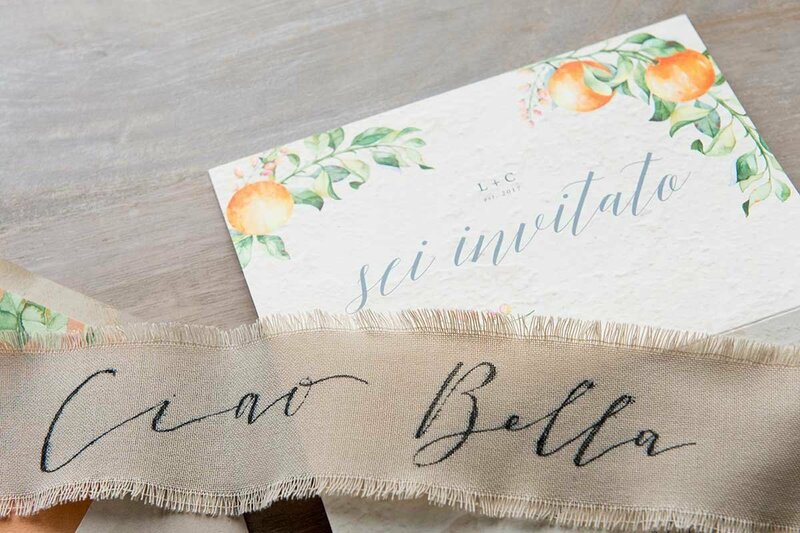 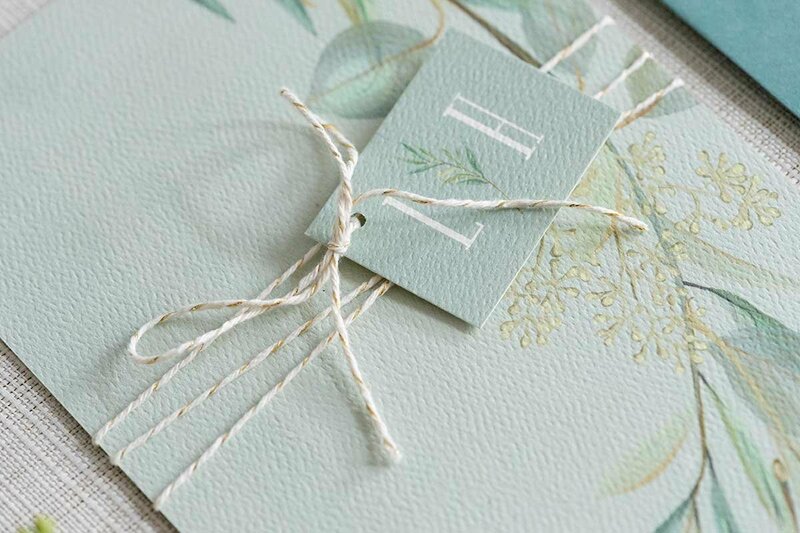 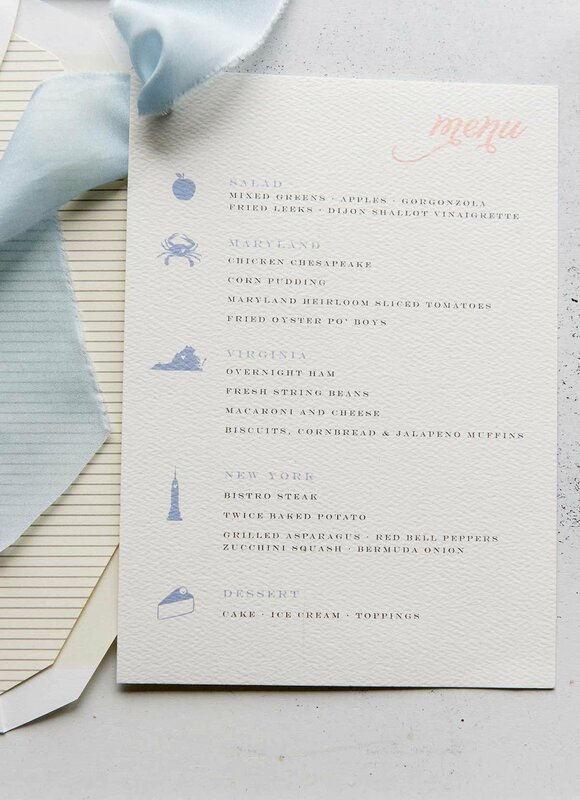 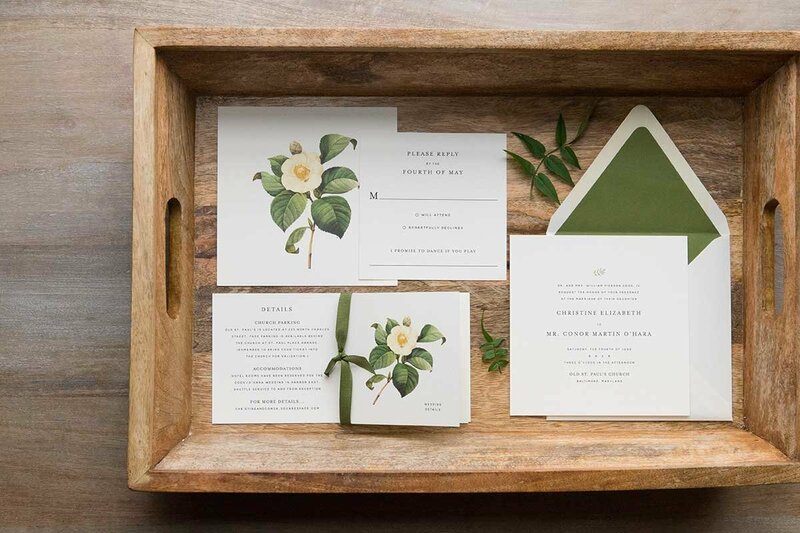 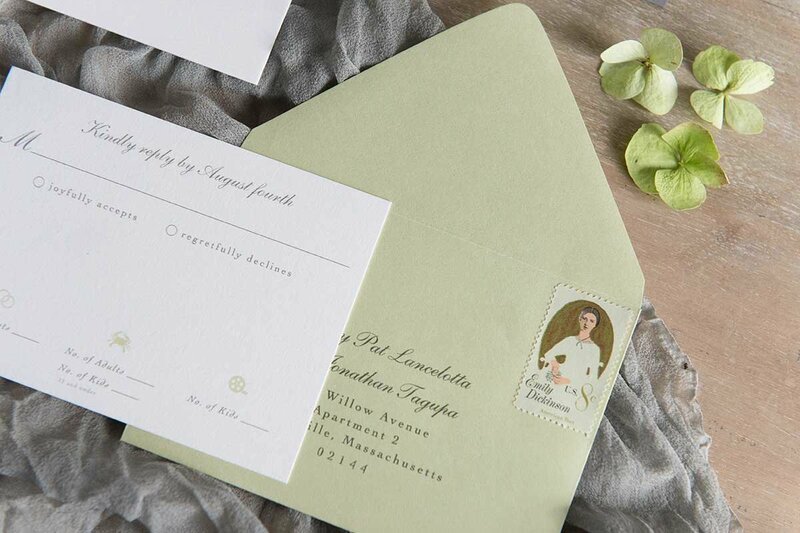 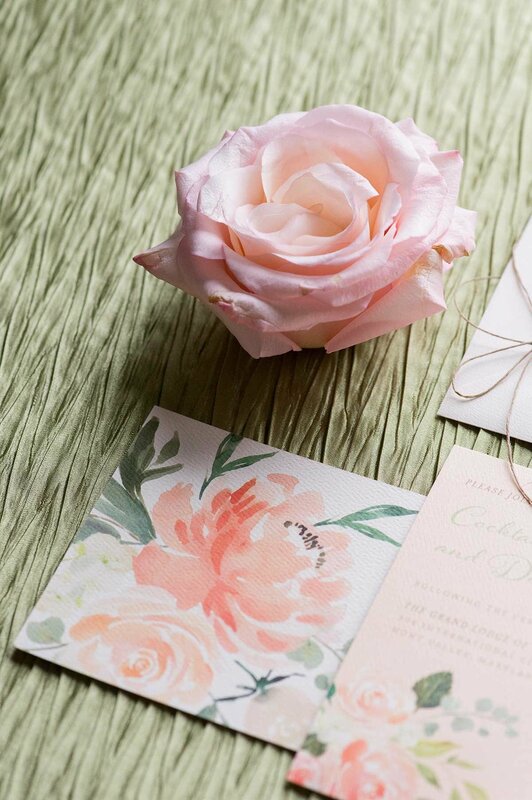 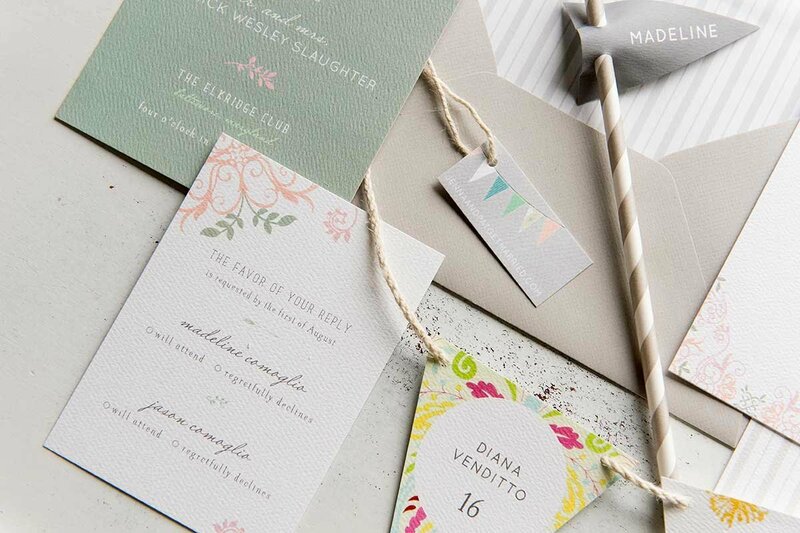 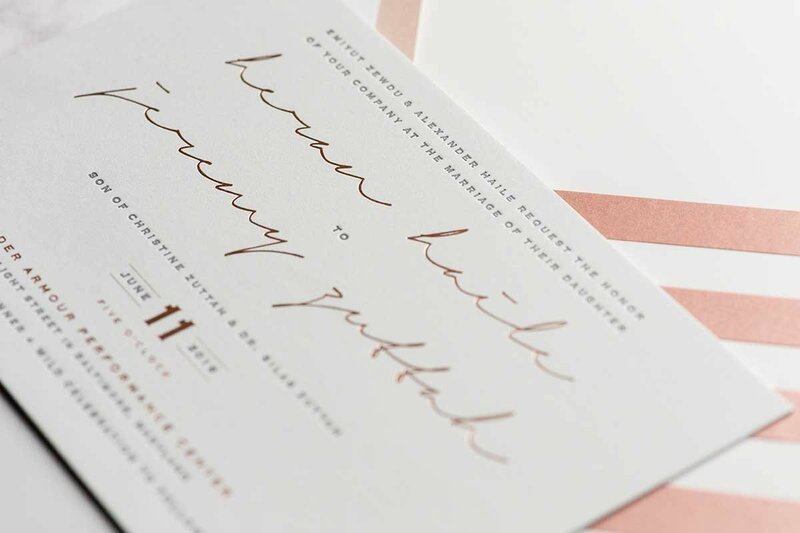 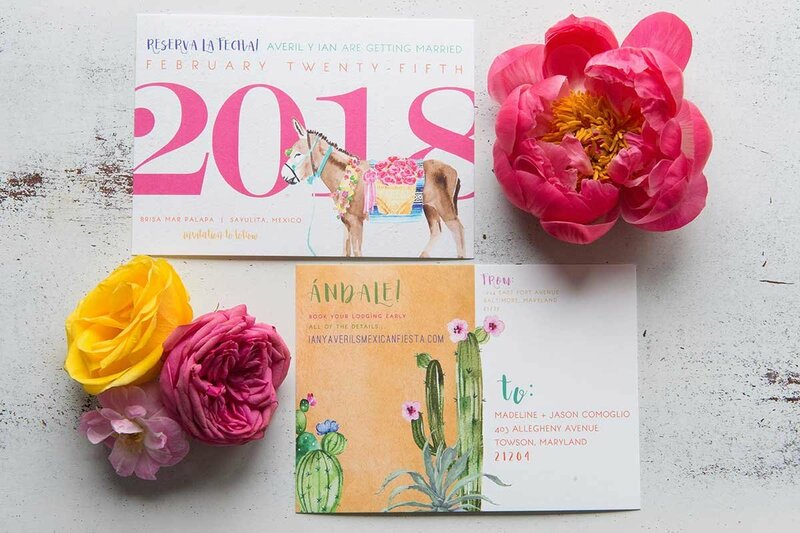 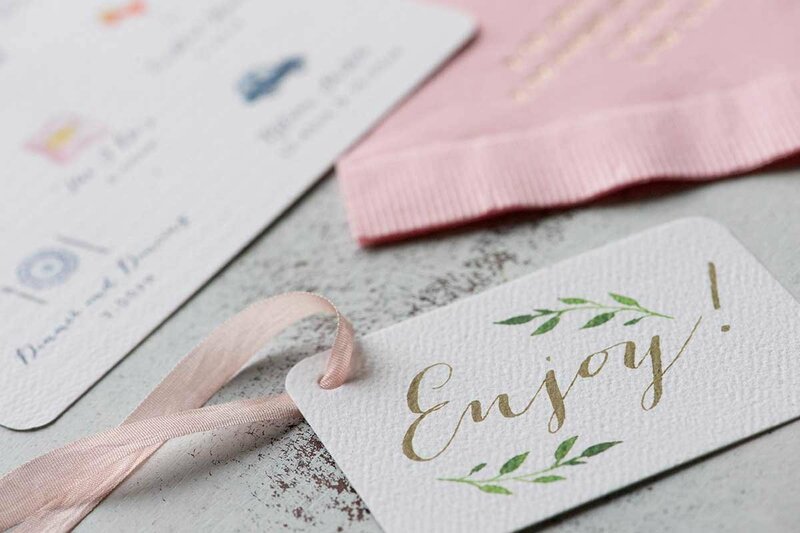 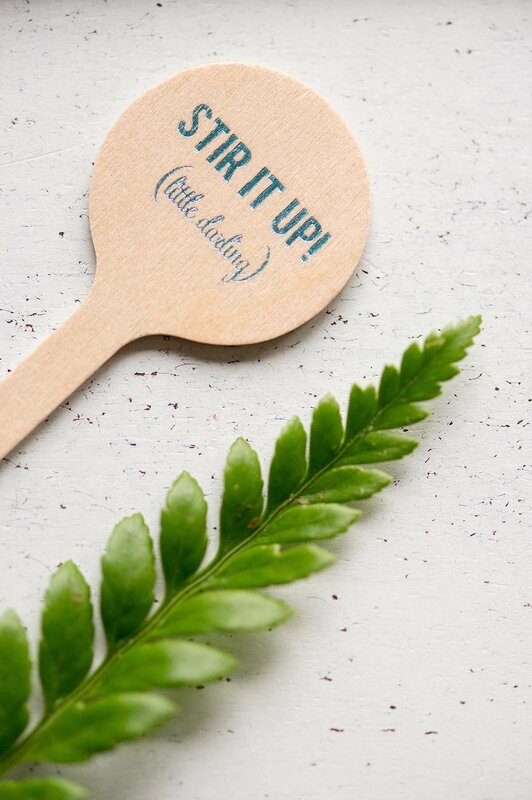 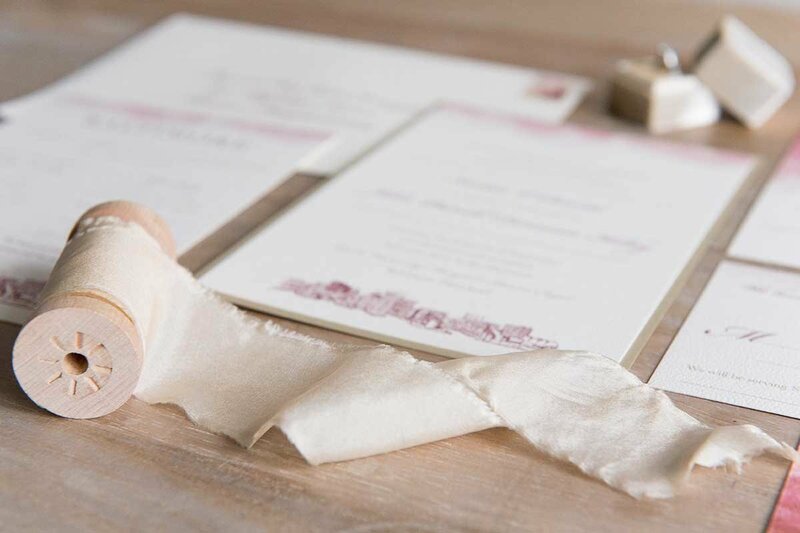 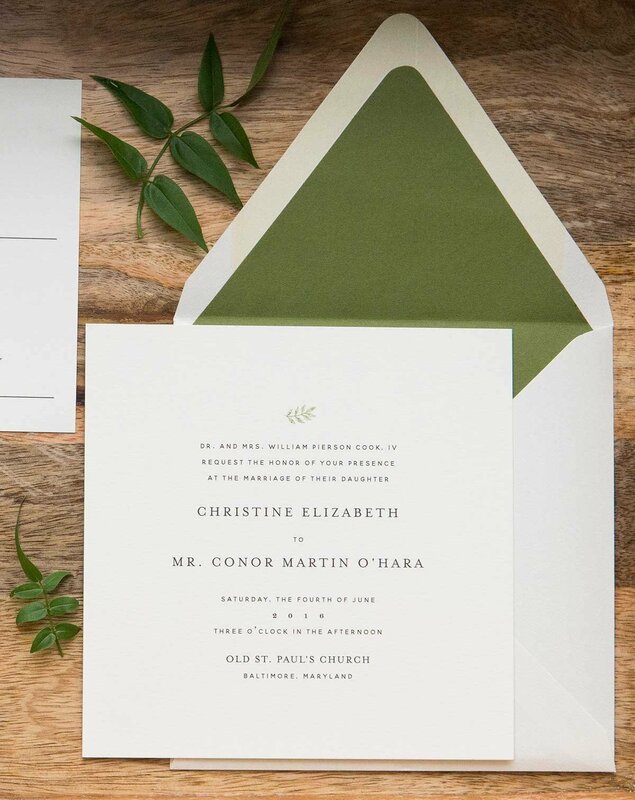 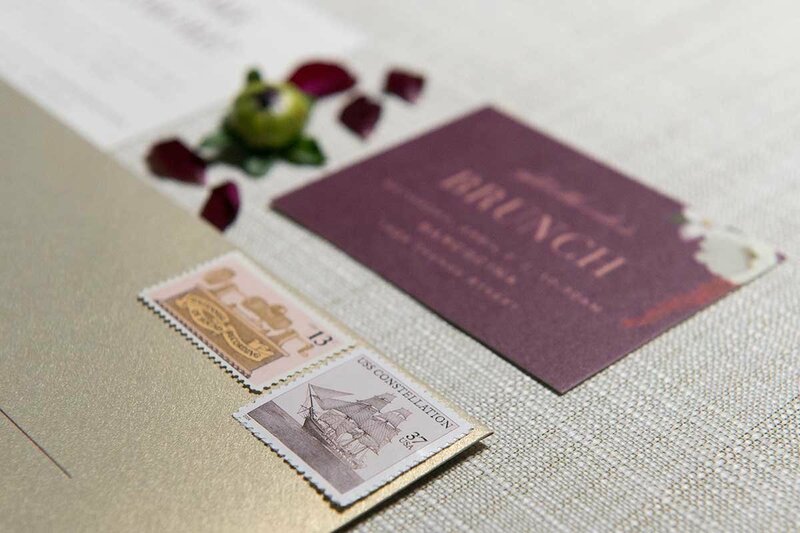 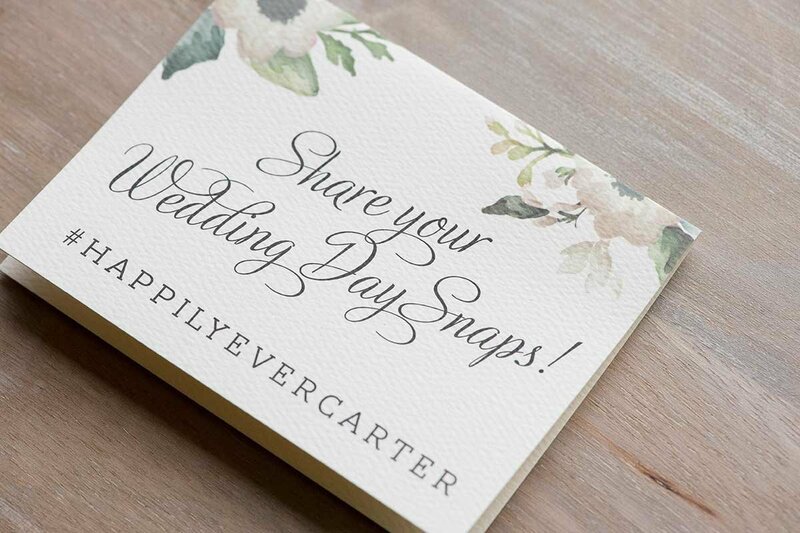 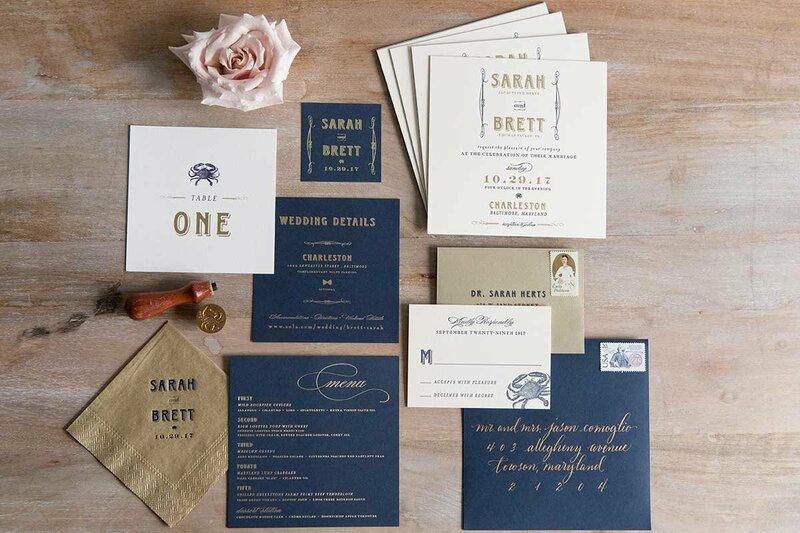 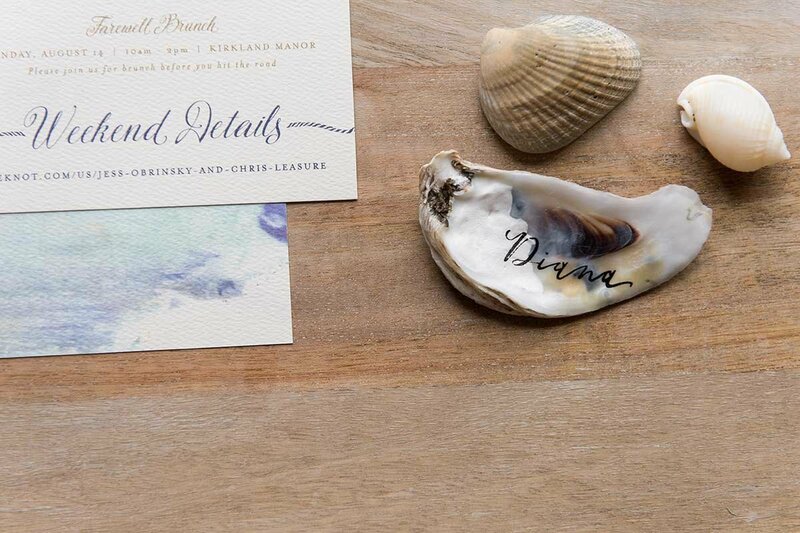 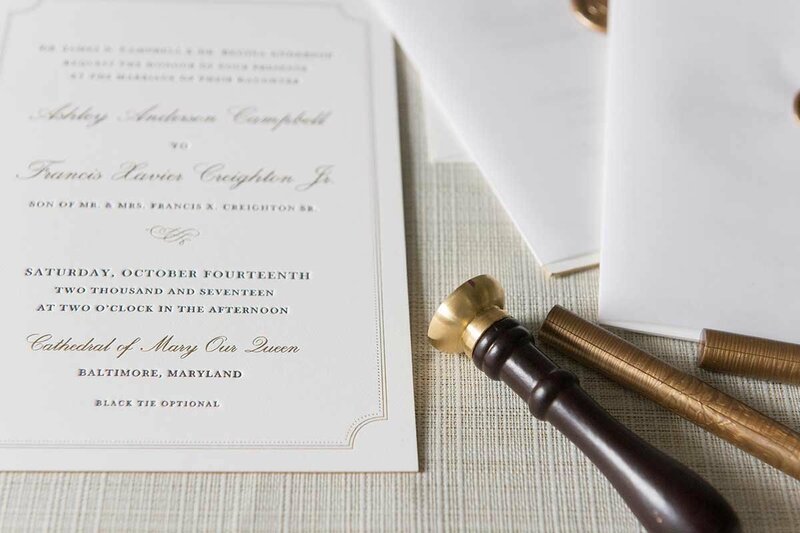 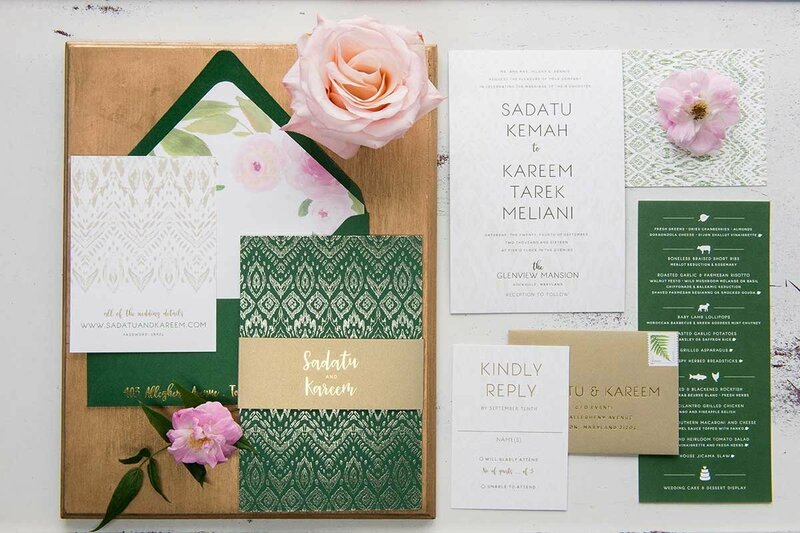 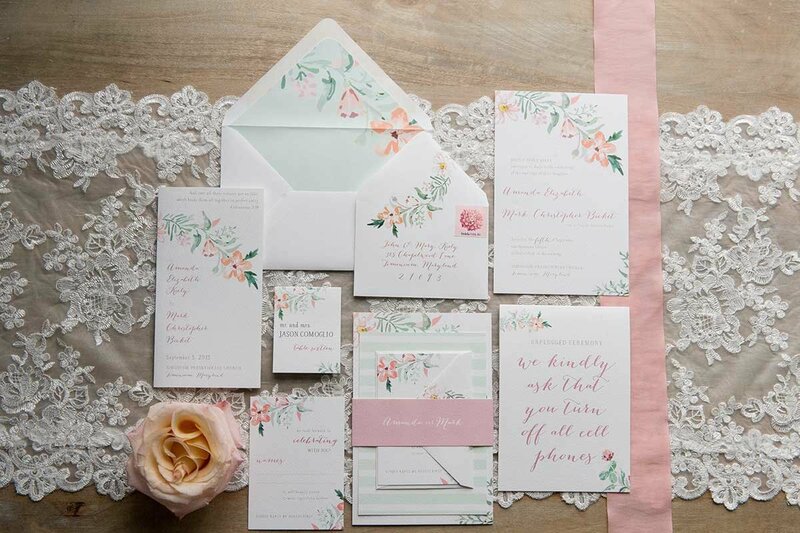 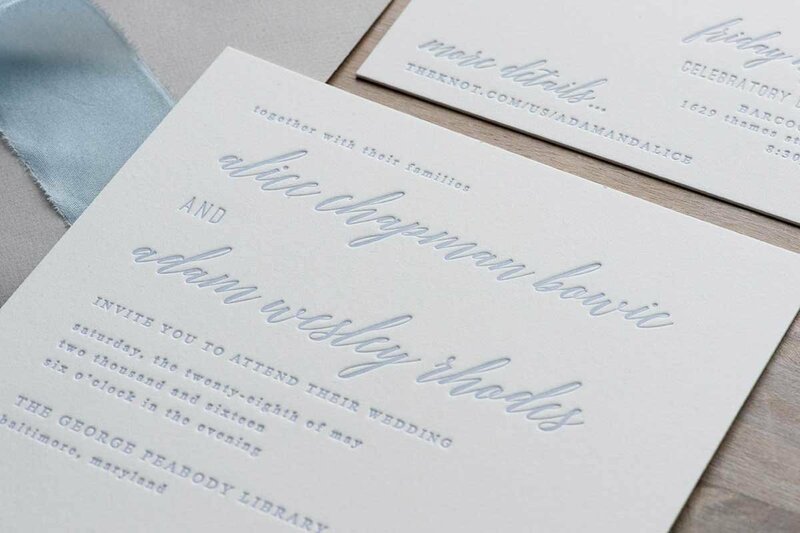 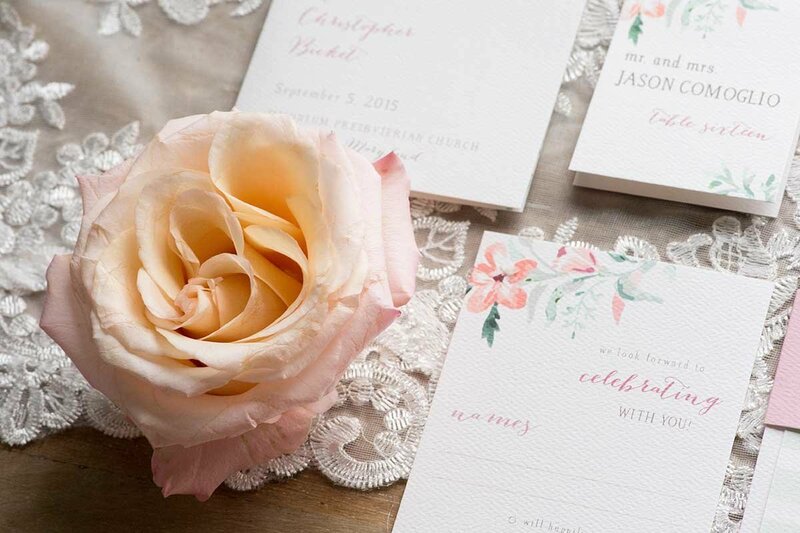 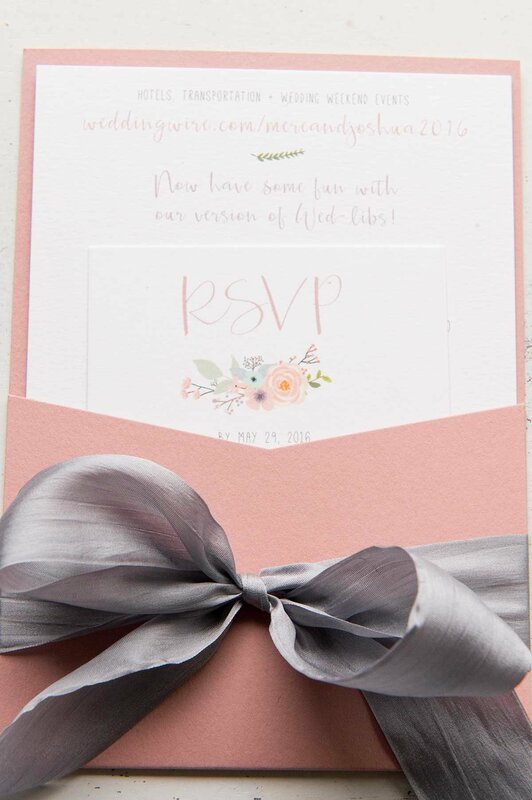 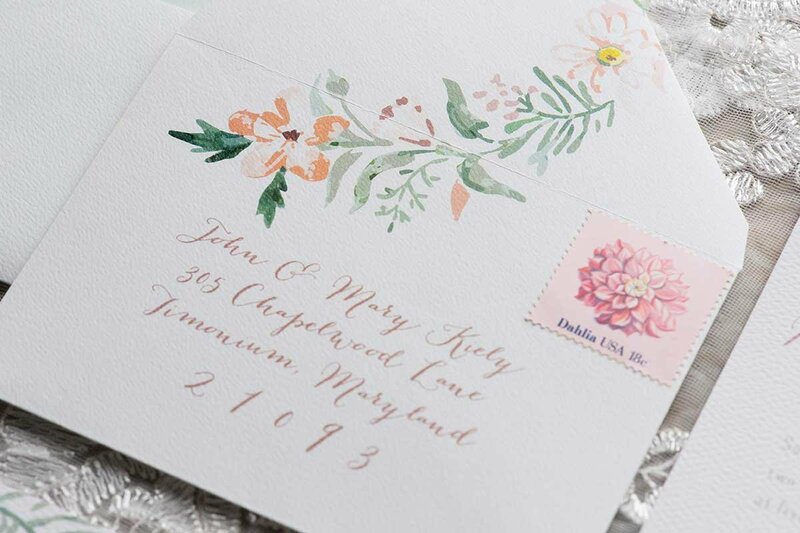 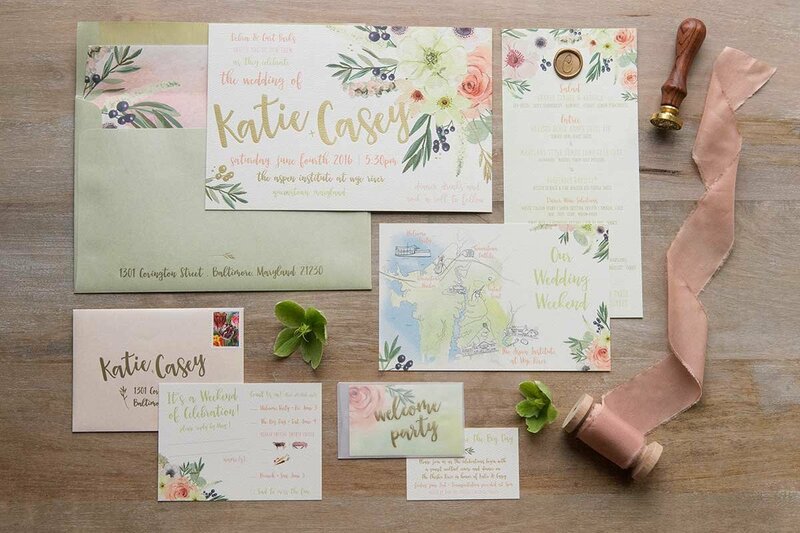 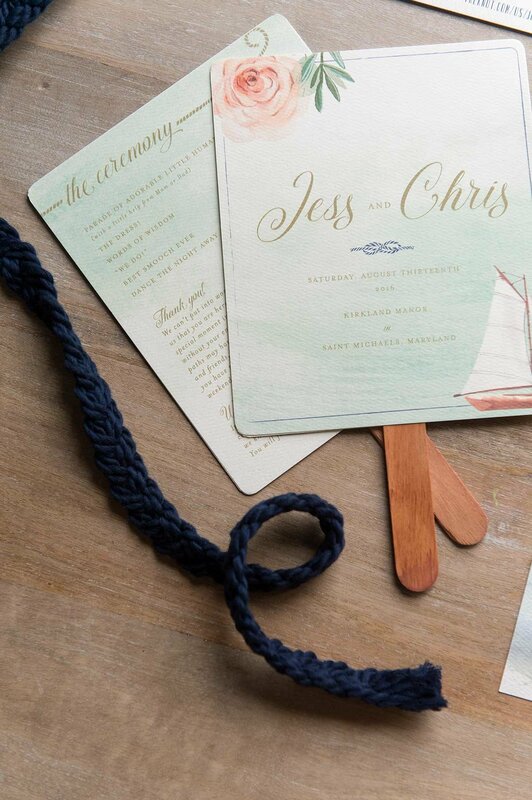 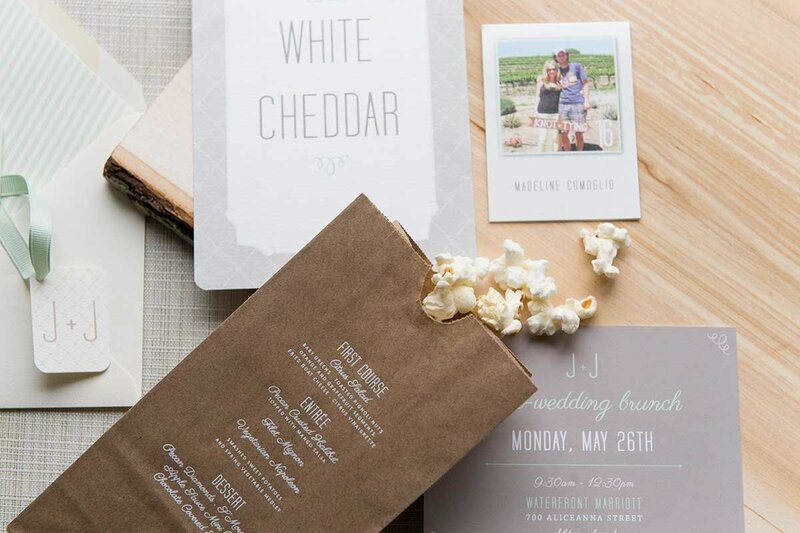 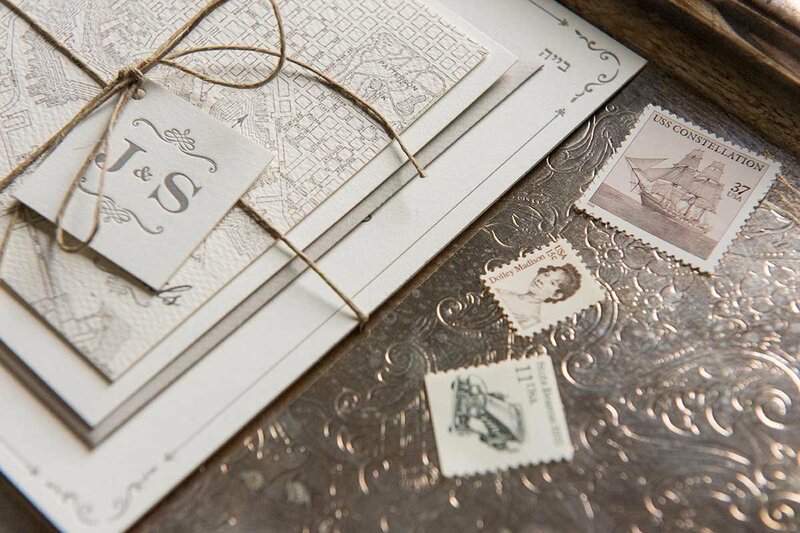 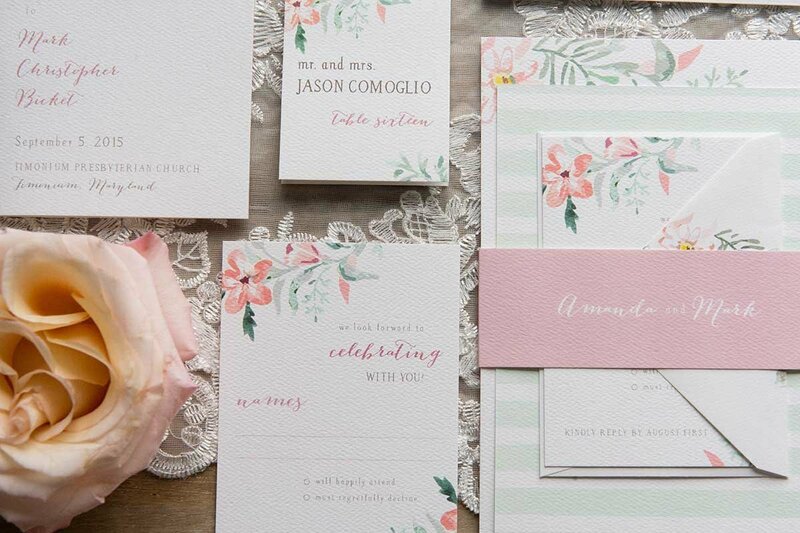 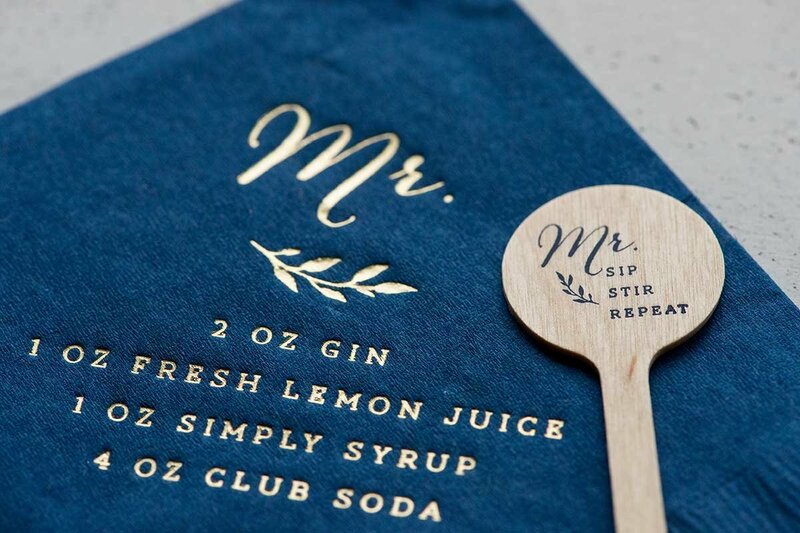 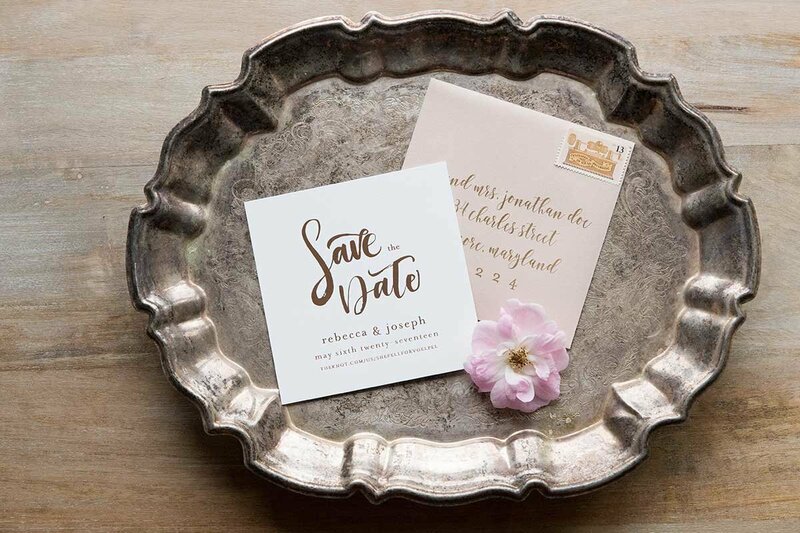 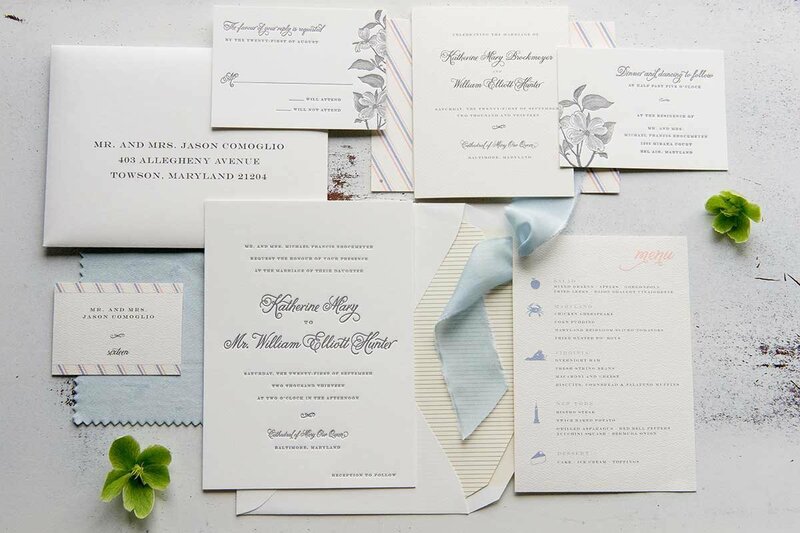 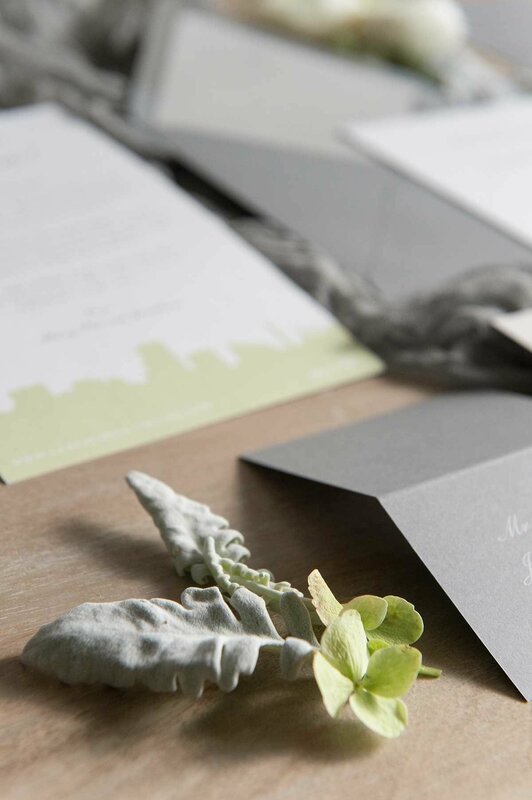 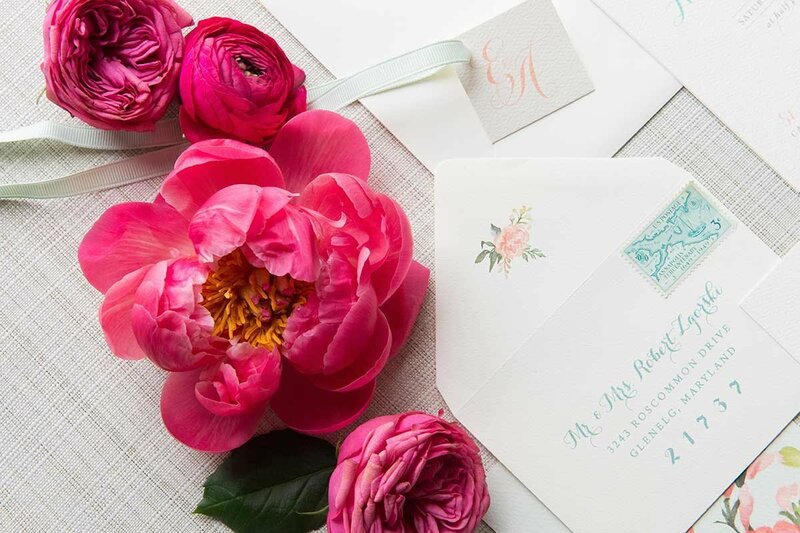 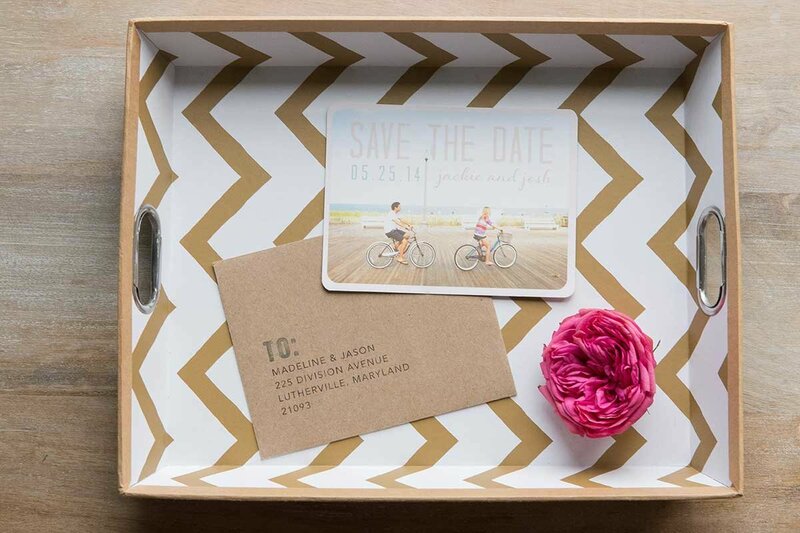 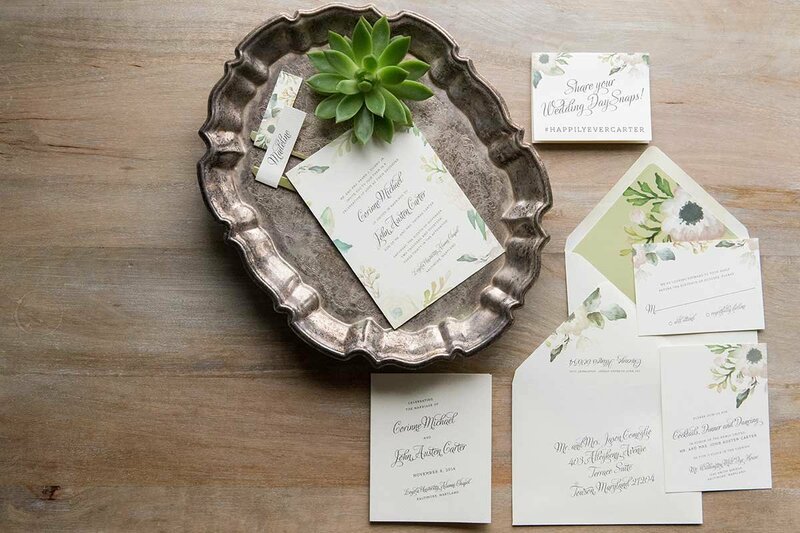 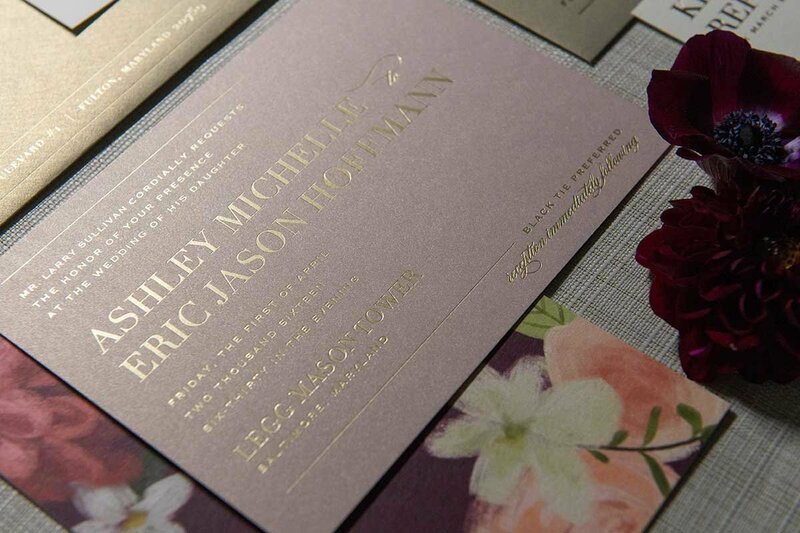 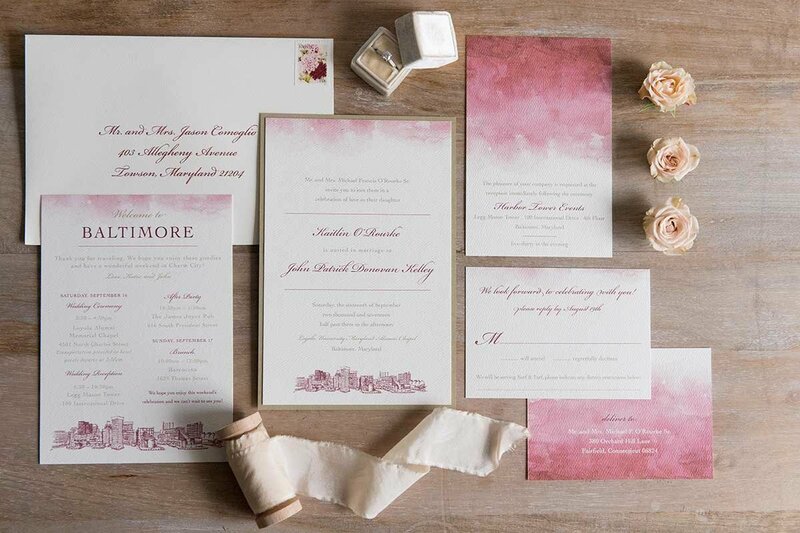 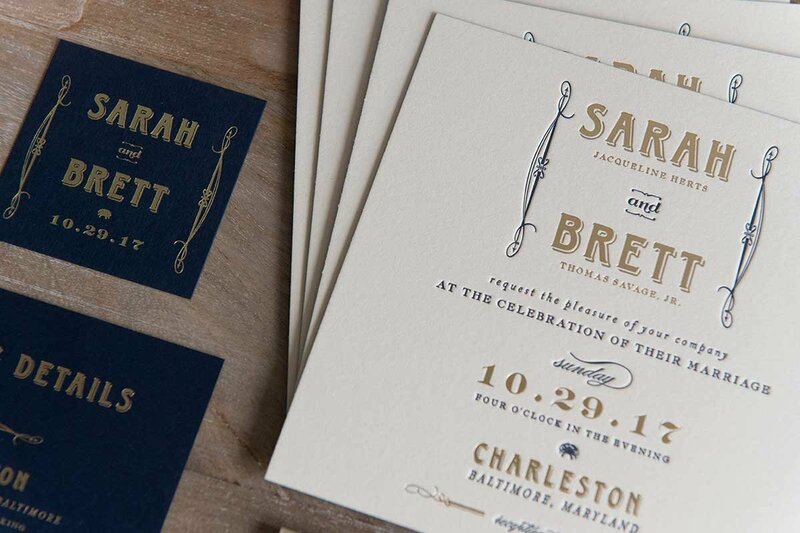 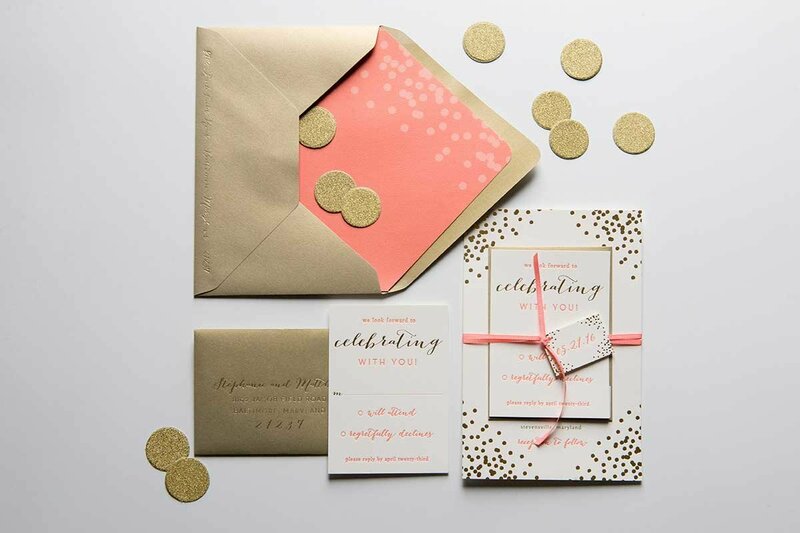 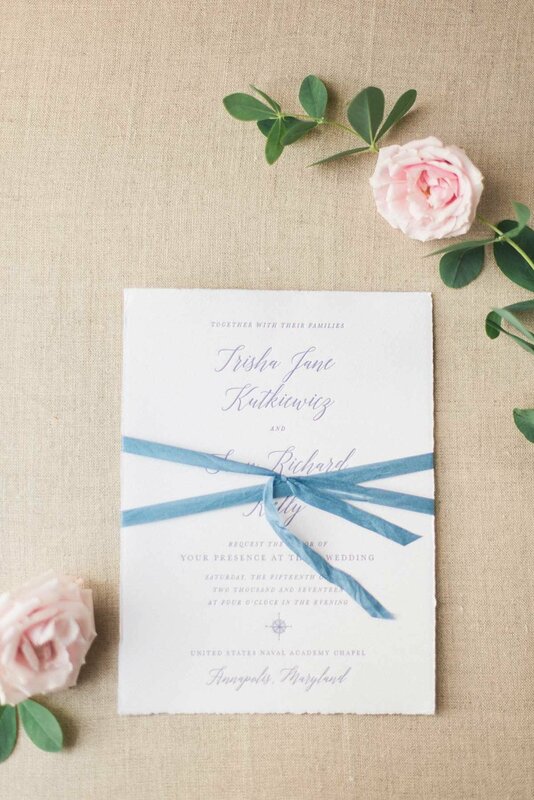 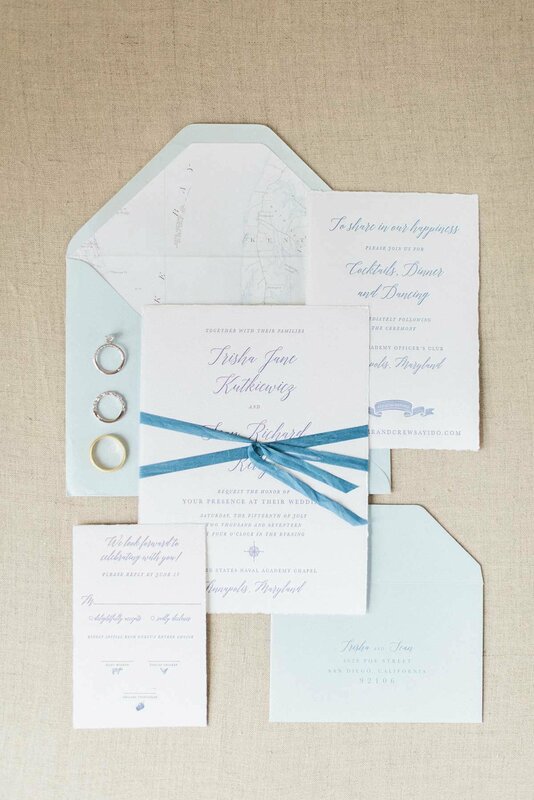 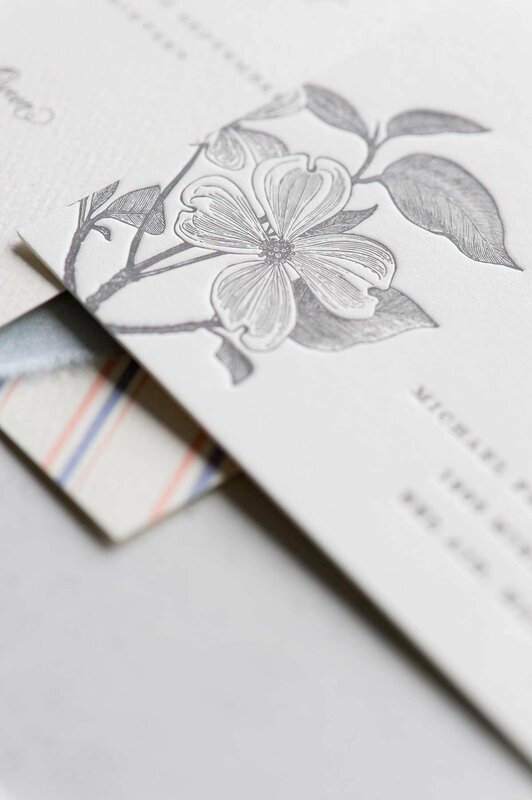 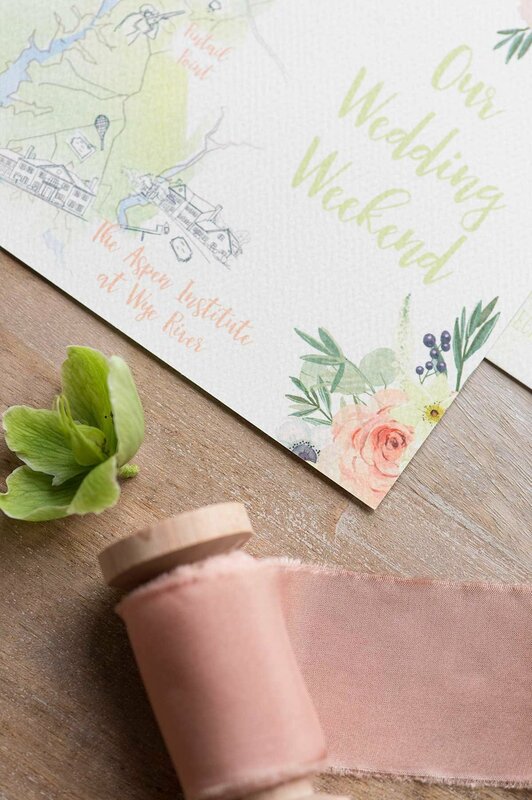 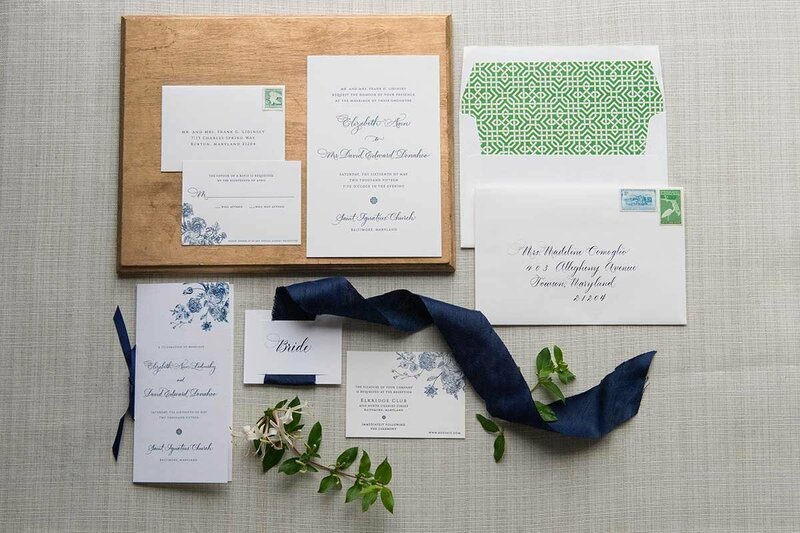 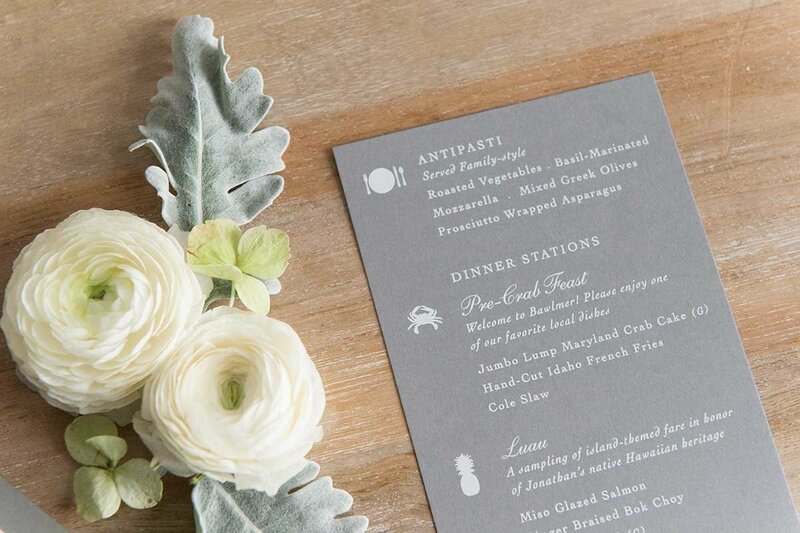 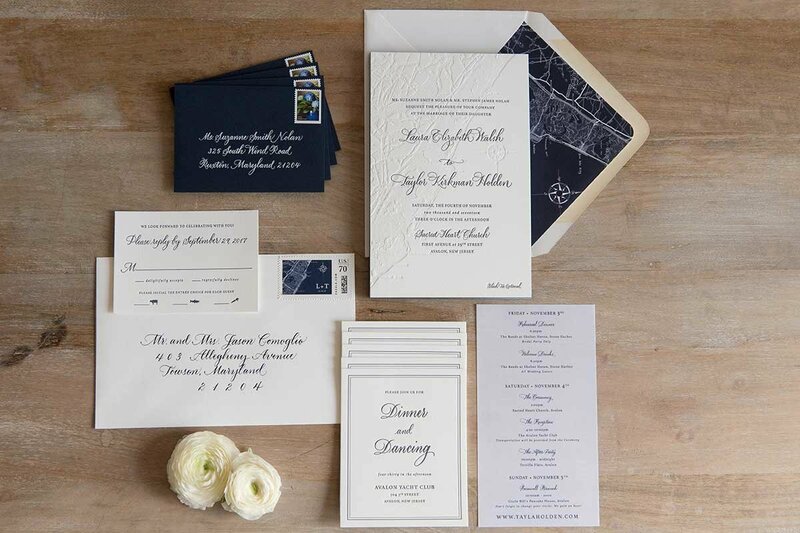 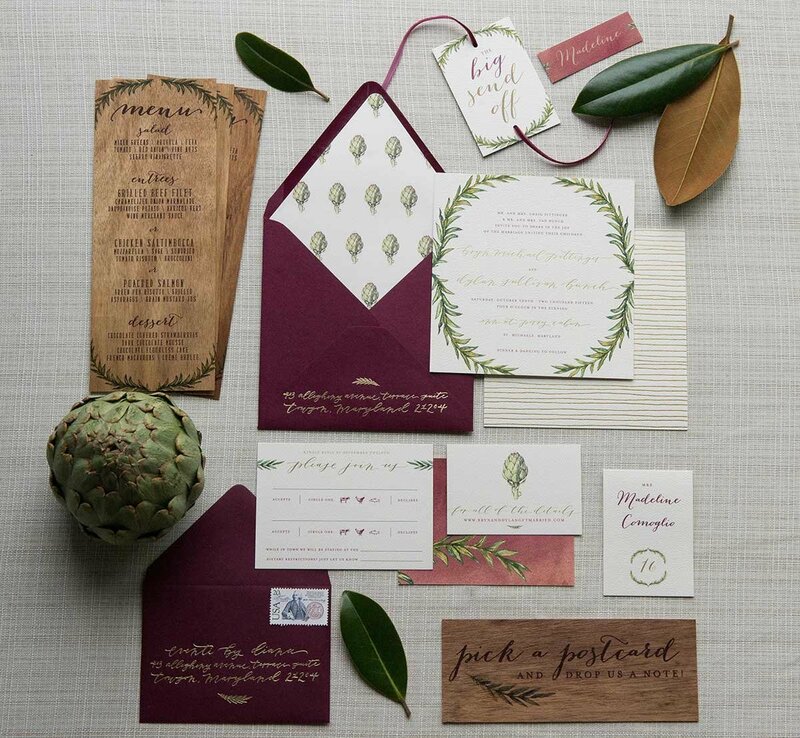 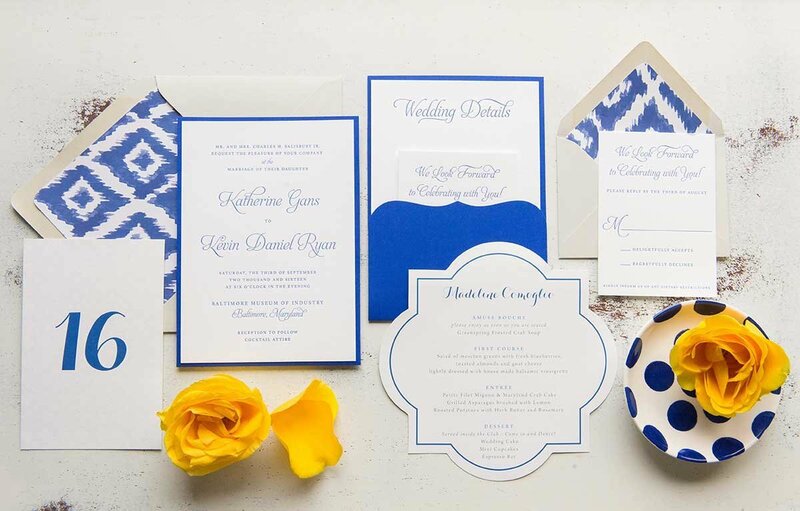 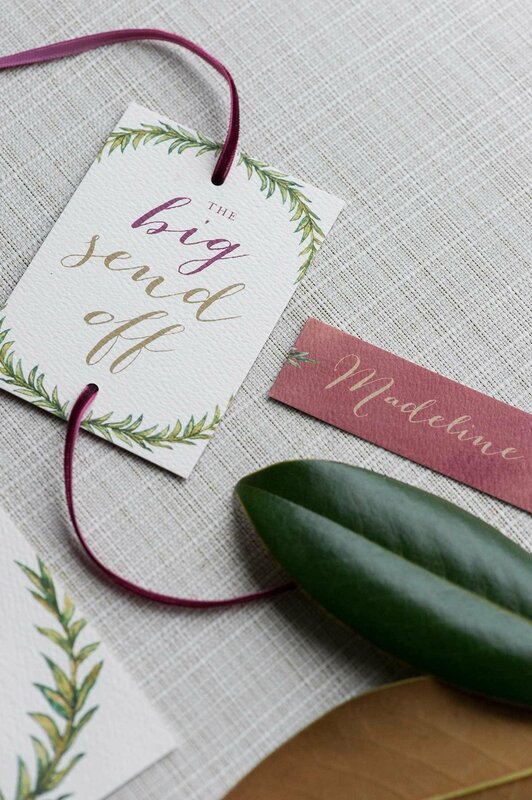 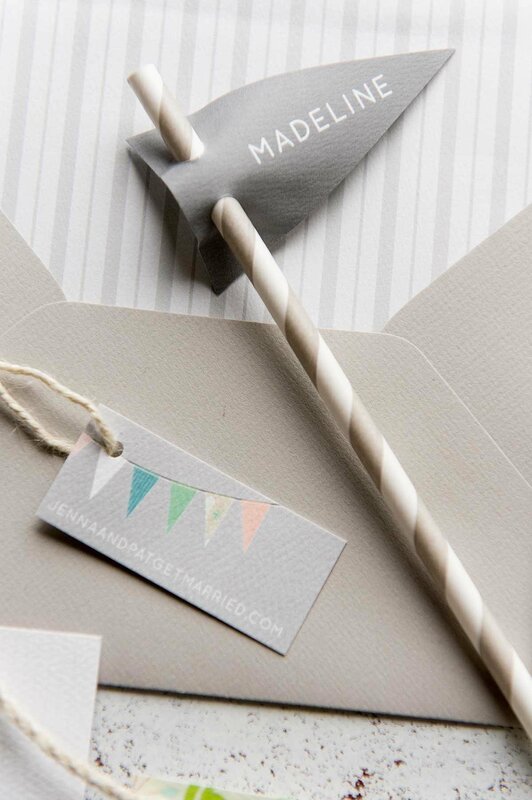 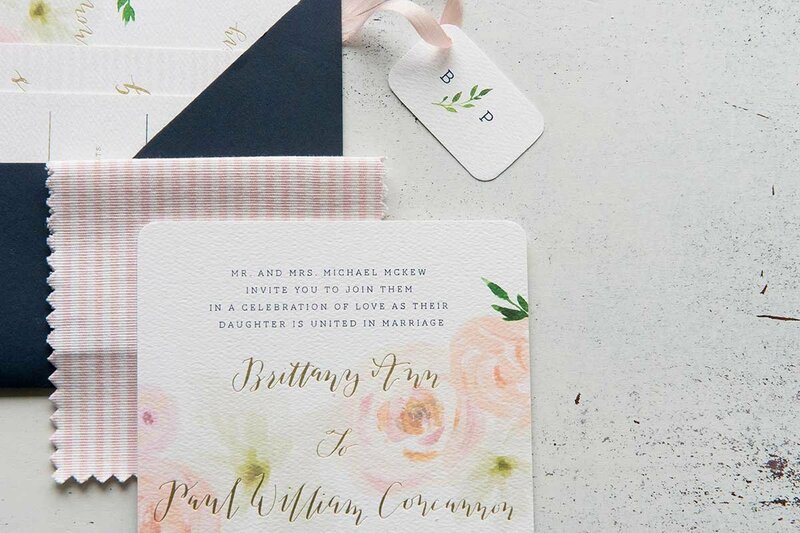 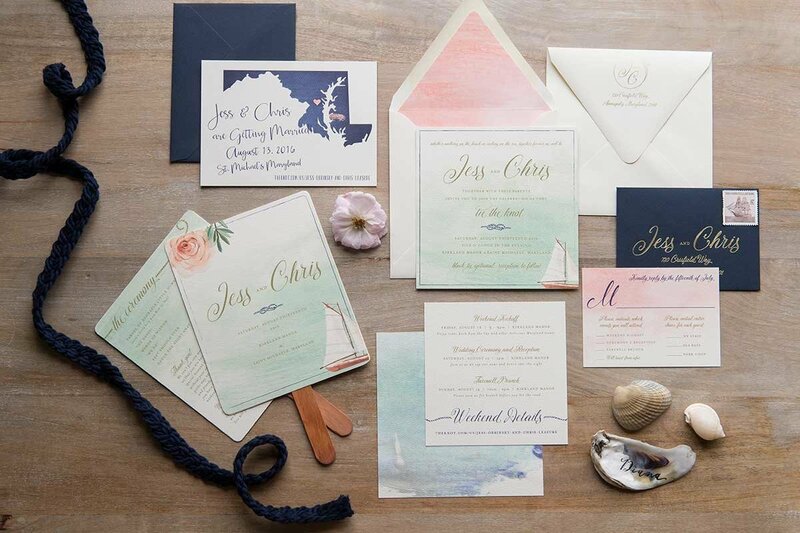 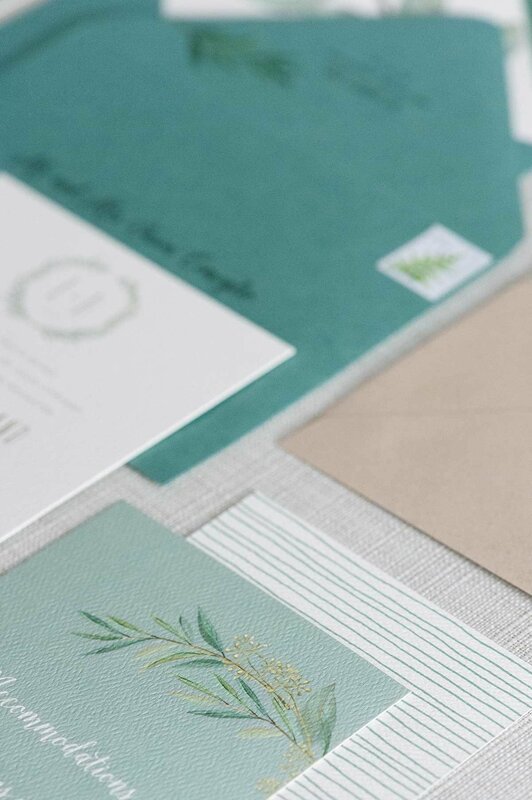 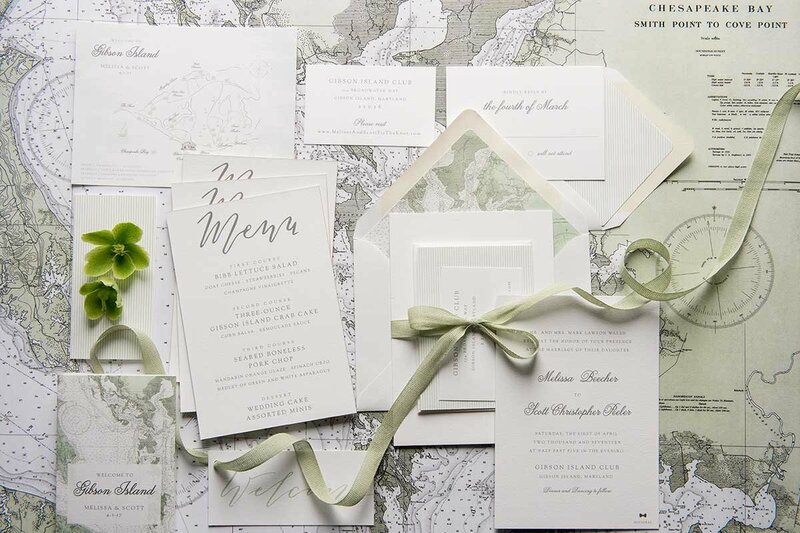 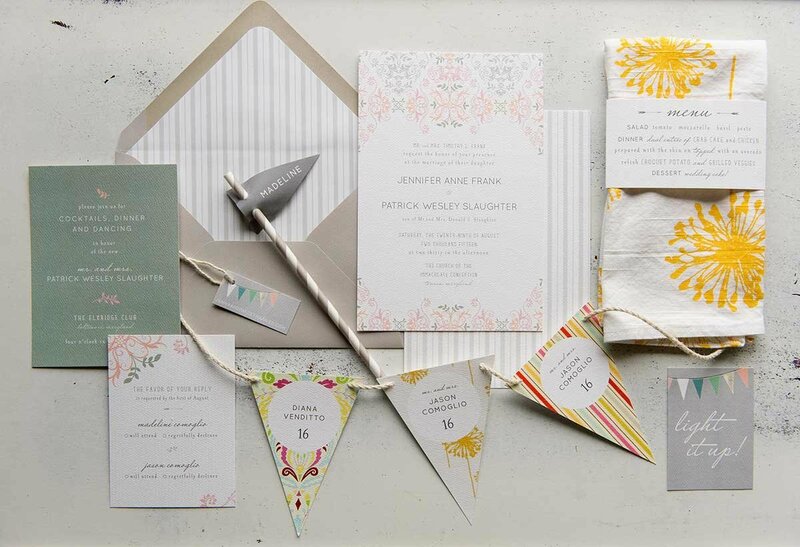 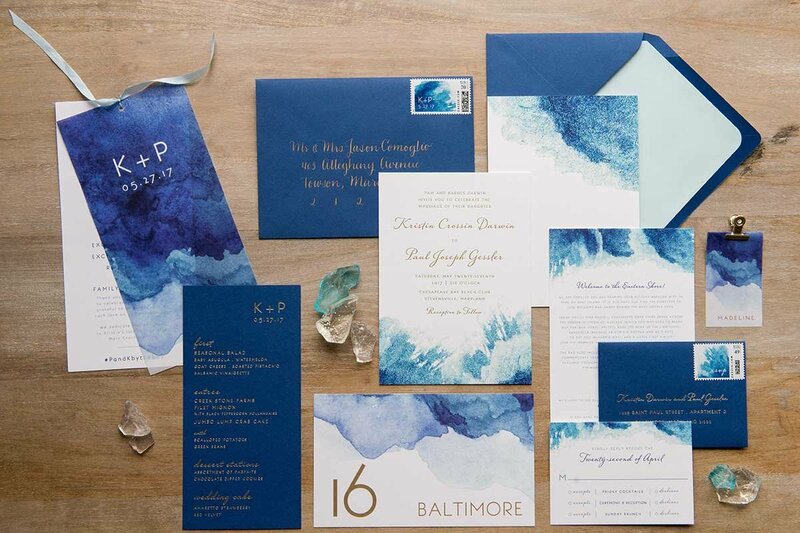 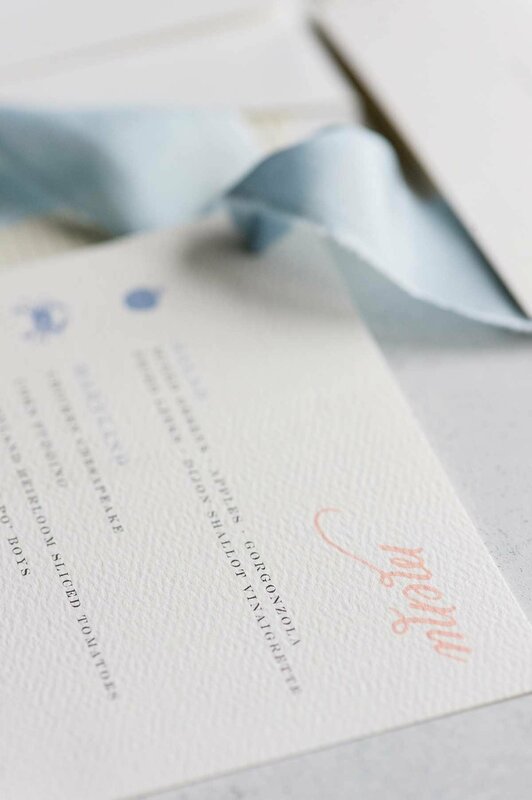 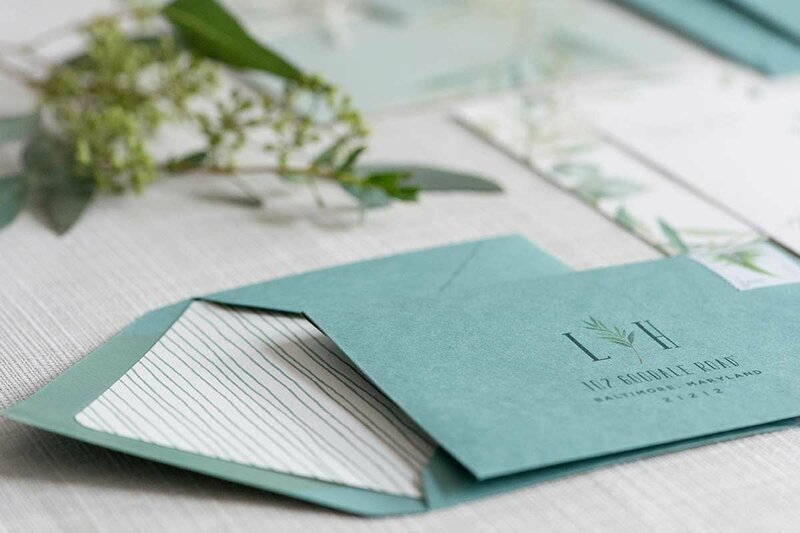 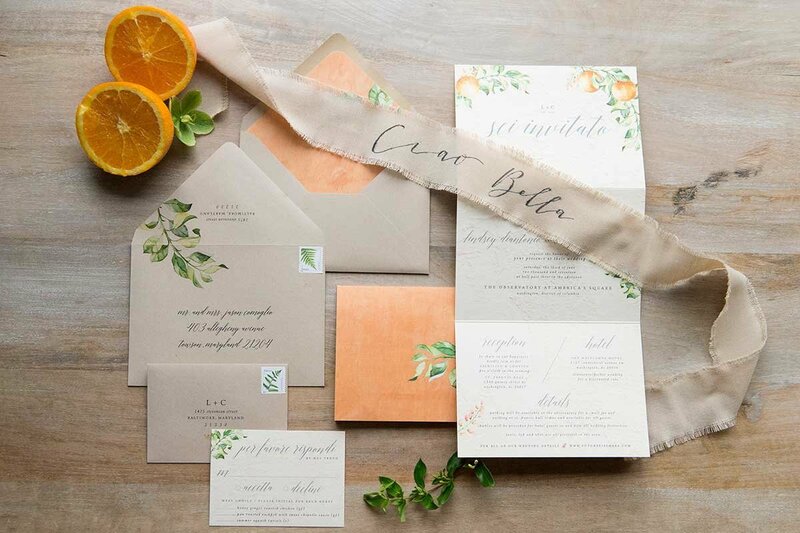 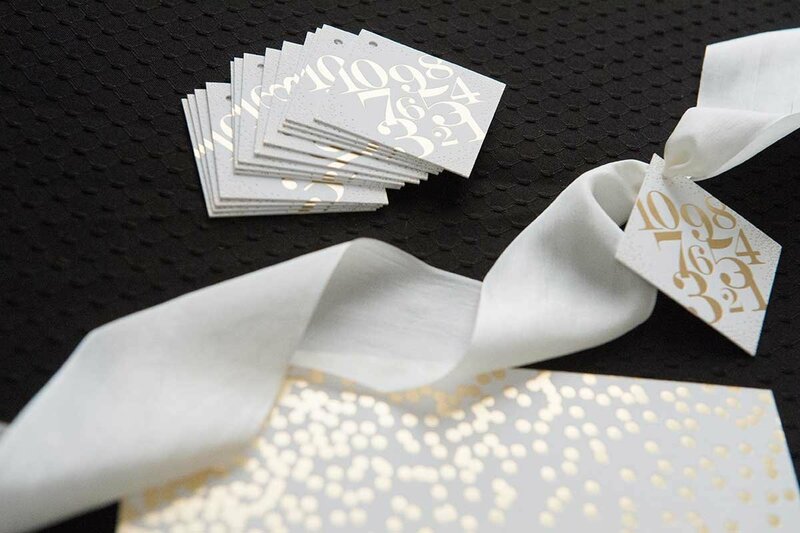 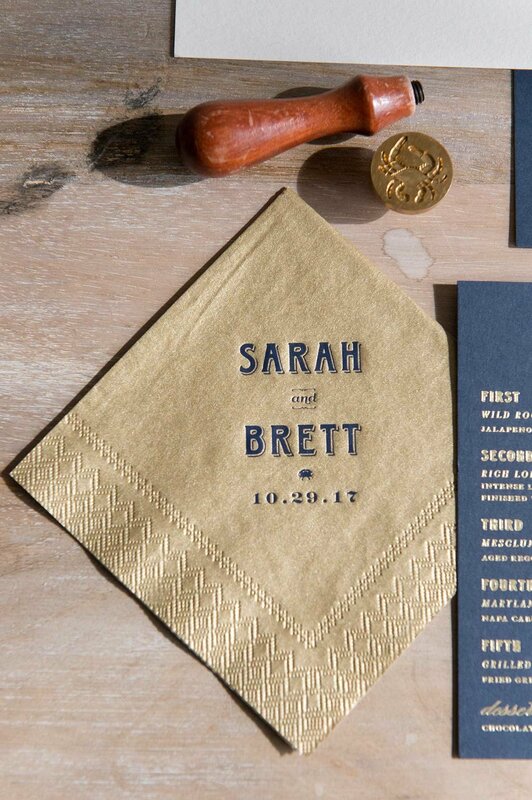 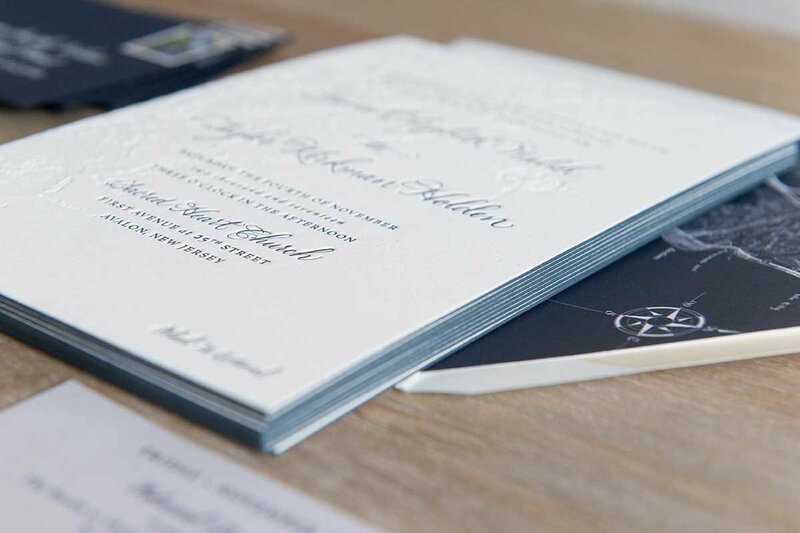 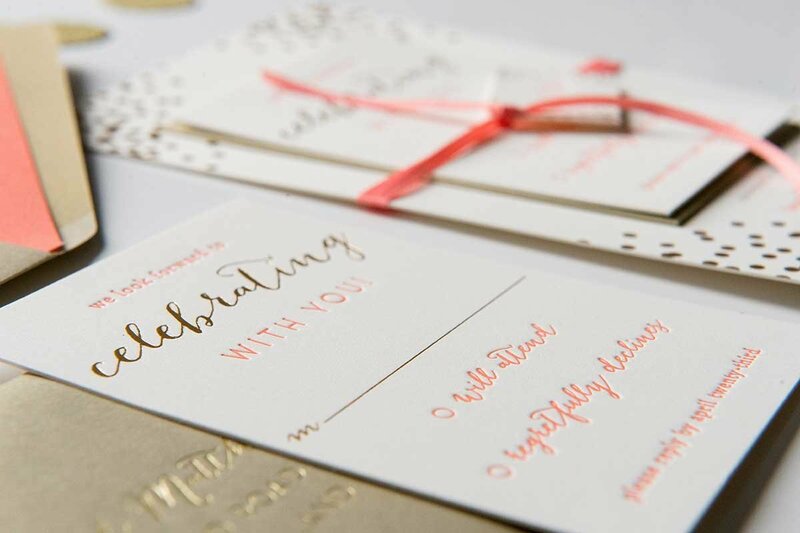 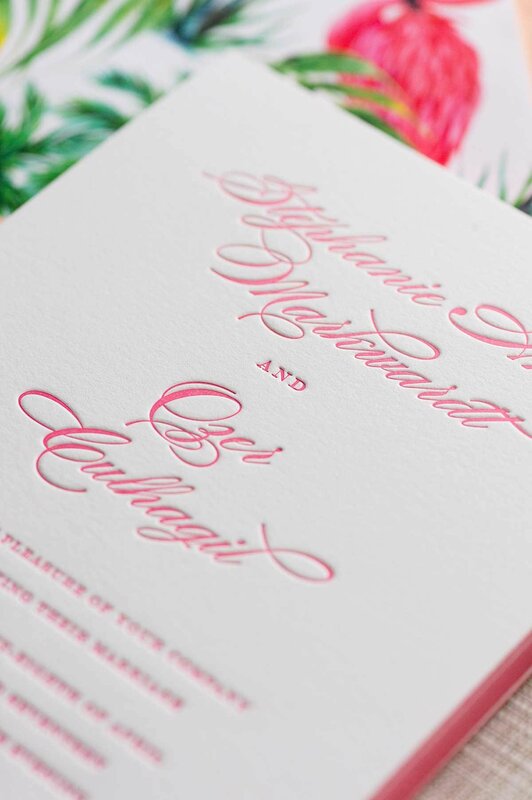 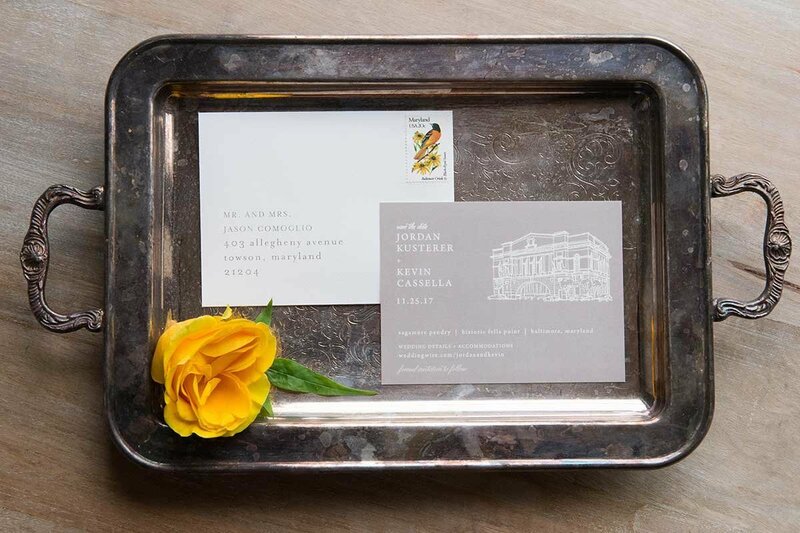 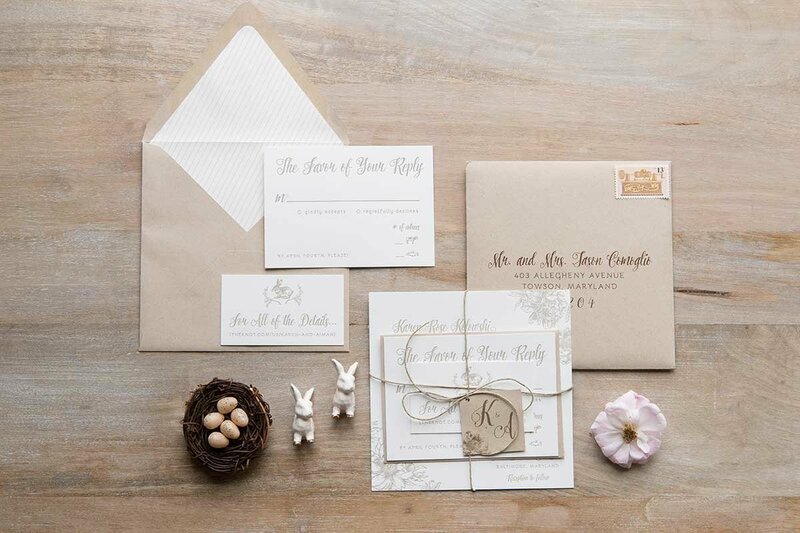 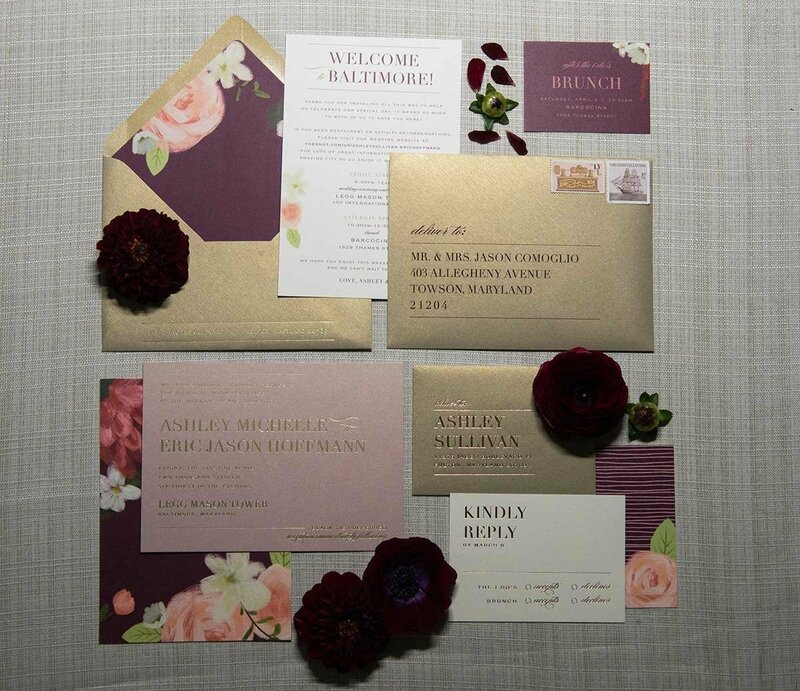 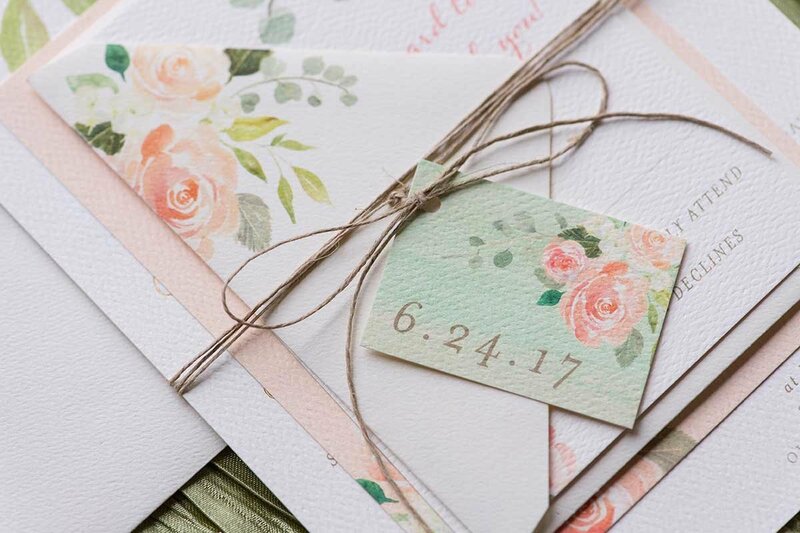 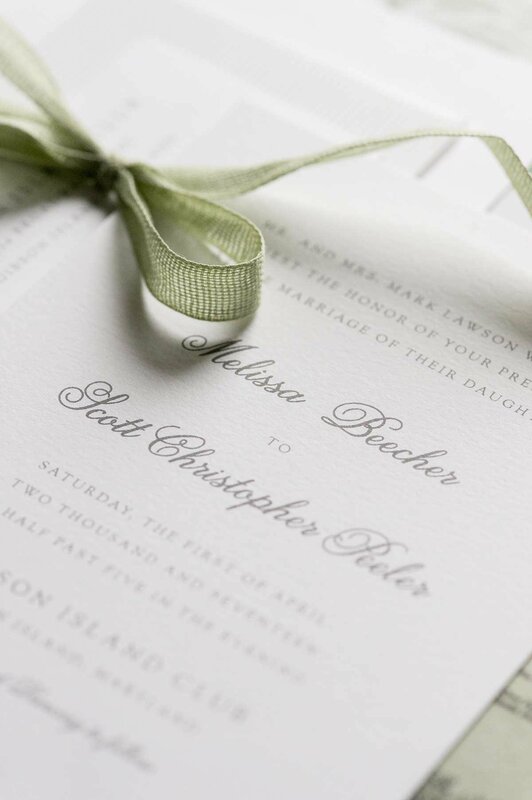 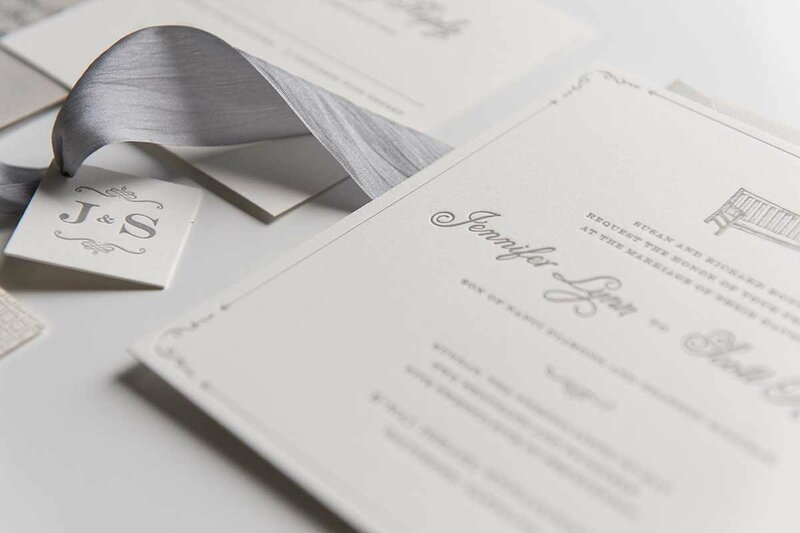 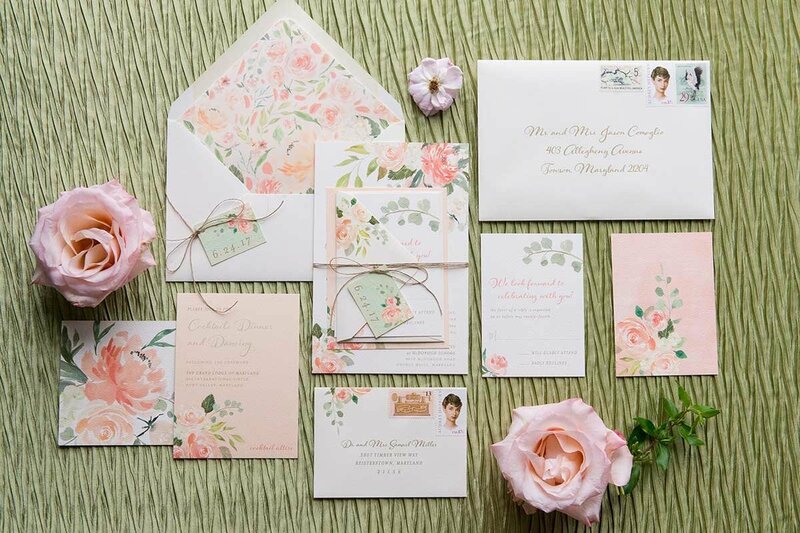 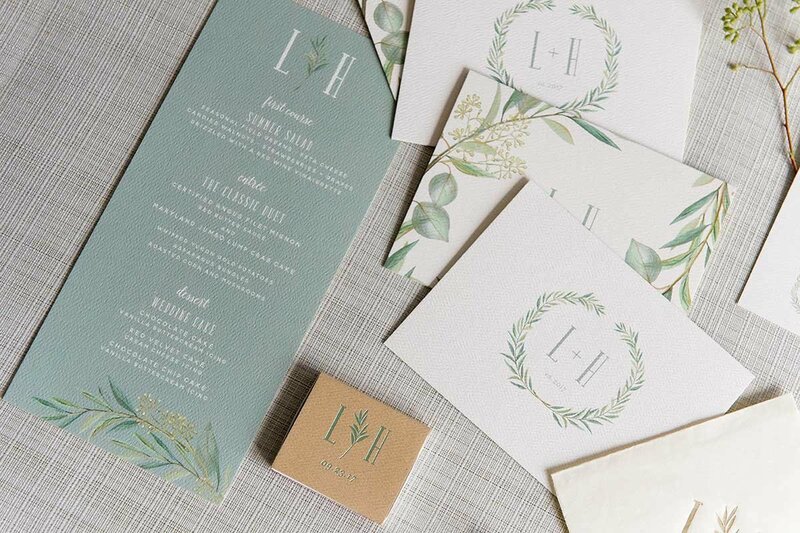 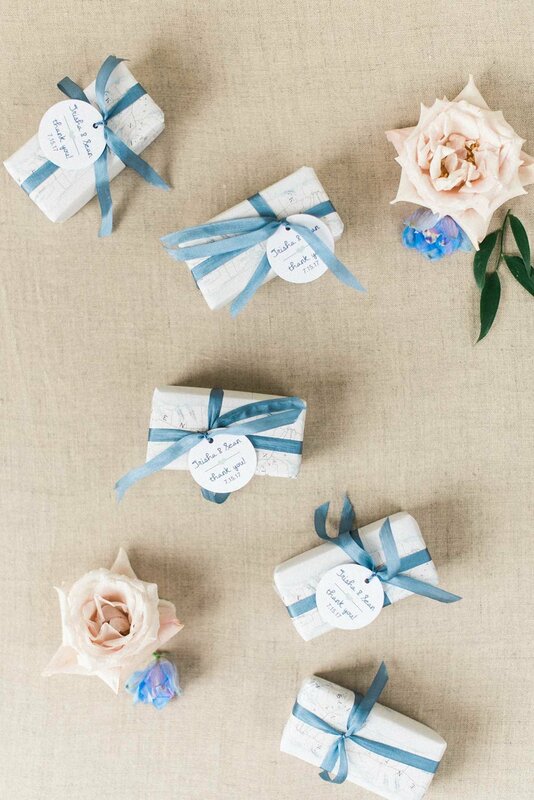 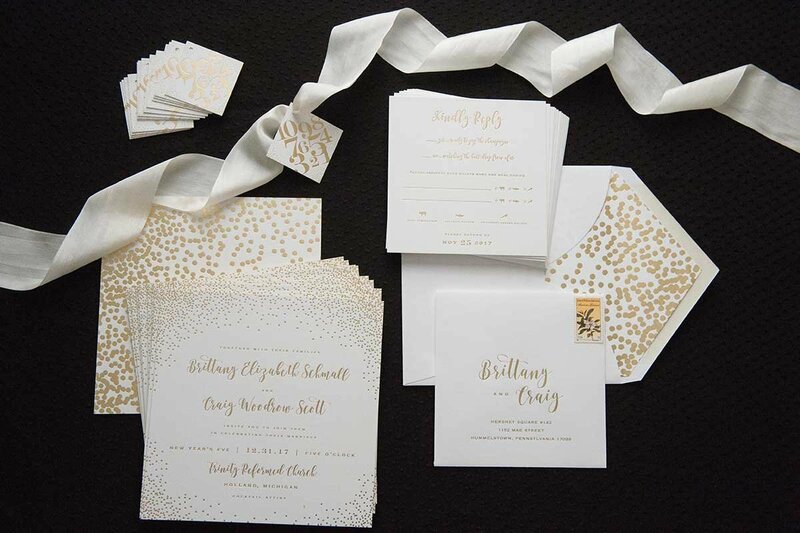 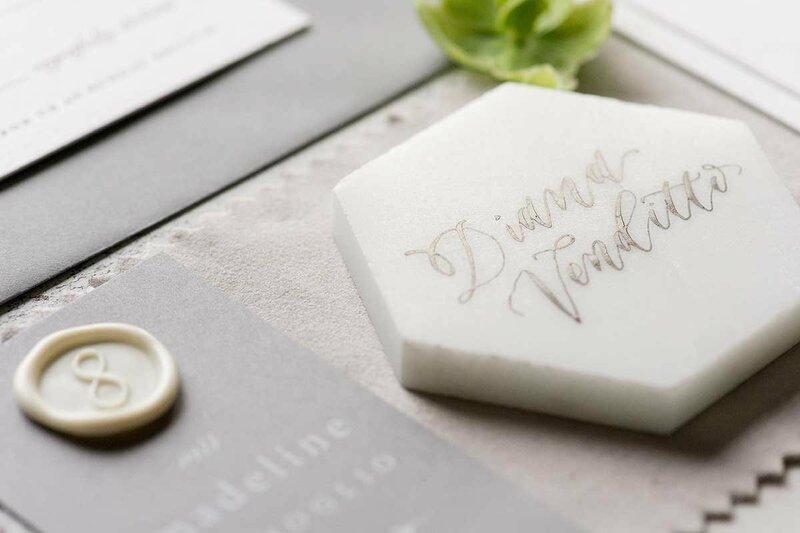 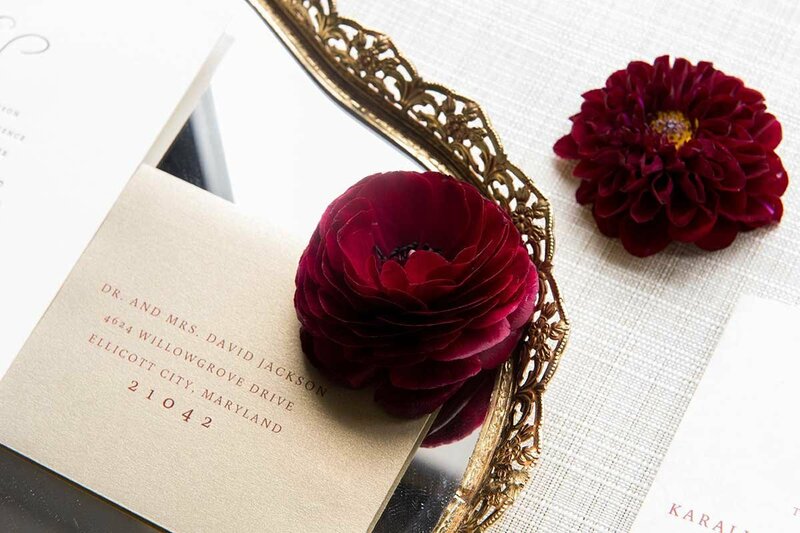 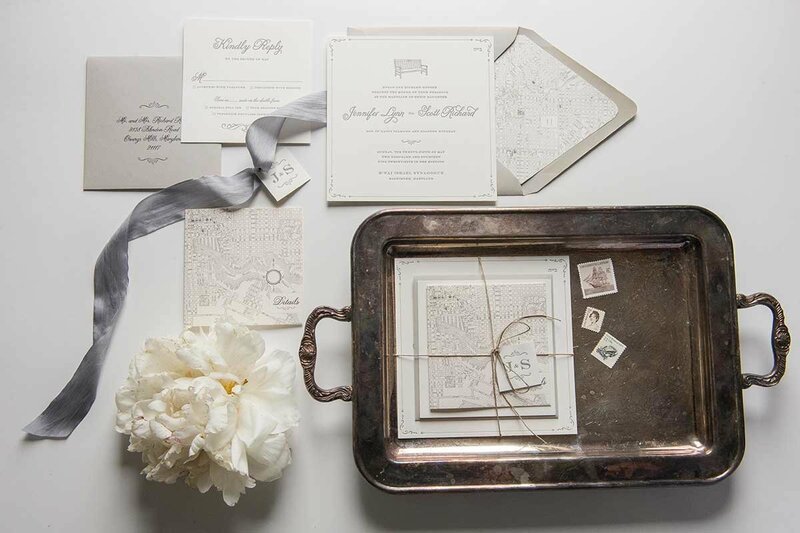 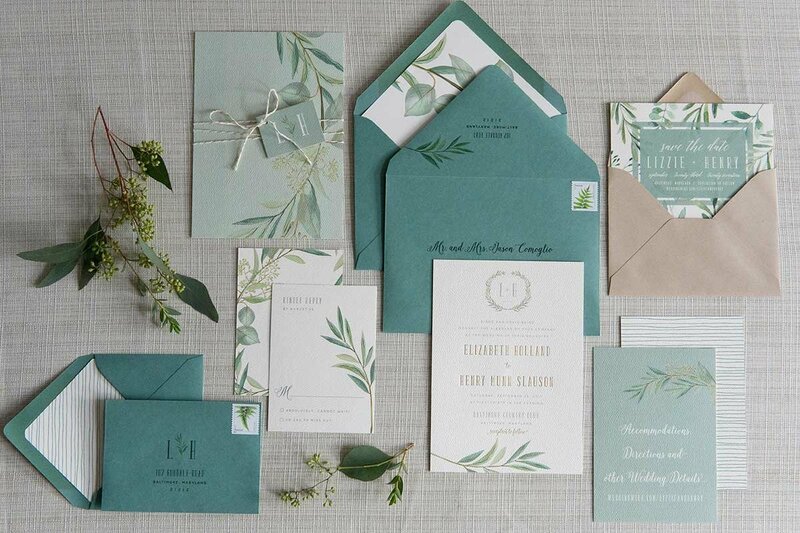 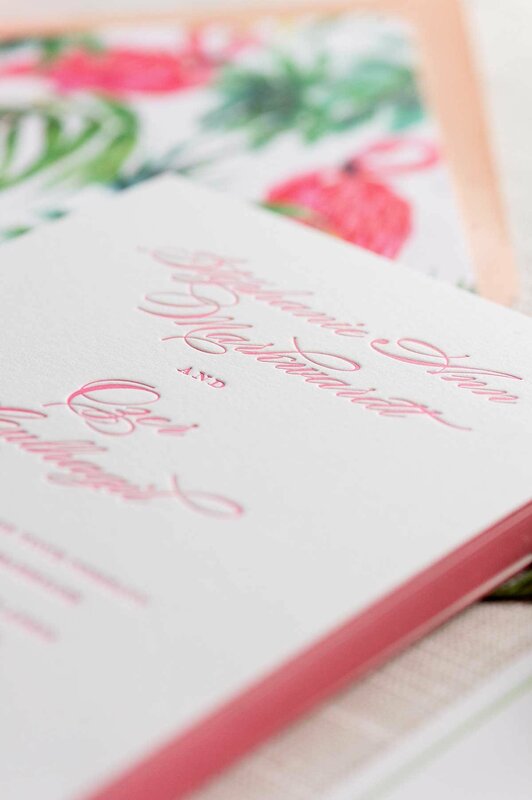 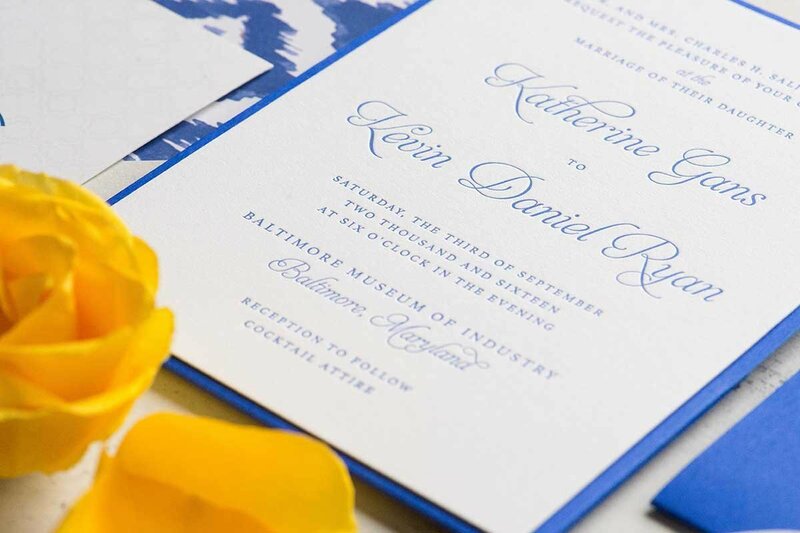 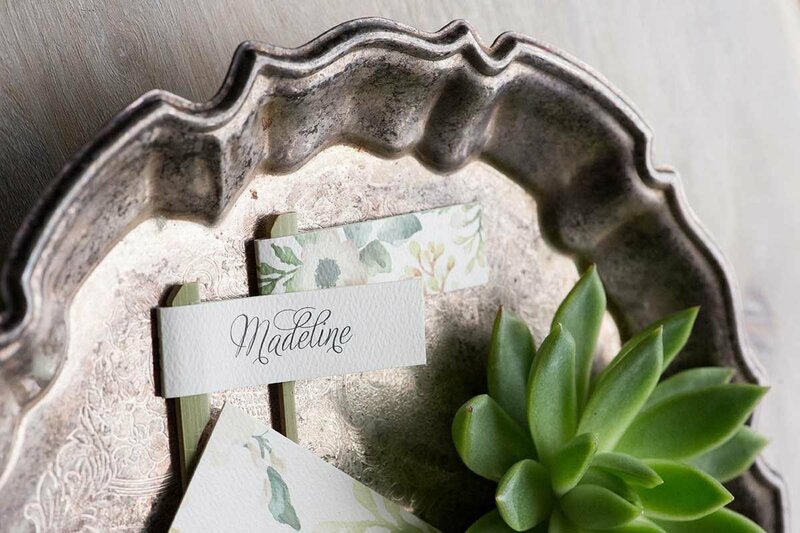 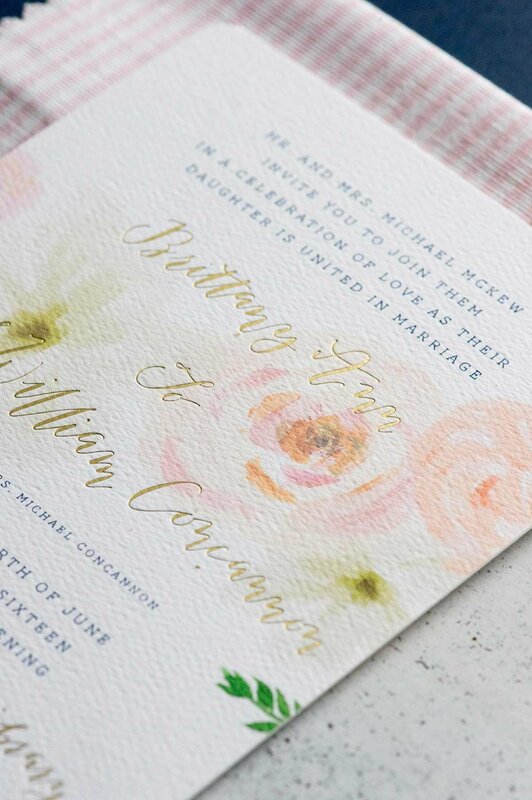 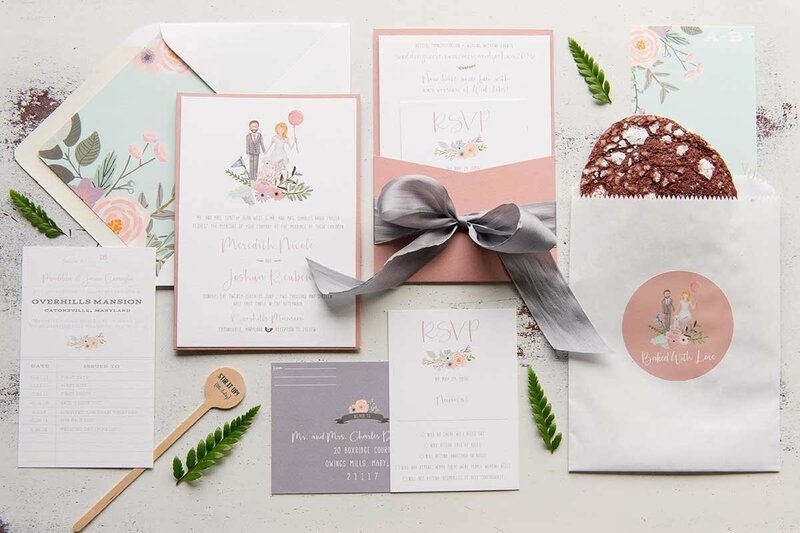 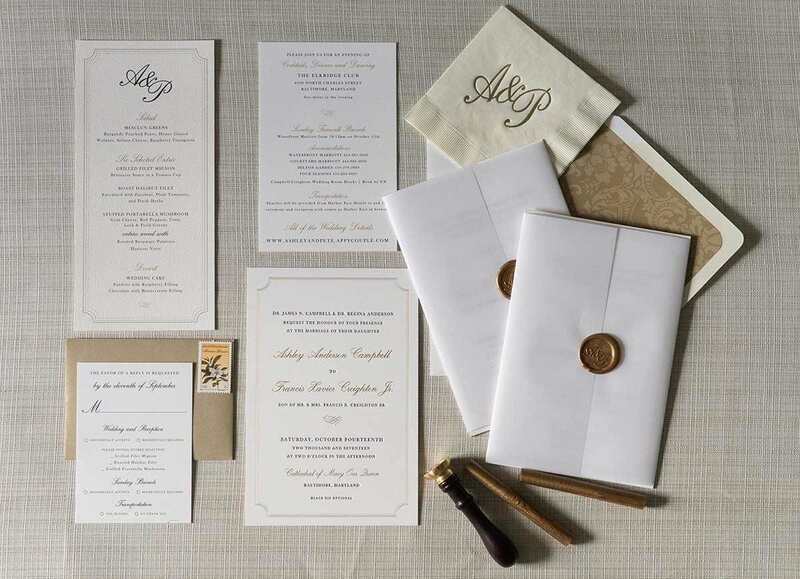 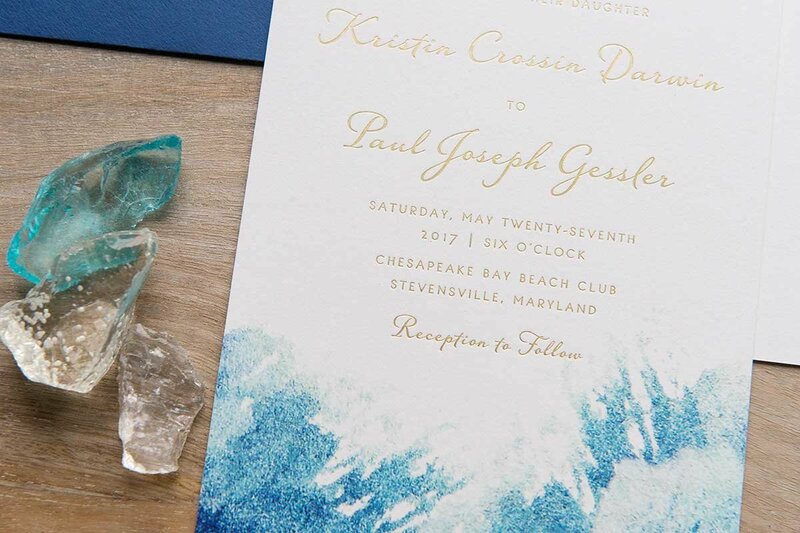 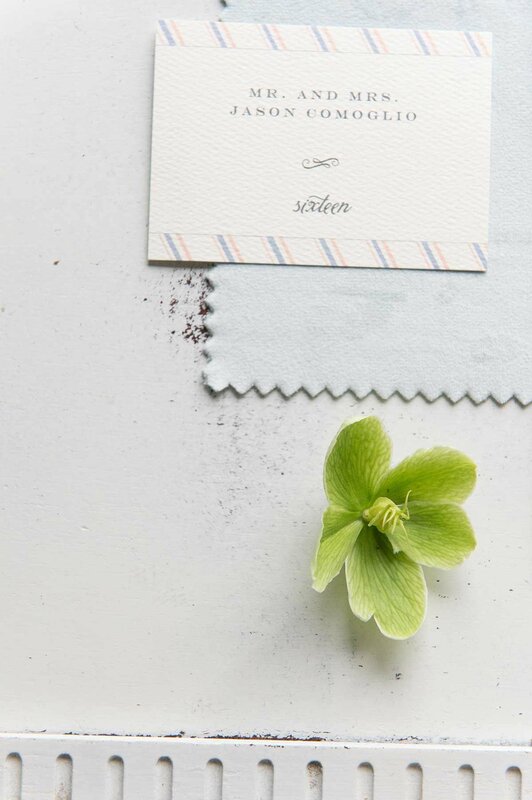 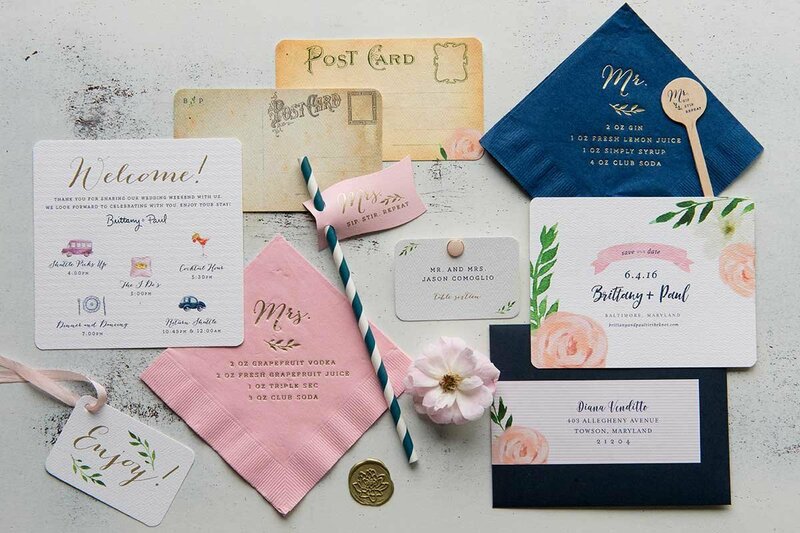 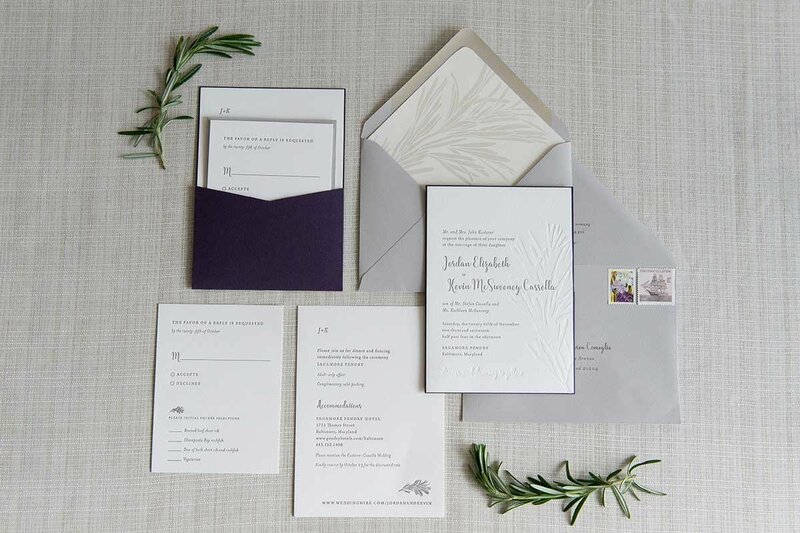 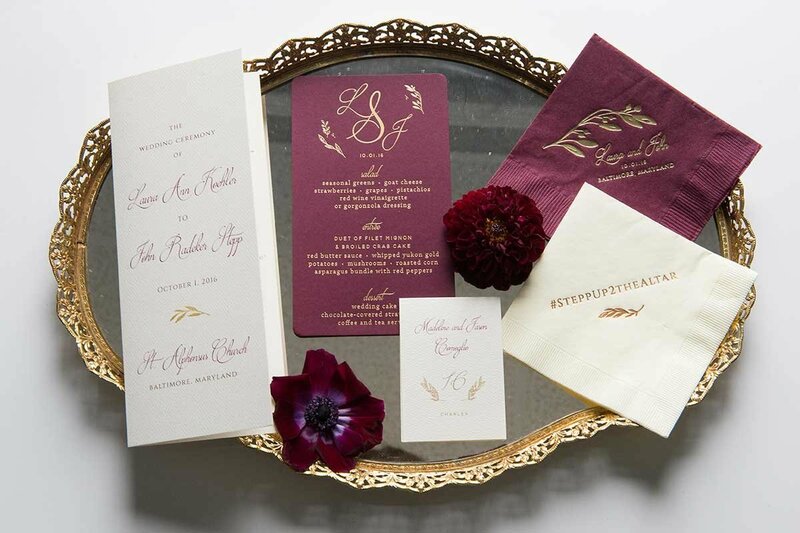 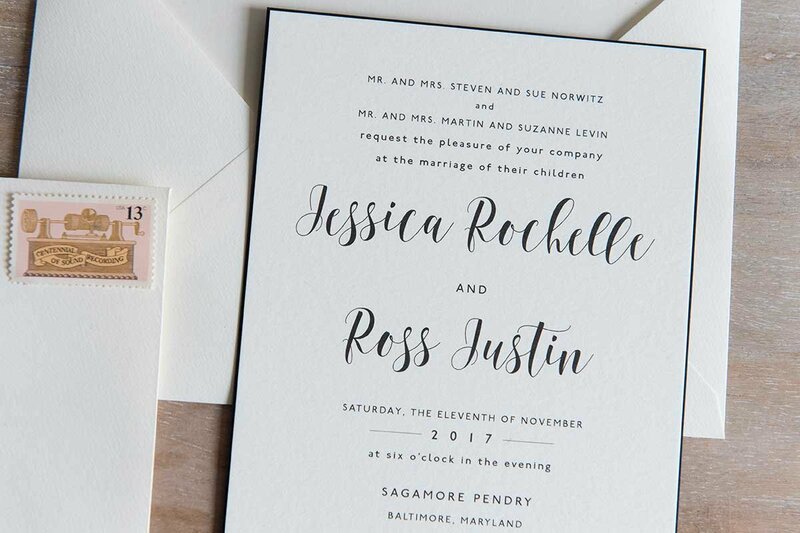 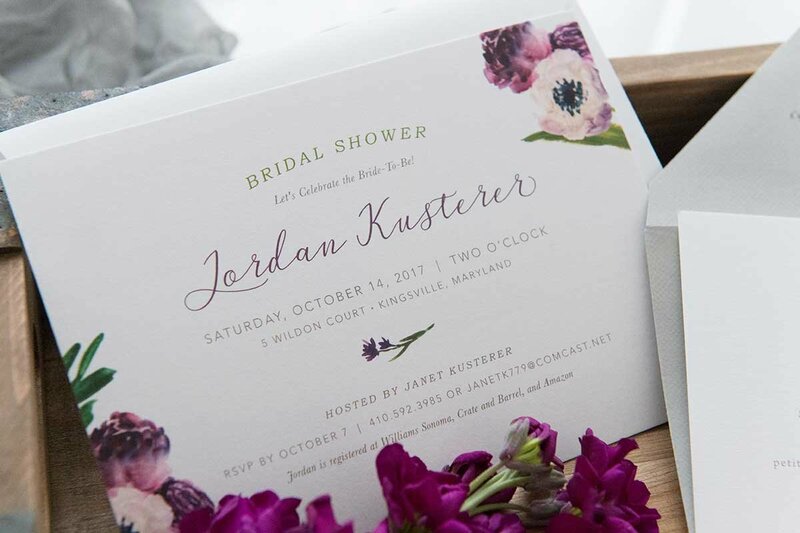 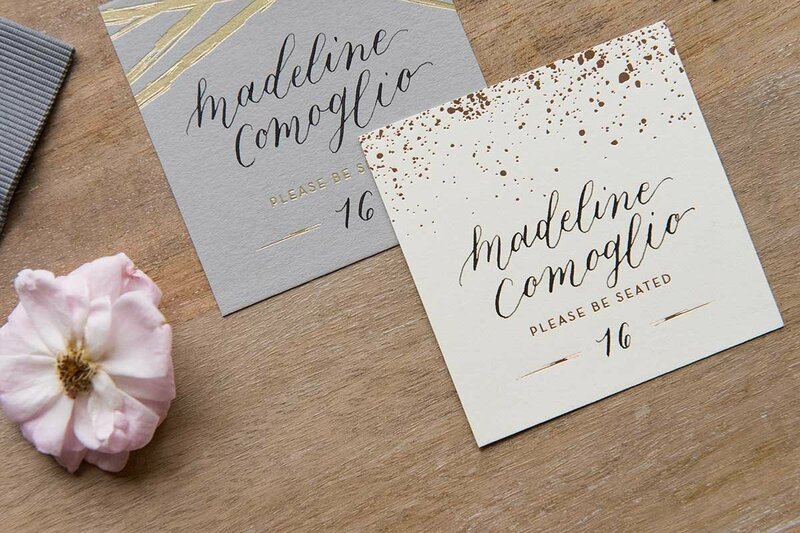 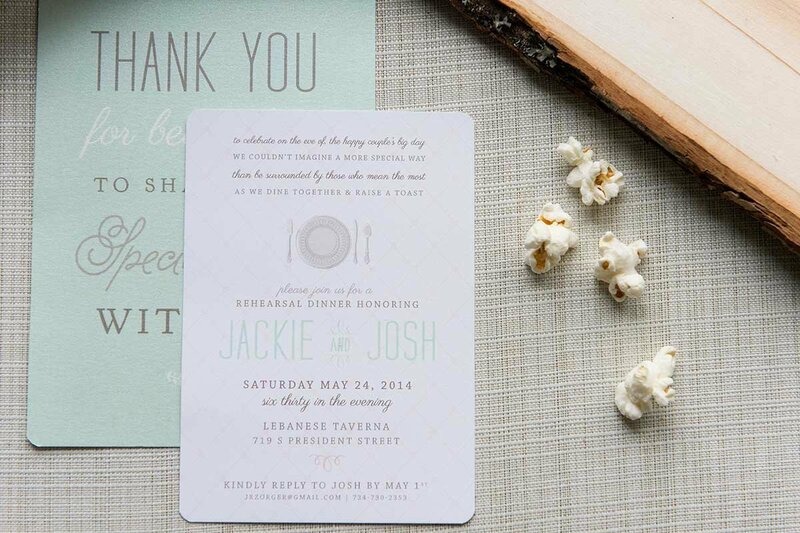 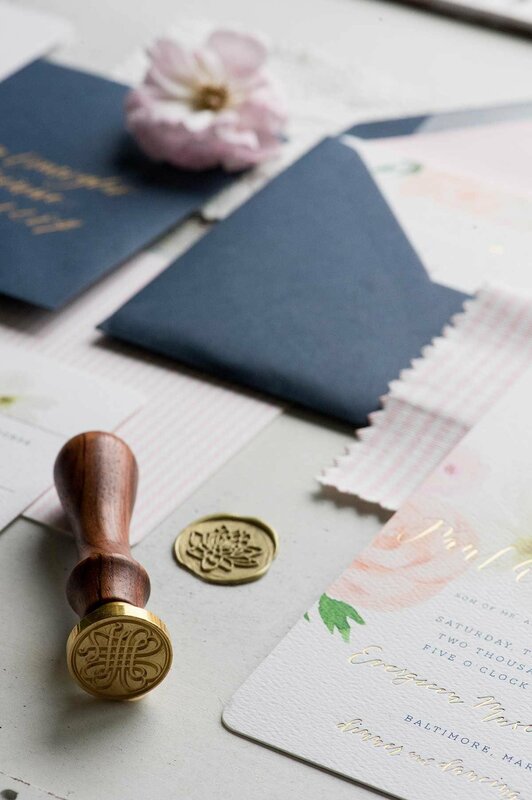 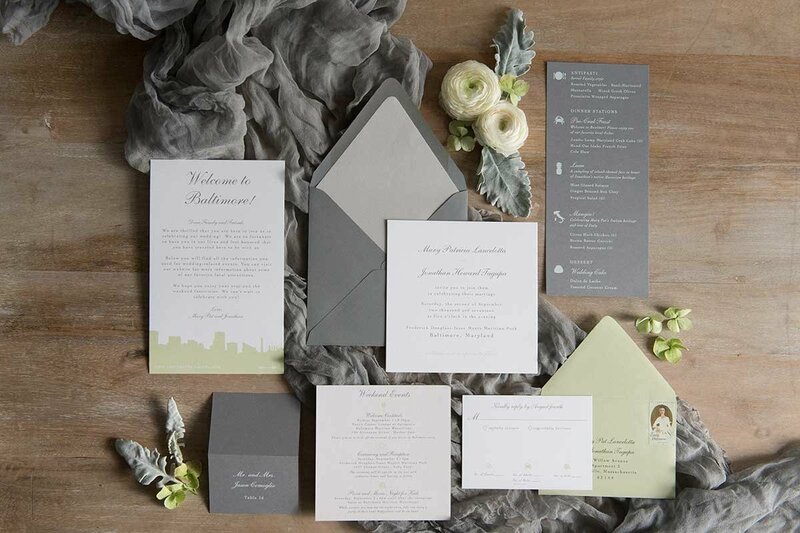 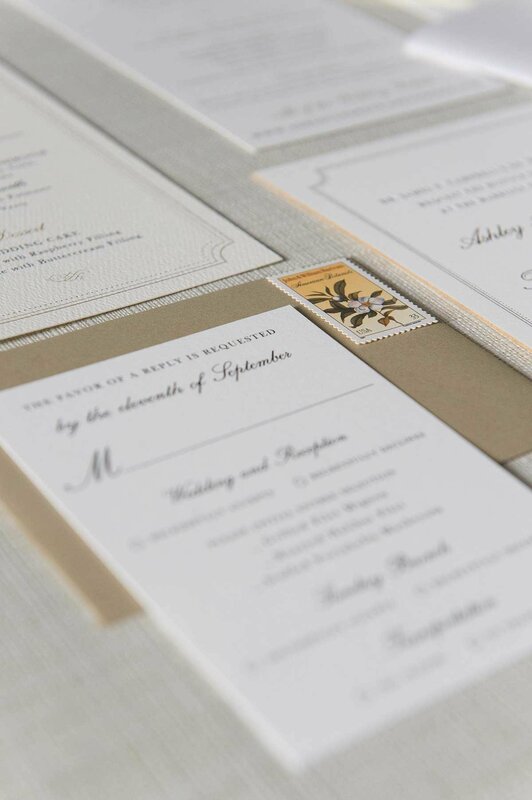 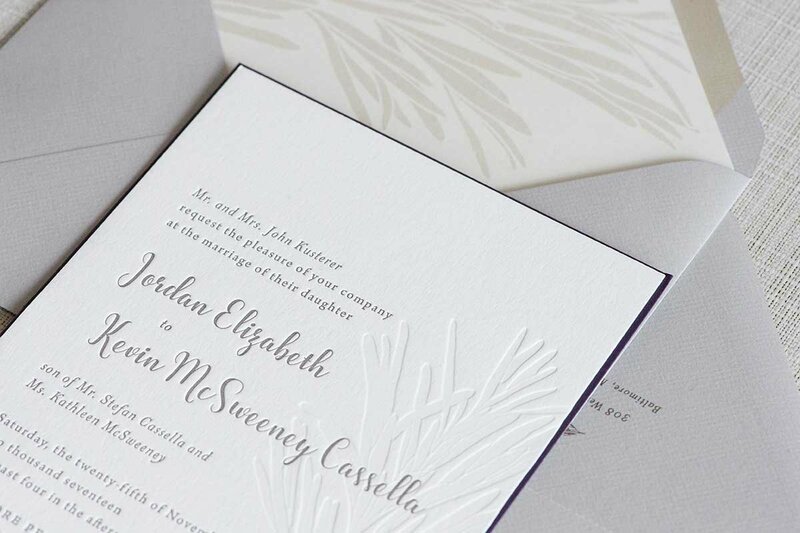 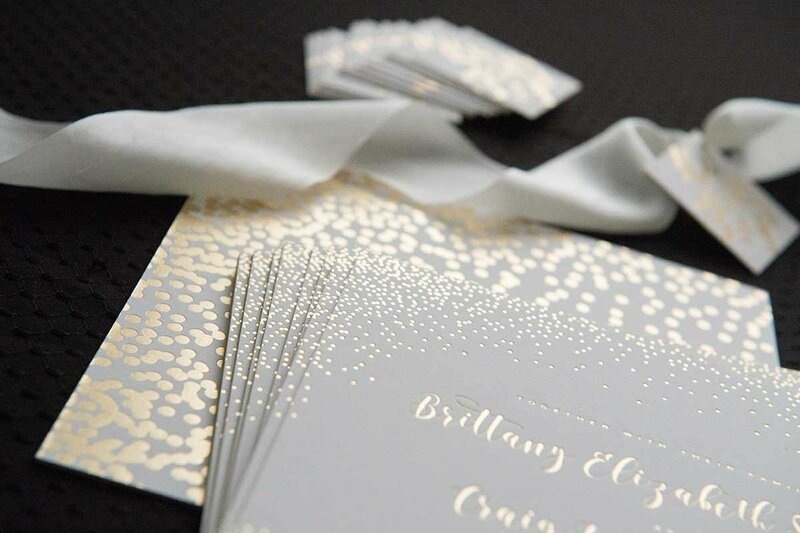 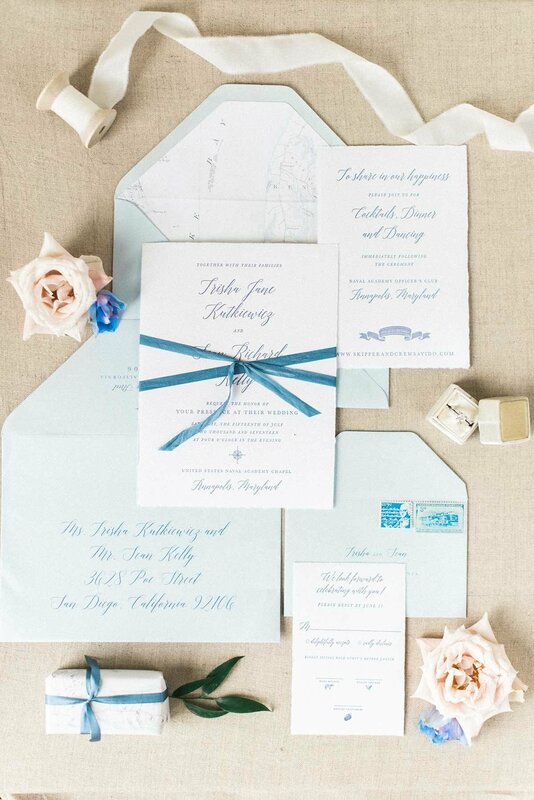 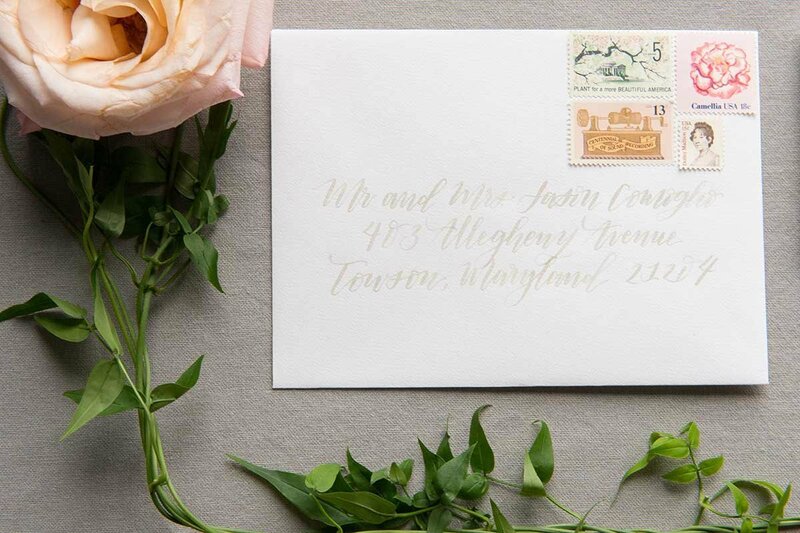 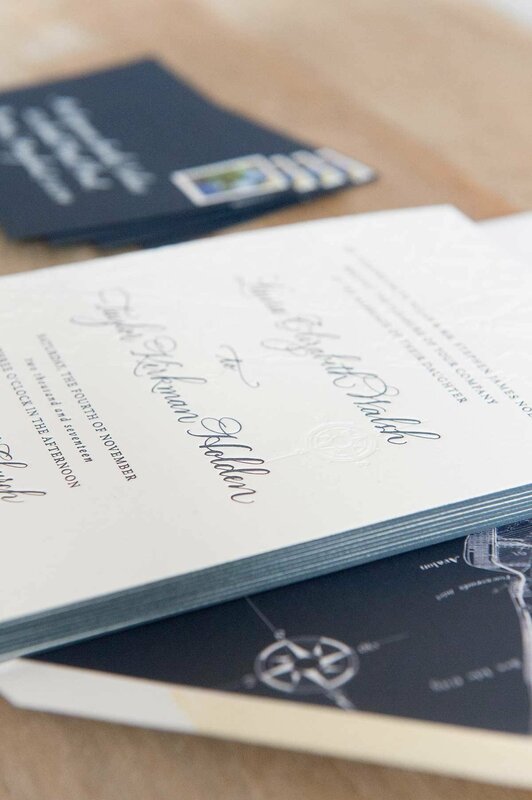 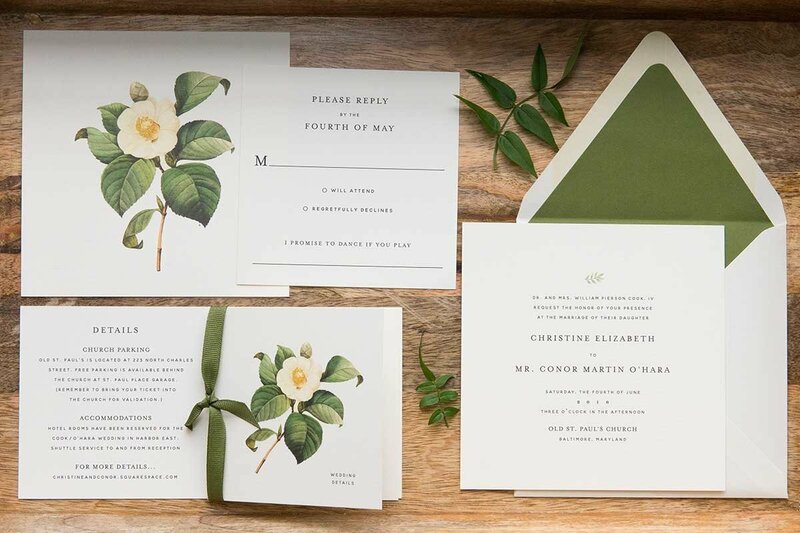 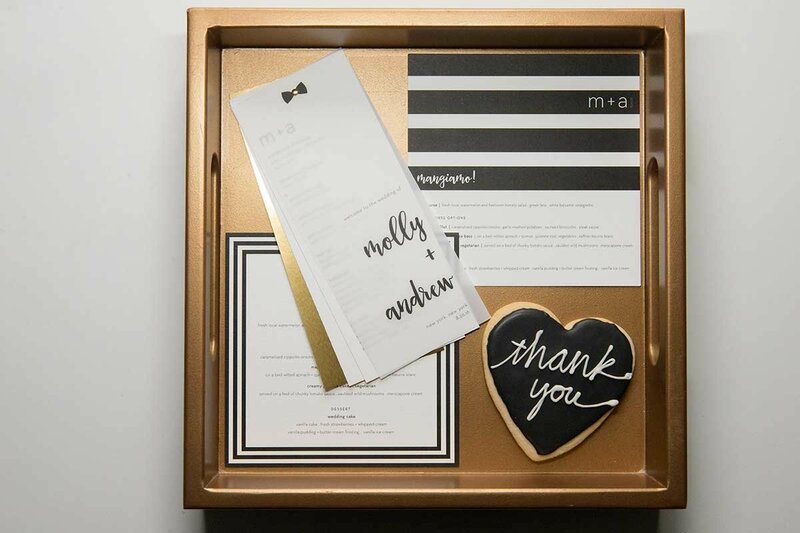 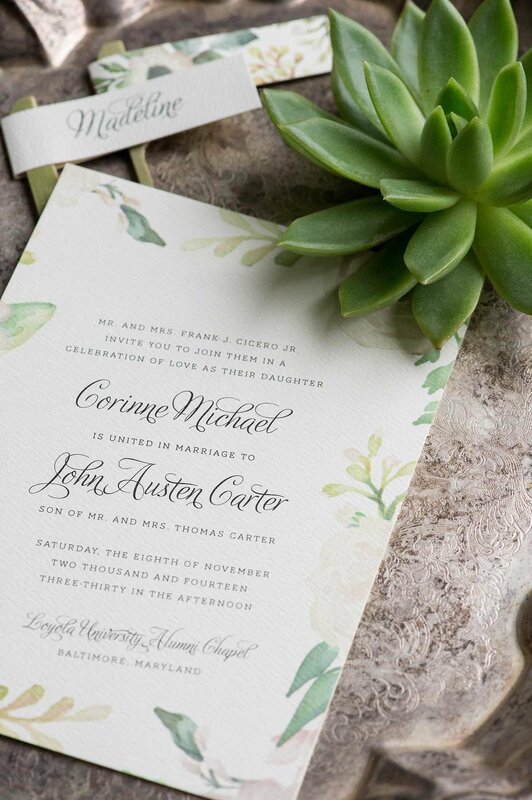 Because each invitation is unique to the client, our breadth of work is vast and varies in style, layout, printing types, and paper selection. 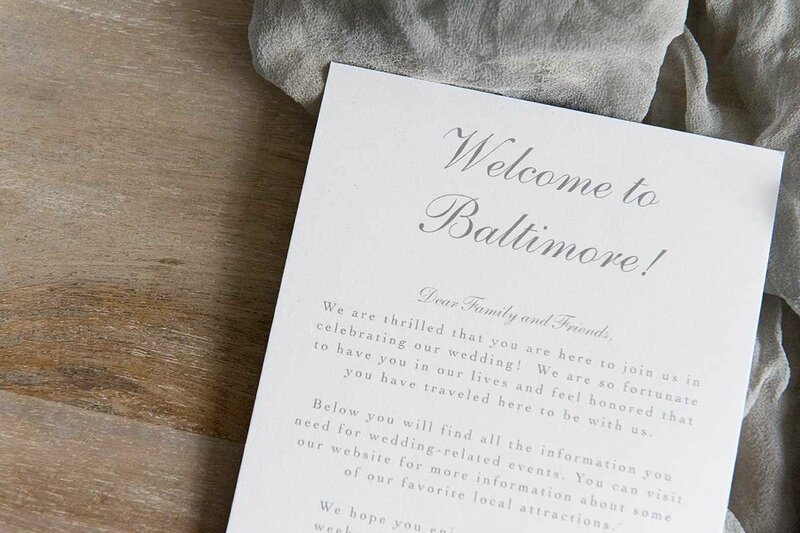 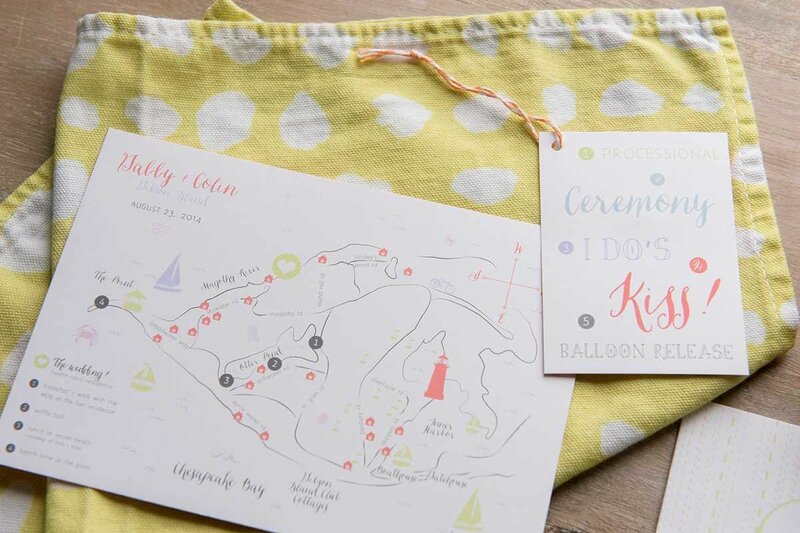 Enjoy looking through our work - we can’t wait to work with you!